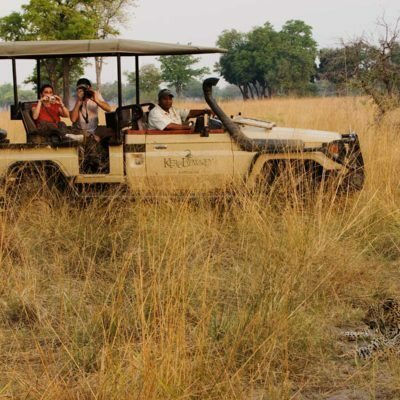 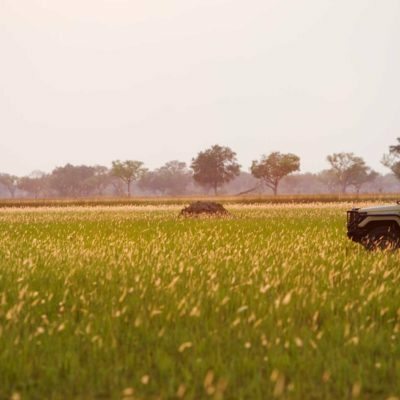 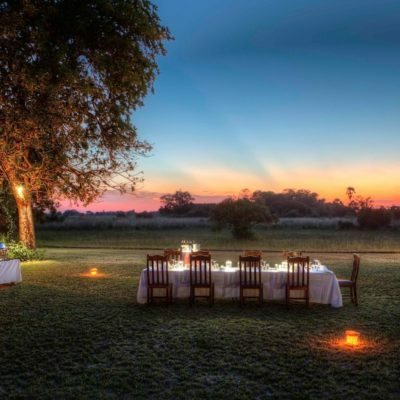 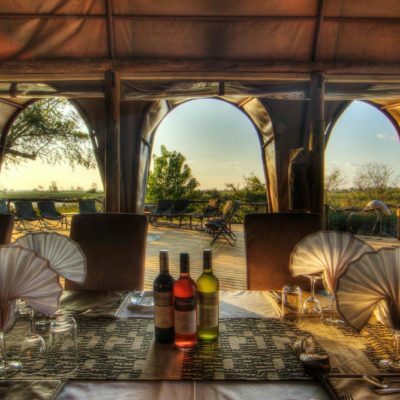 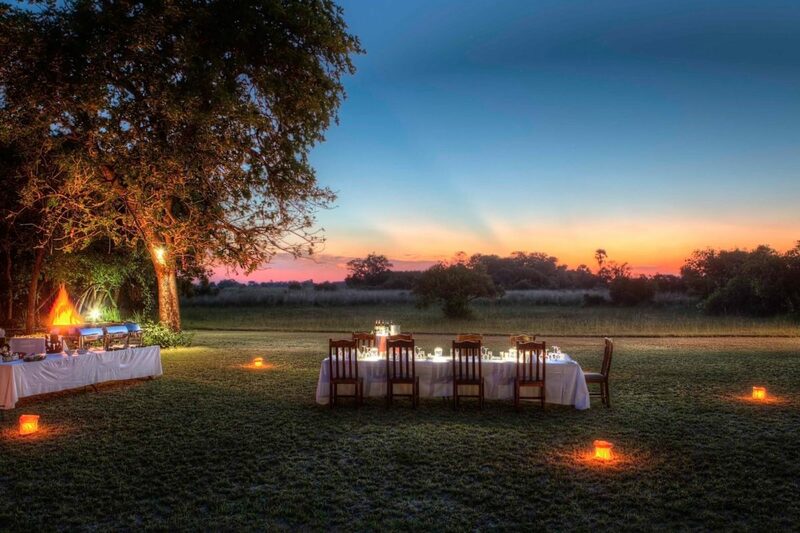 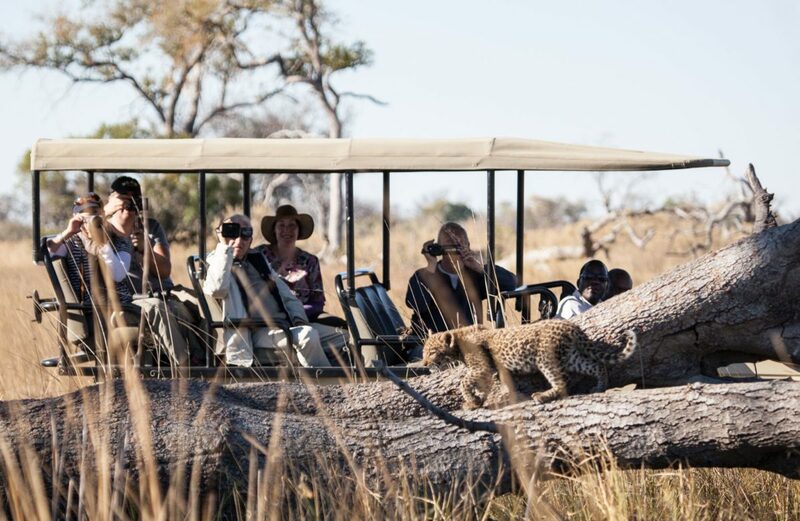 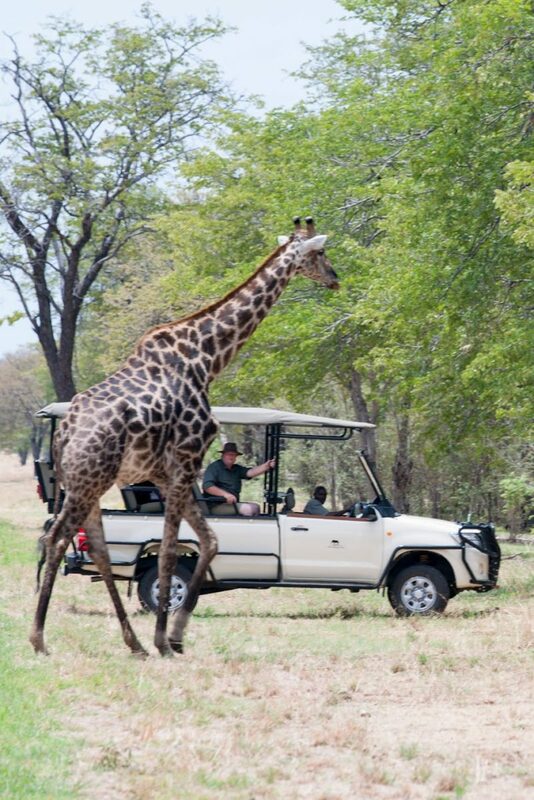 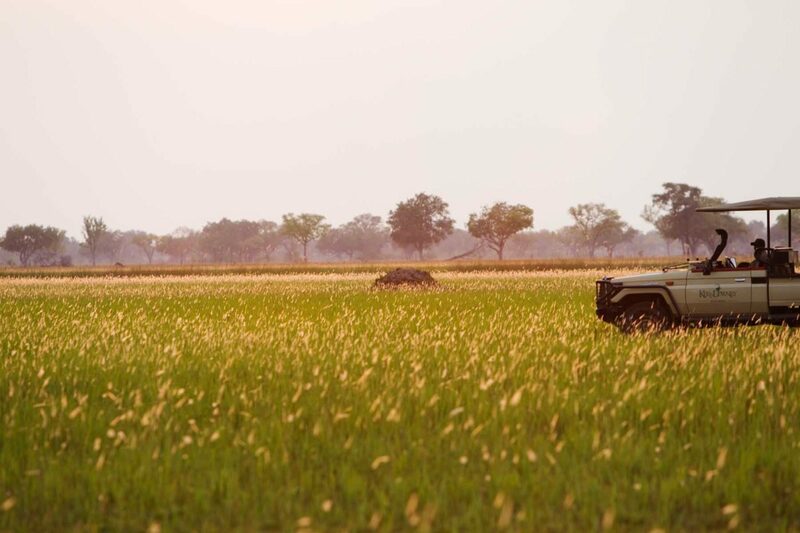 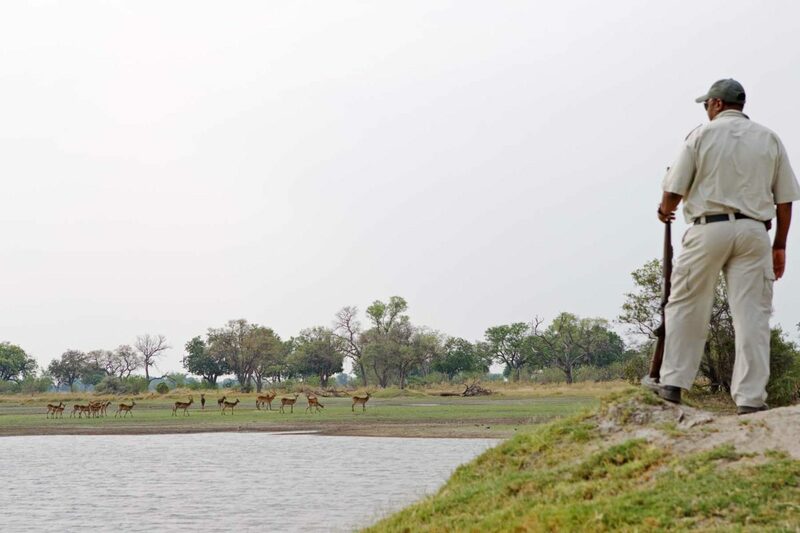 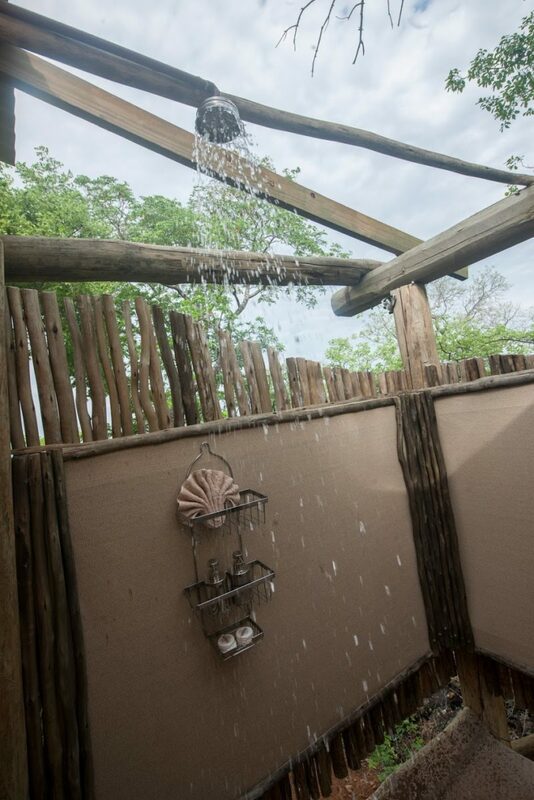 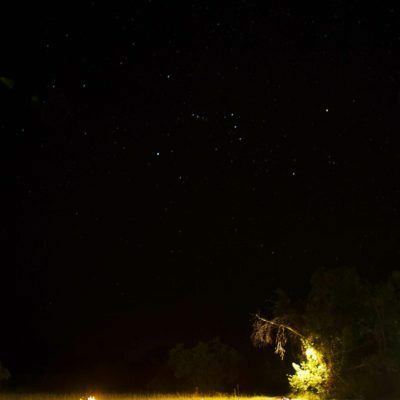 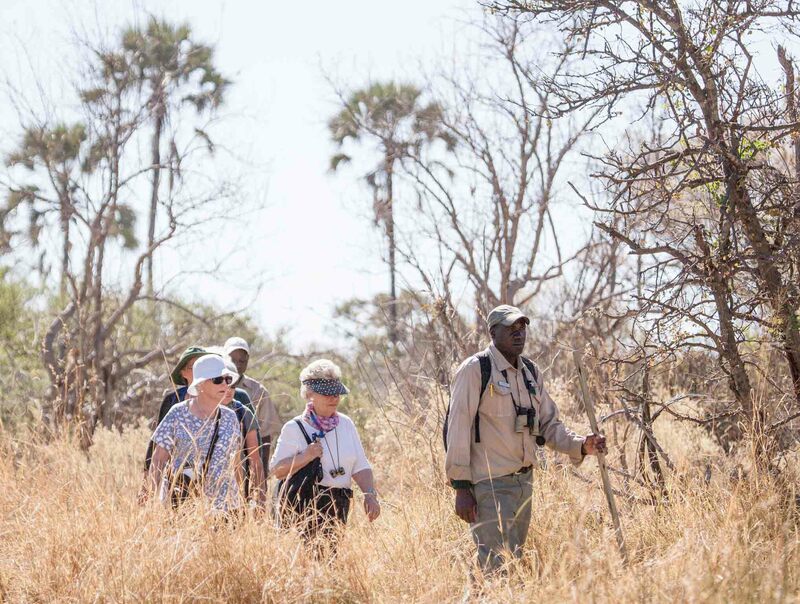 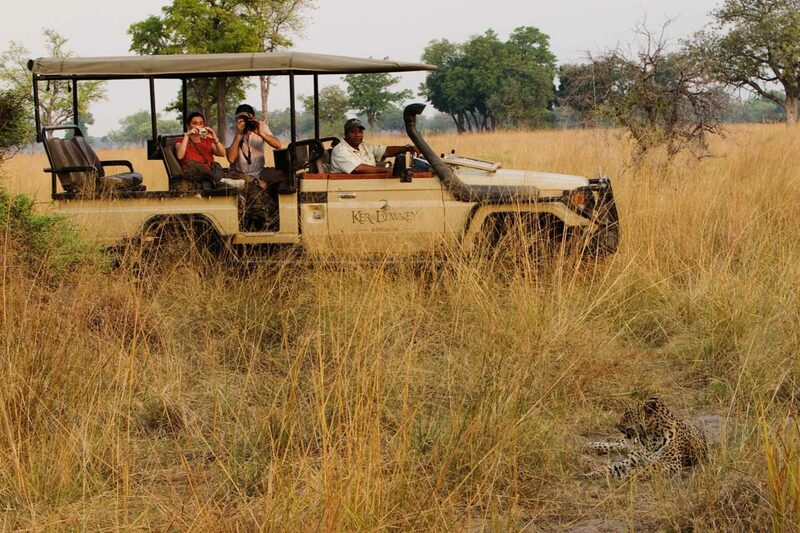 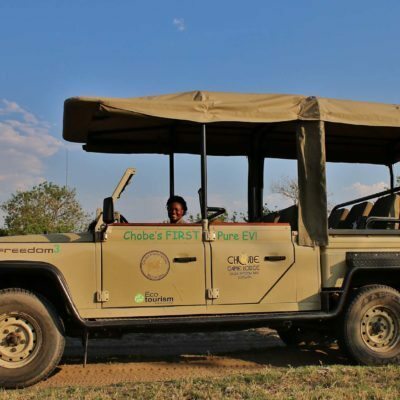 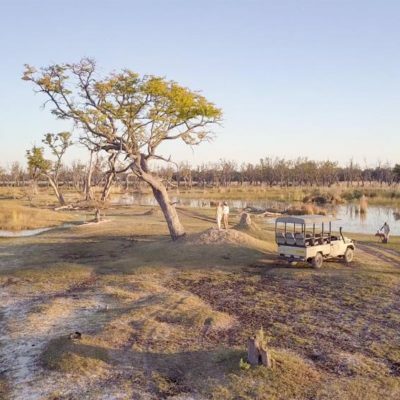 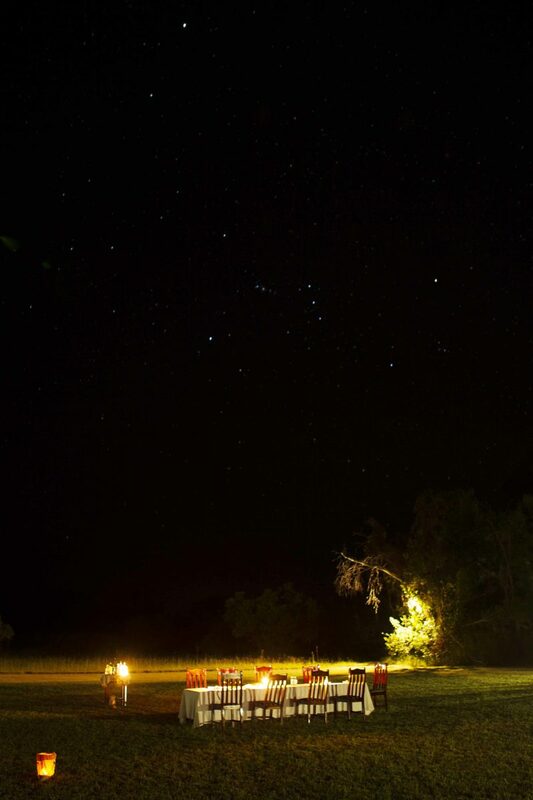 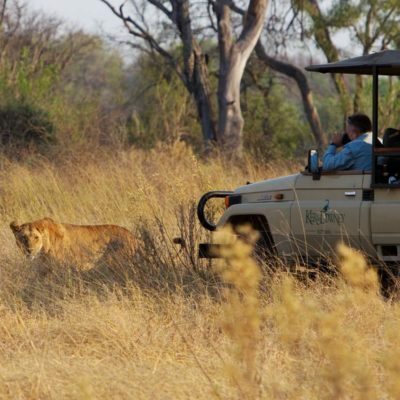 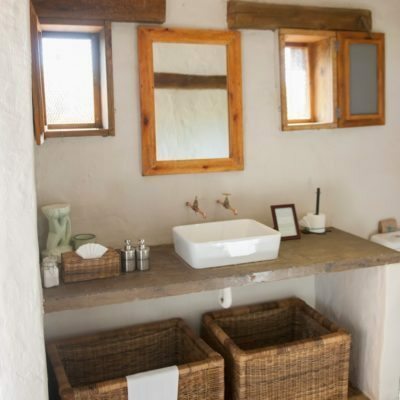 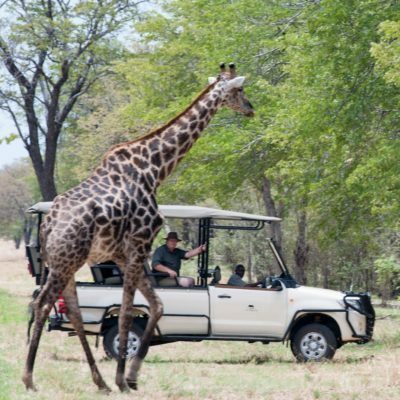 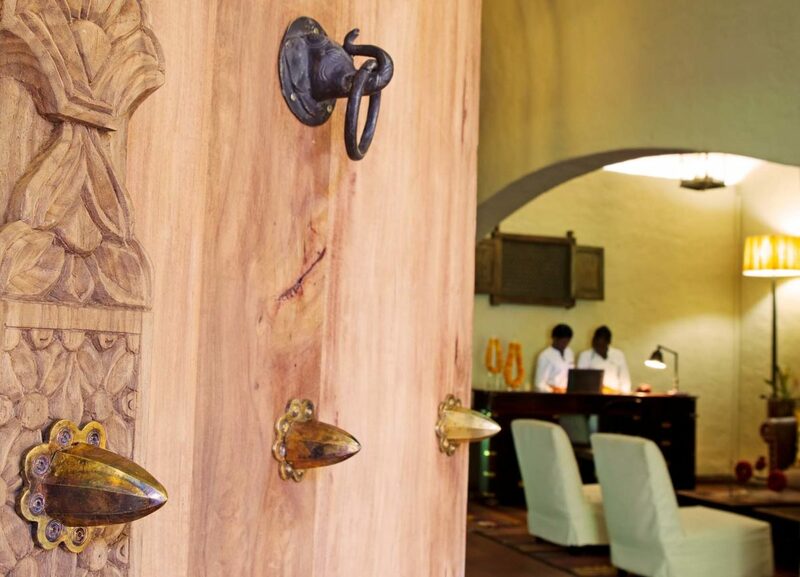 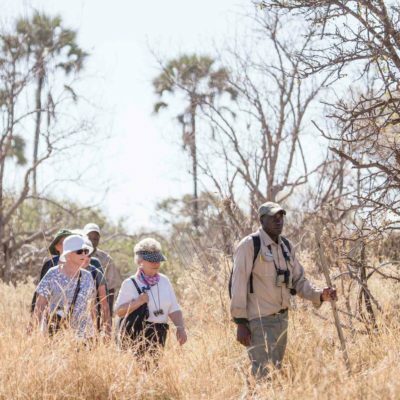 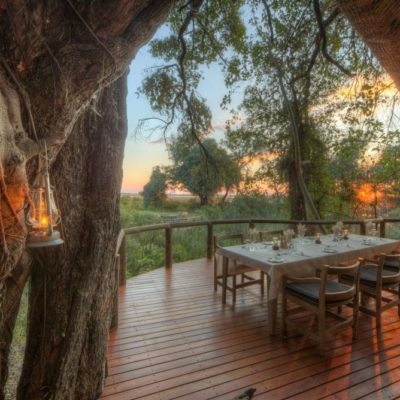 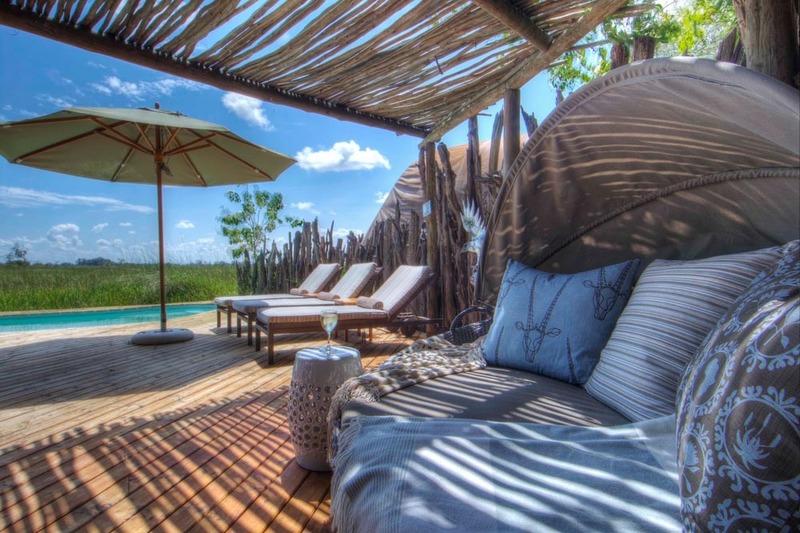 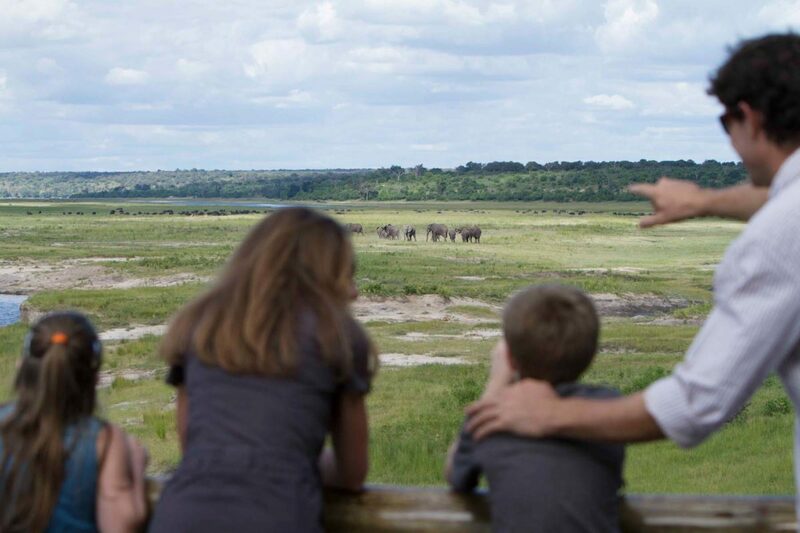 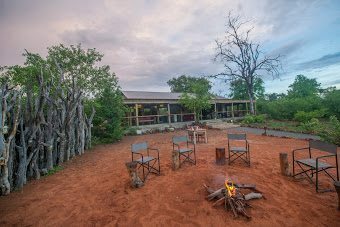 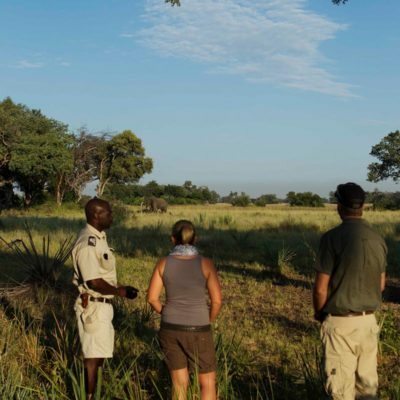 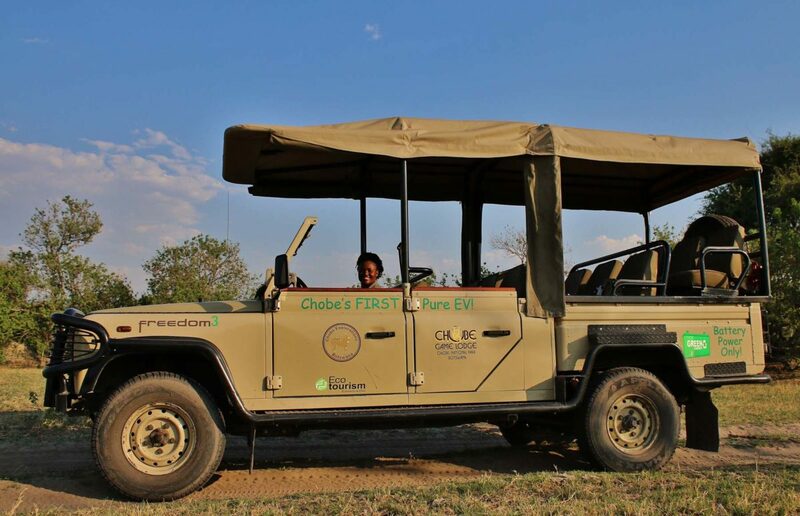 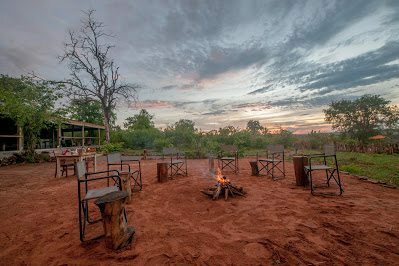 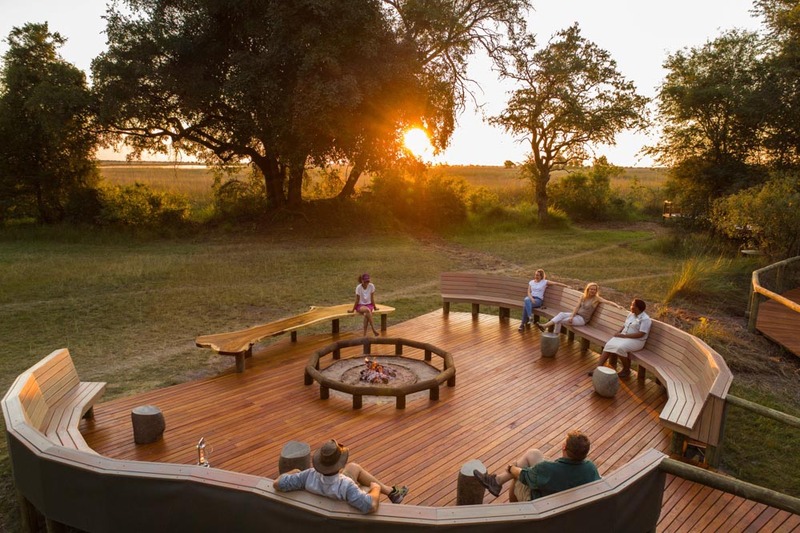 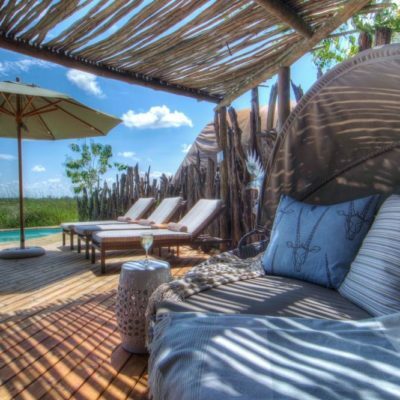 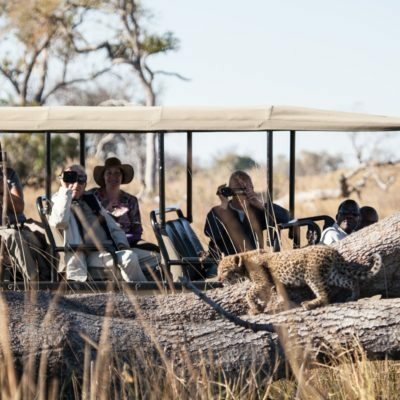 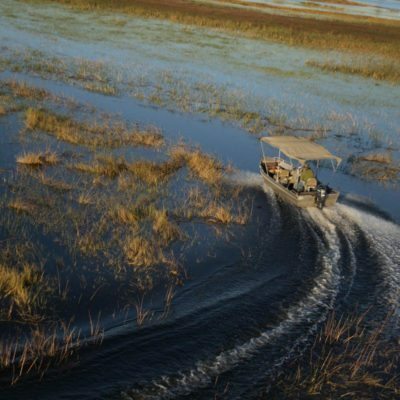 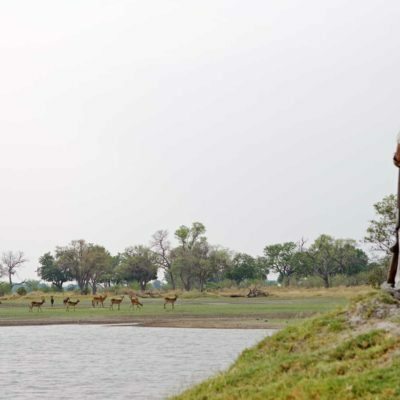 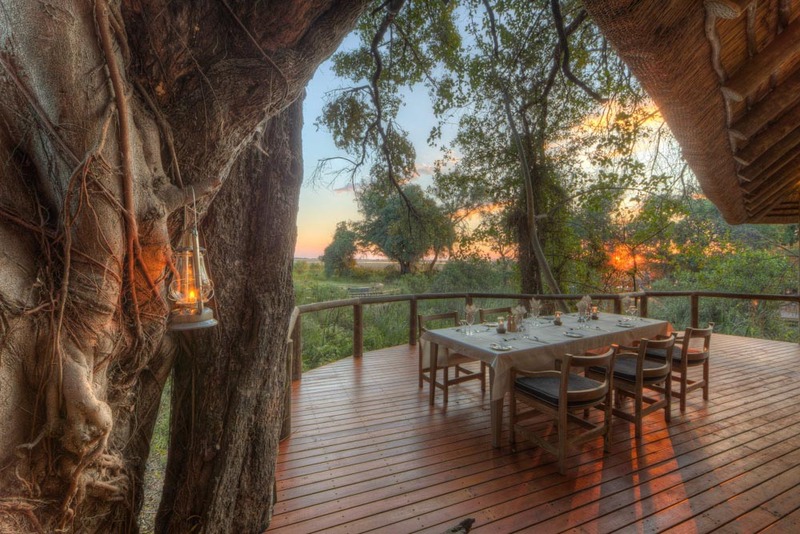 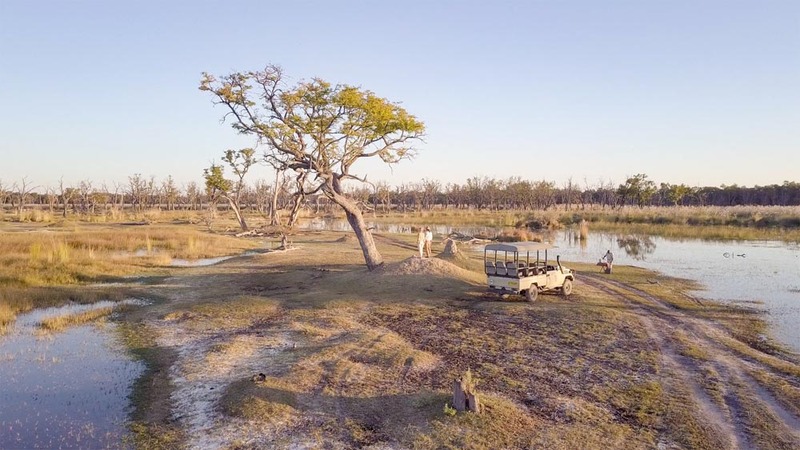 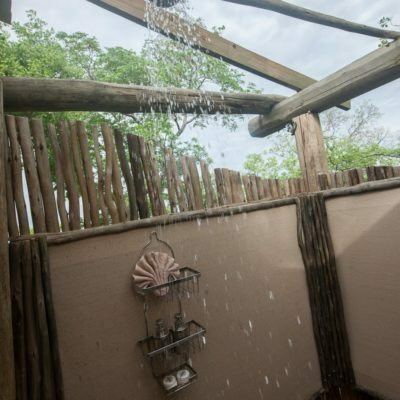 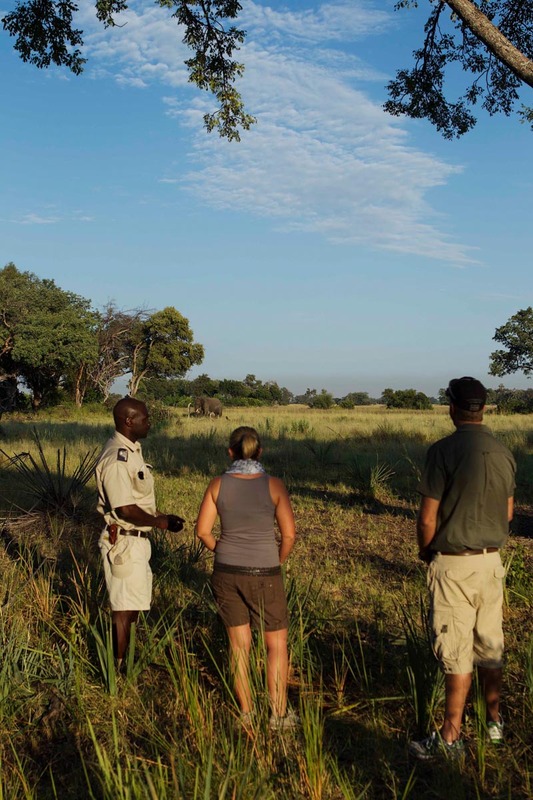 At Khaki and Dust Safaris we feel that you should try and experience Botswana’s wilderness areas from as many different perspectives as possible. 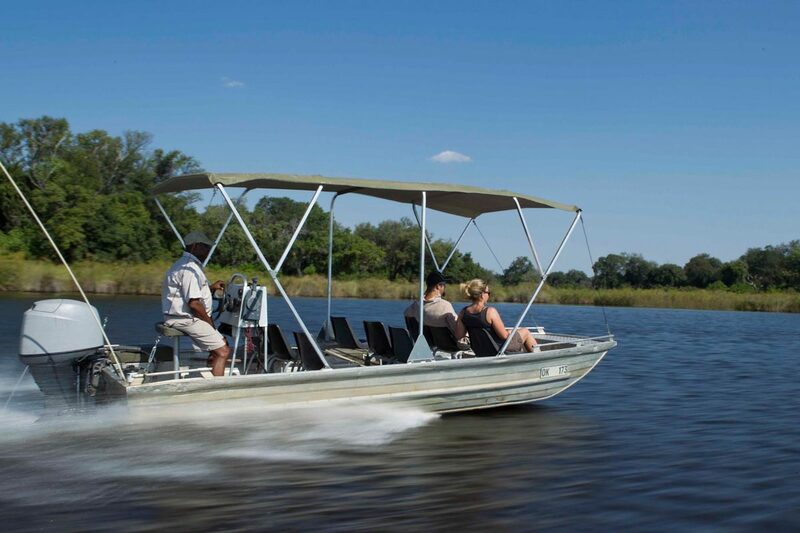 One of these, is to view game from a motor boat. 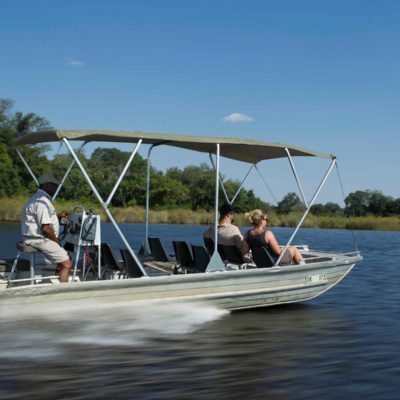 These are usually 5 or more meters in length and made out of sturdy aluminum with a high powered engine on the back. 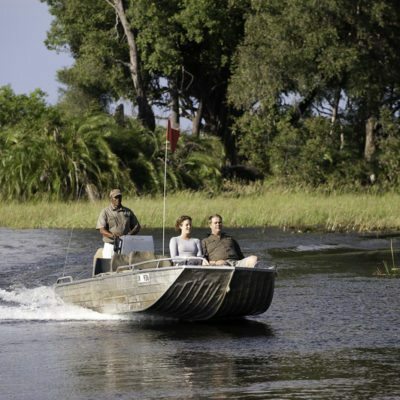 This type of motorised boat allows you to cover a fair distance during your activity, in order to locate animals, however, just cruising slowly is usually very productive. 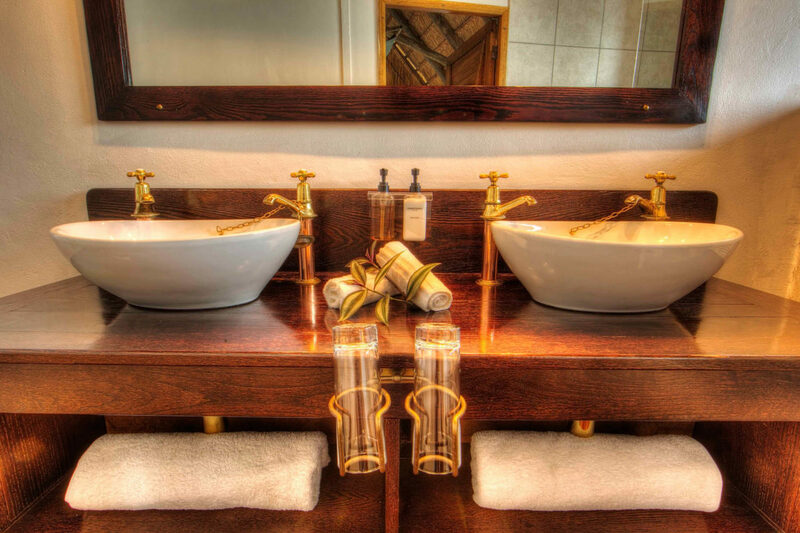 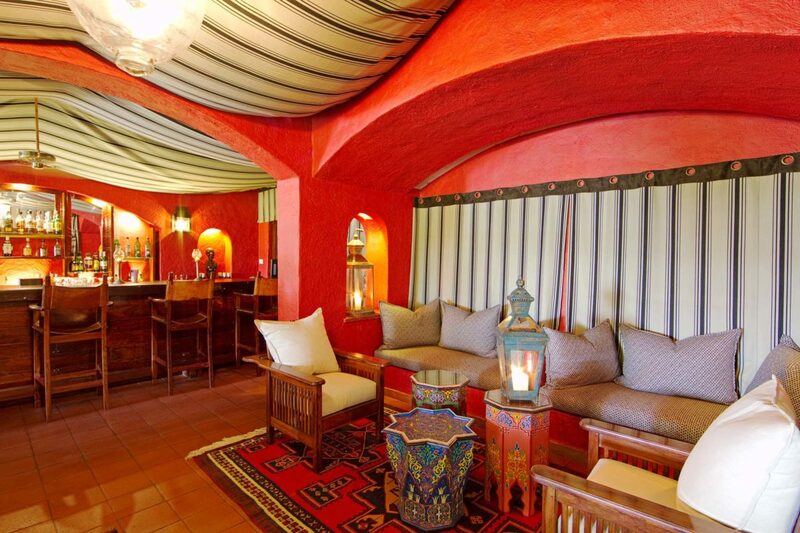 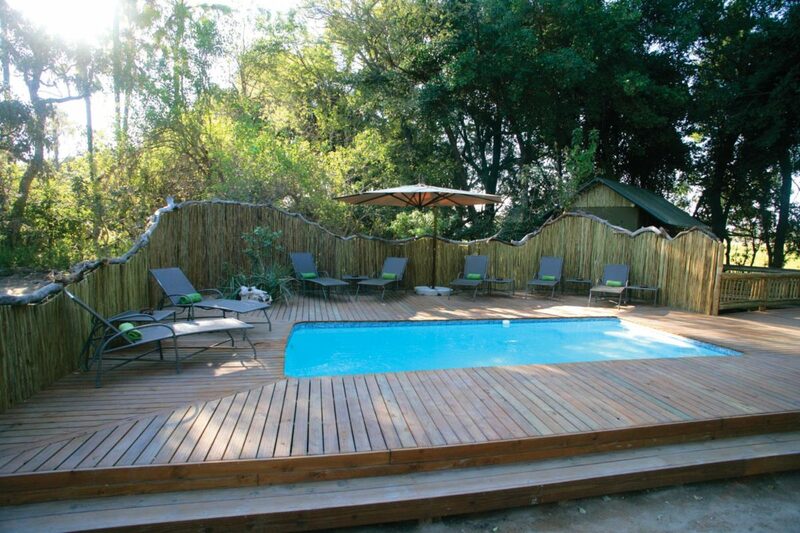 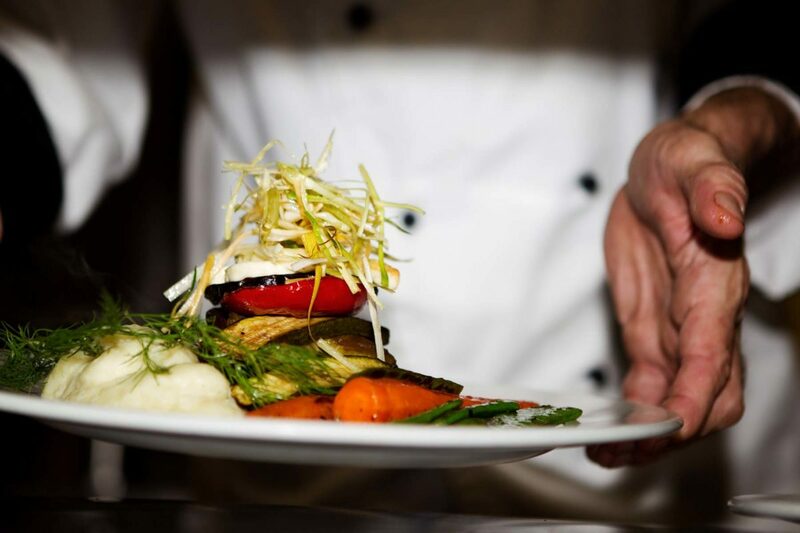 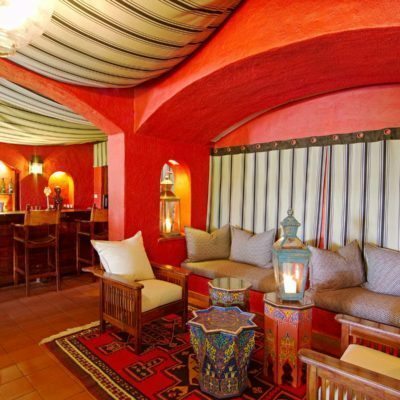 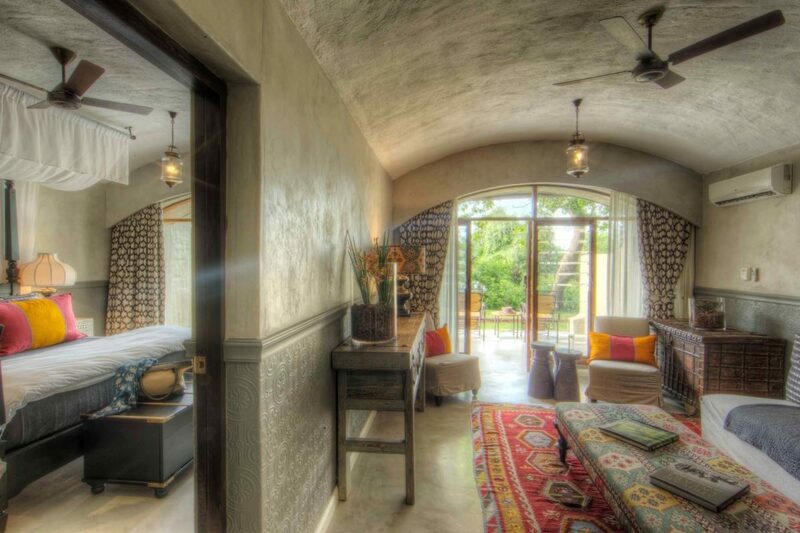 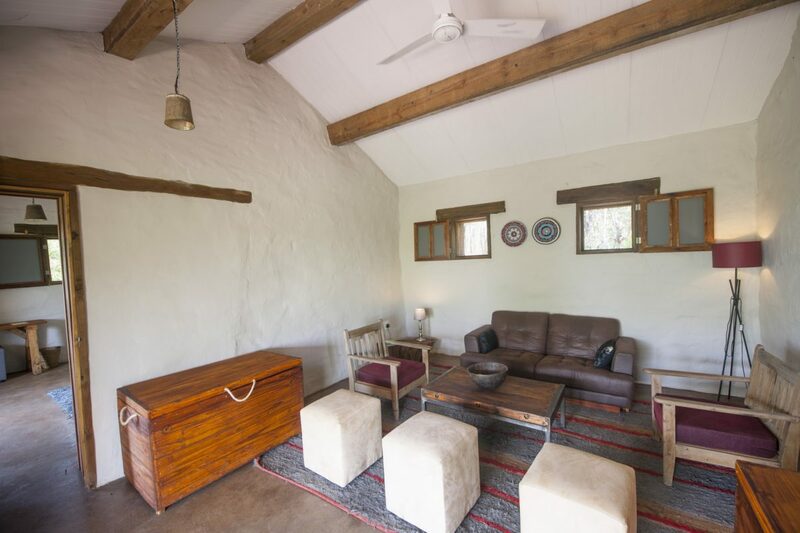 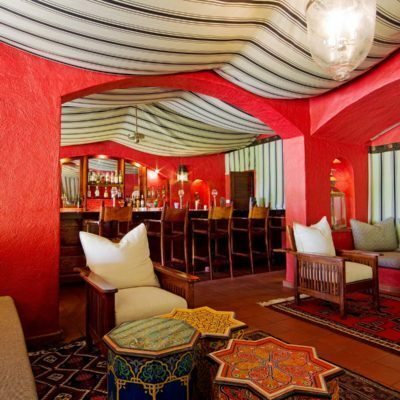 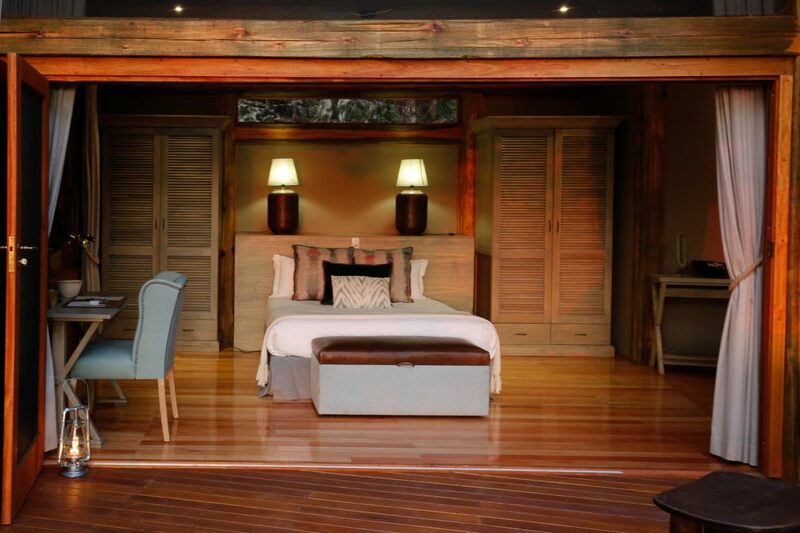 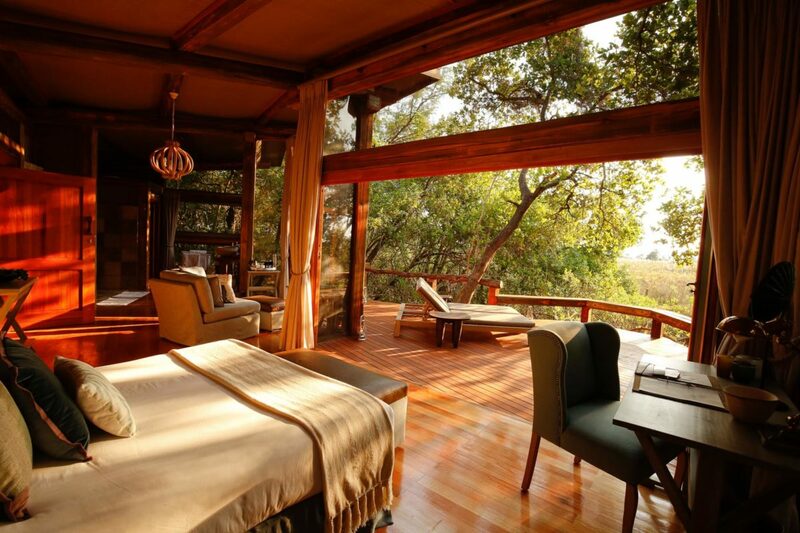 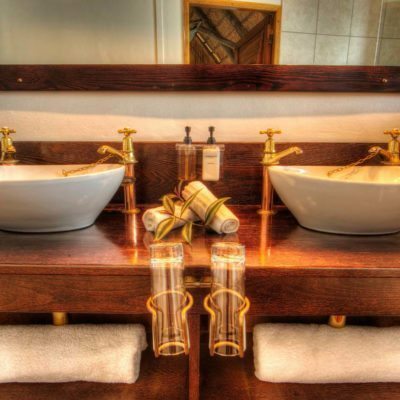 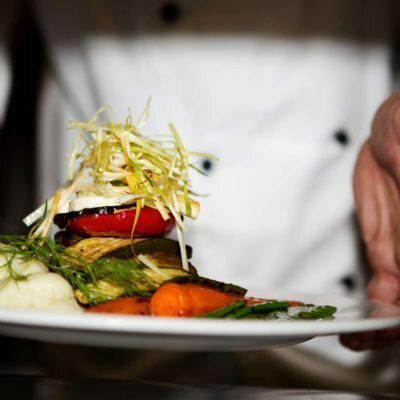 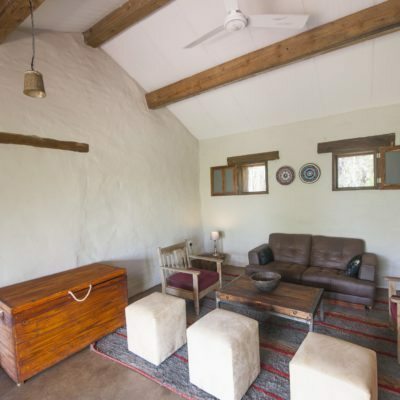 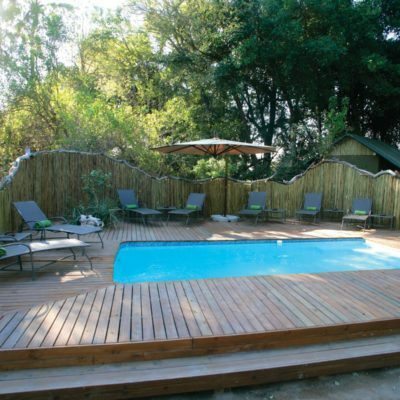 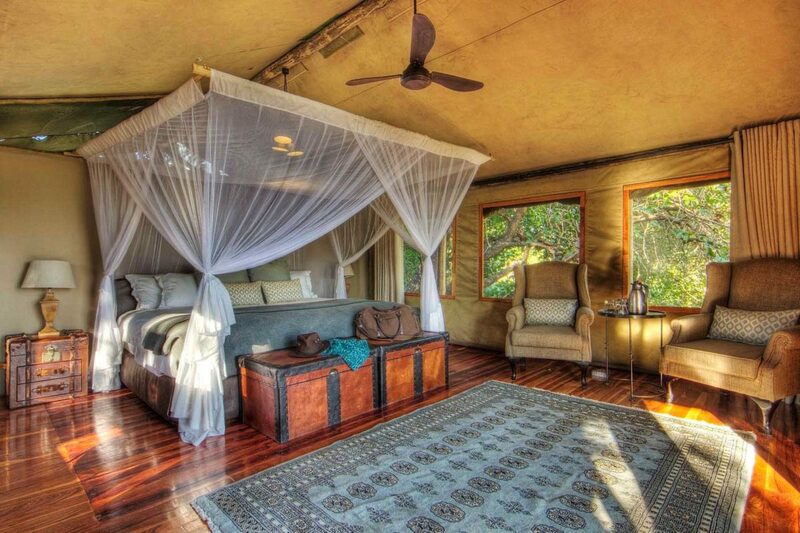 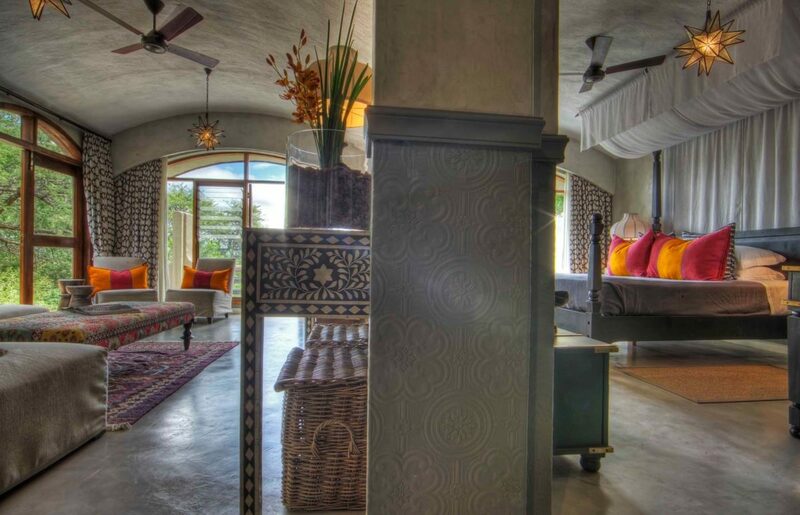 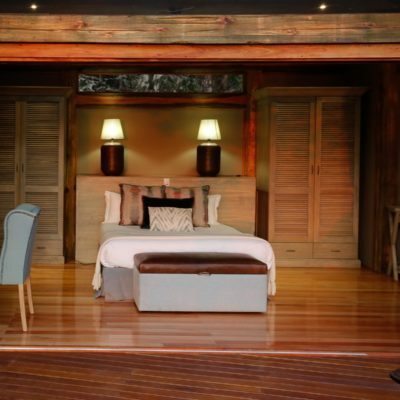 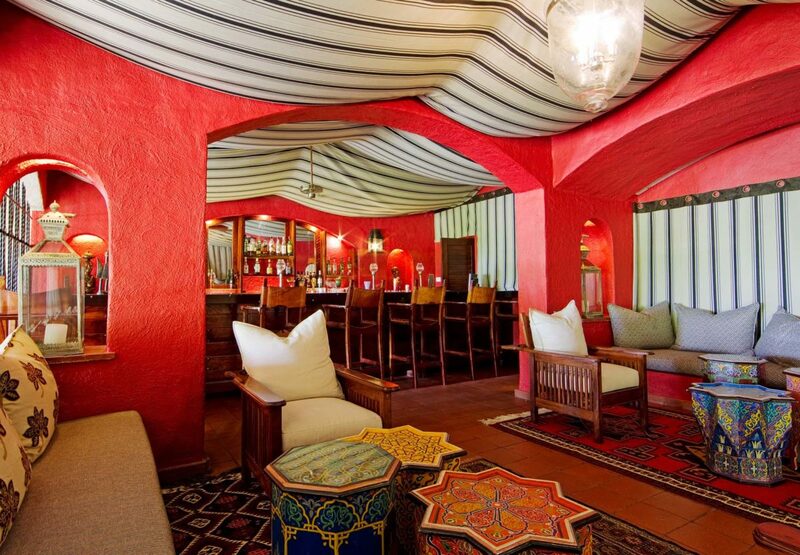 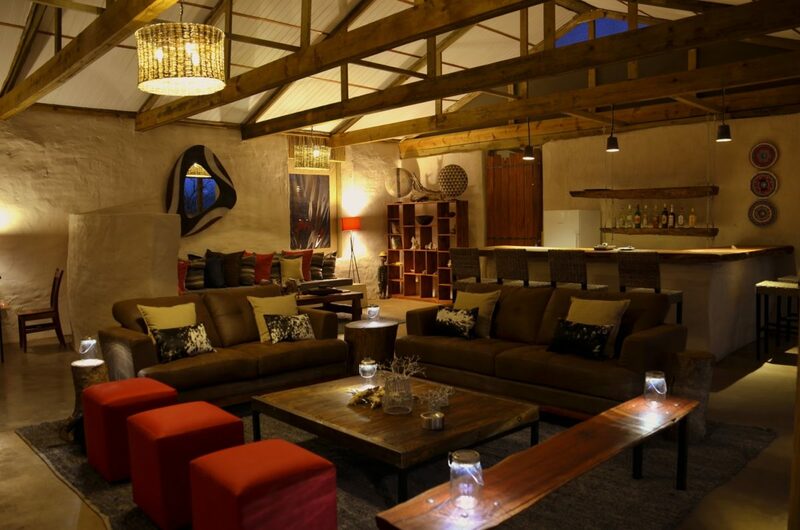 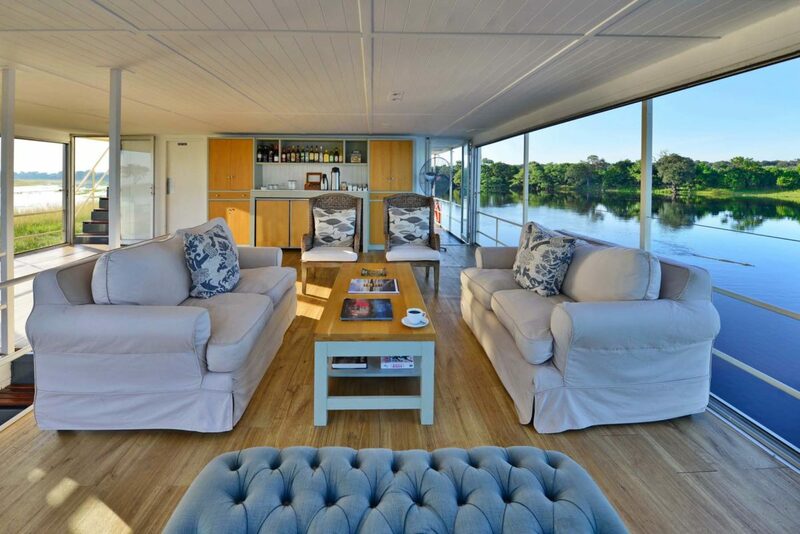 Some lodges however, use much bigger craft with flat decks, usually with very comfortable seating and a bar on board. 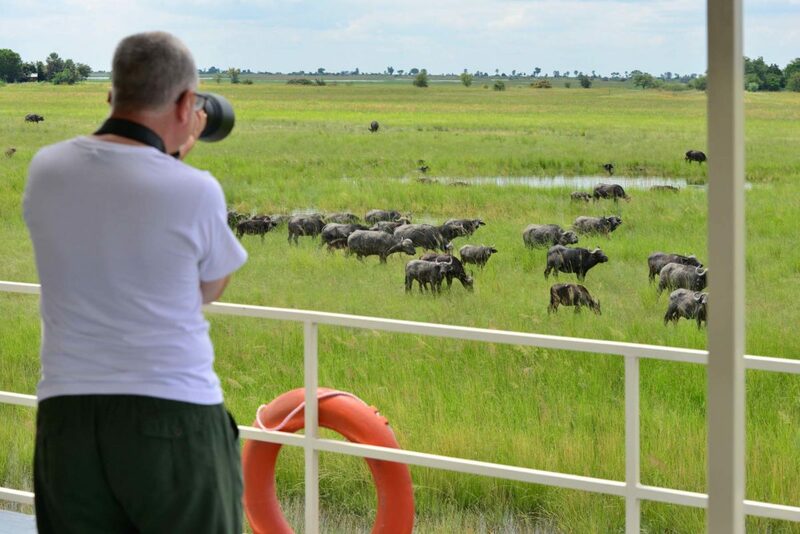 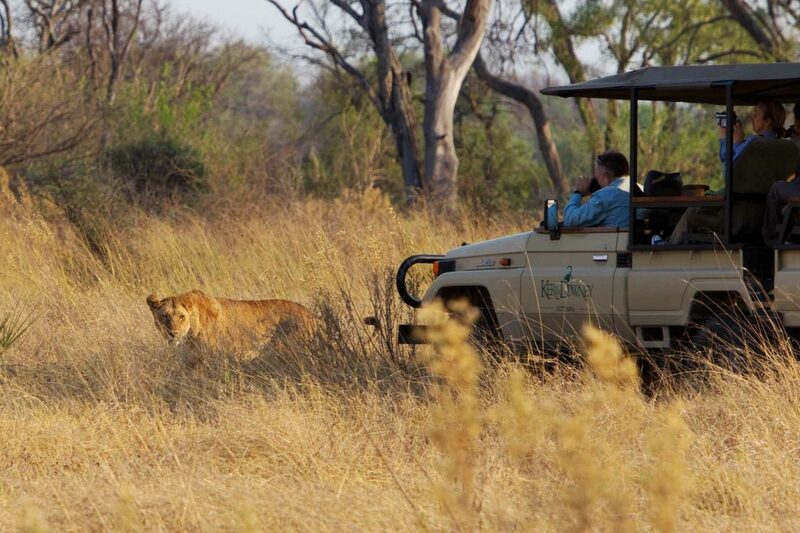 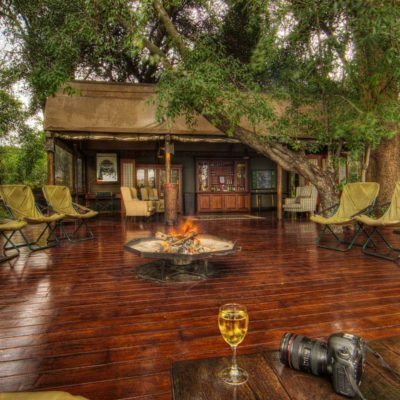 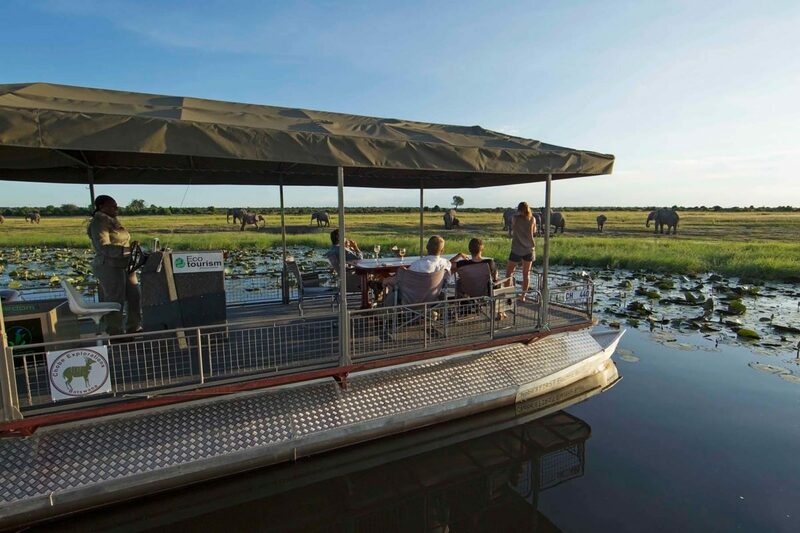 This would be more of a sort of “booze cruise,” where intense game viewing and photography is not the priority. 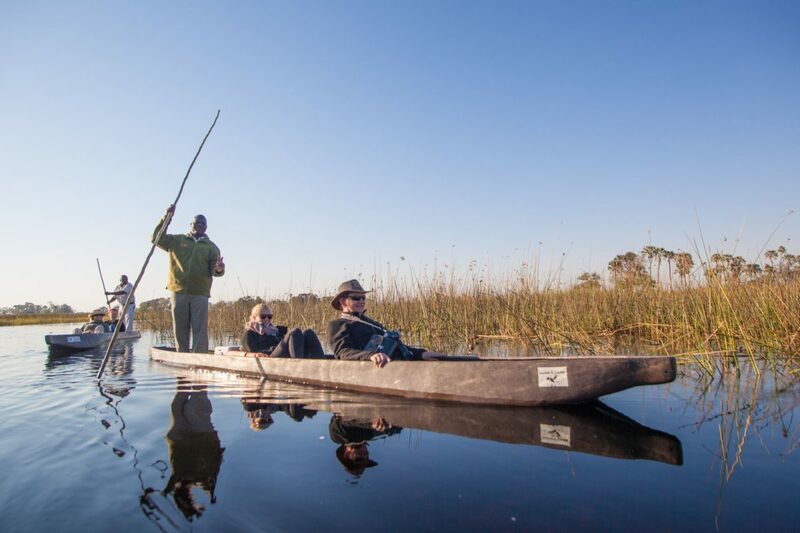 In the Okavango, one has to remember that there is very often a lot of water, everywhere. 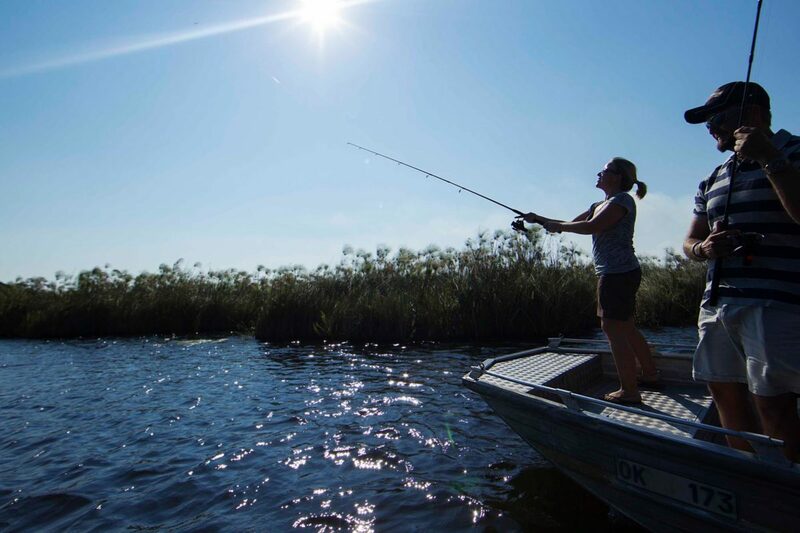 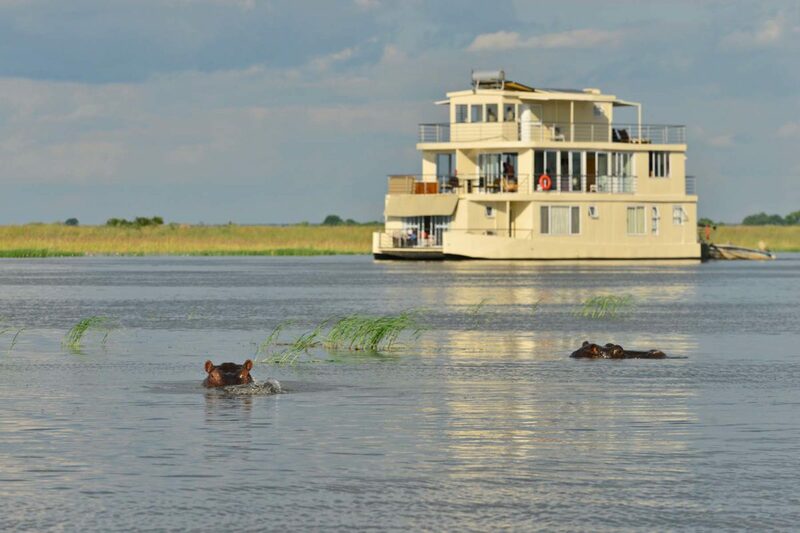 Some animals, like predators, avoid swamps and deep water, making sightings of predators from a boat very rare indeed. 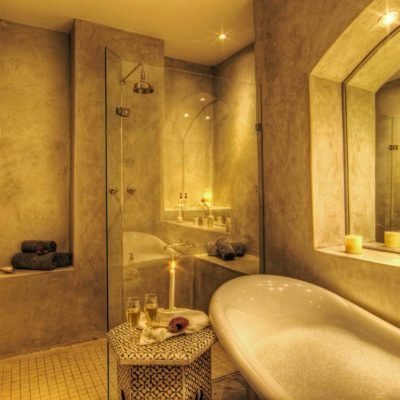 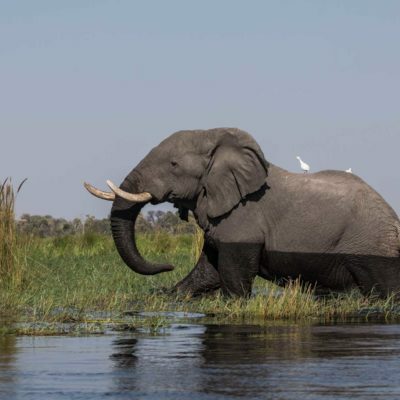 However, there are a lot of animals that do prefer this type of habitat and the rewards are fantastic: You might see swimming elephants crossing the channel or maybe a pod of hippos hanging out in a lagoon. 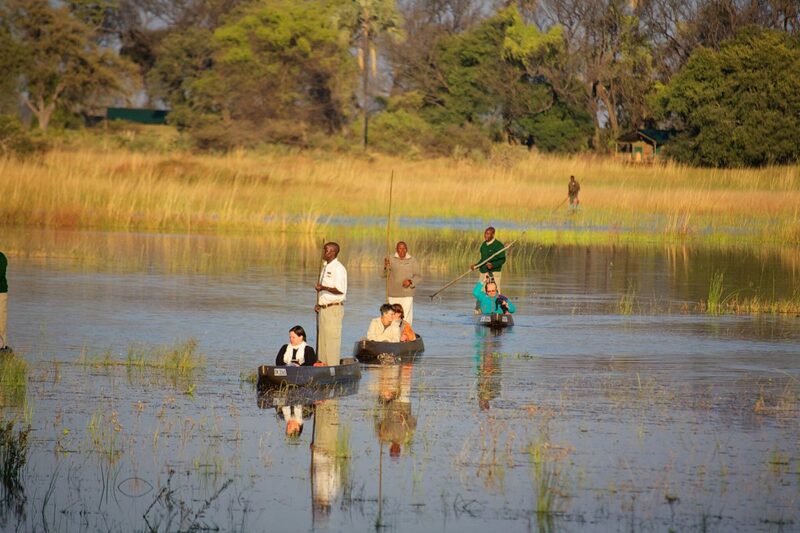 Crocodiles soon become habituated to safari boats and may be seen basking on a sand bank or floating island. 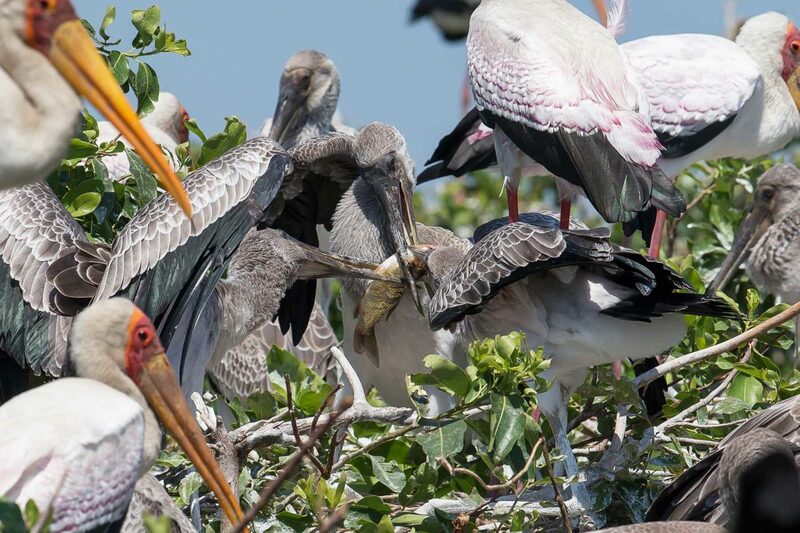 Birdlife is prolific of course. 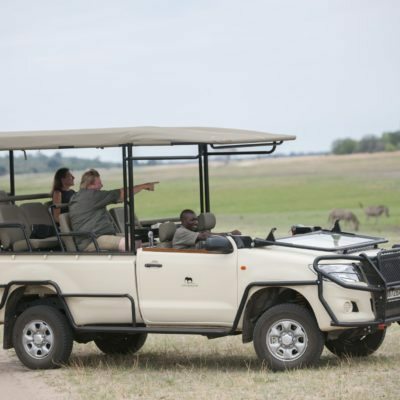 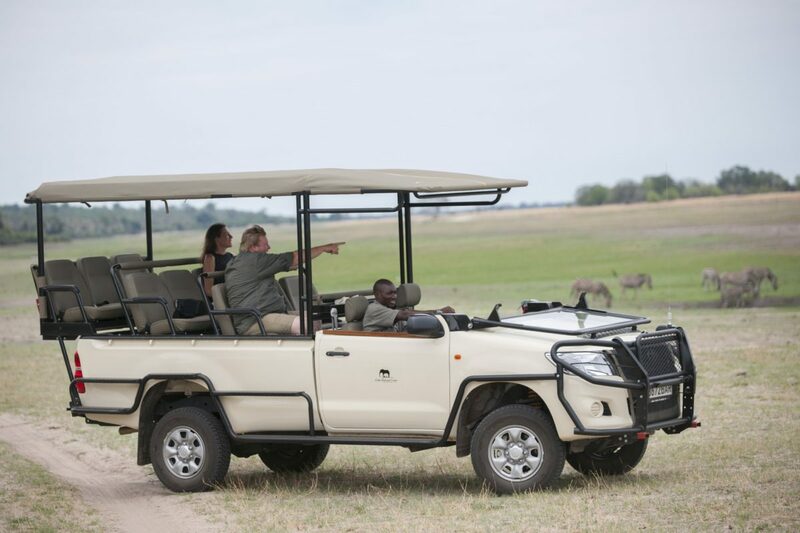 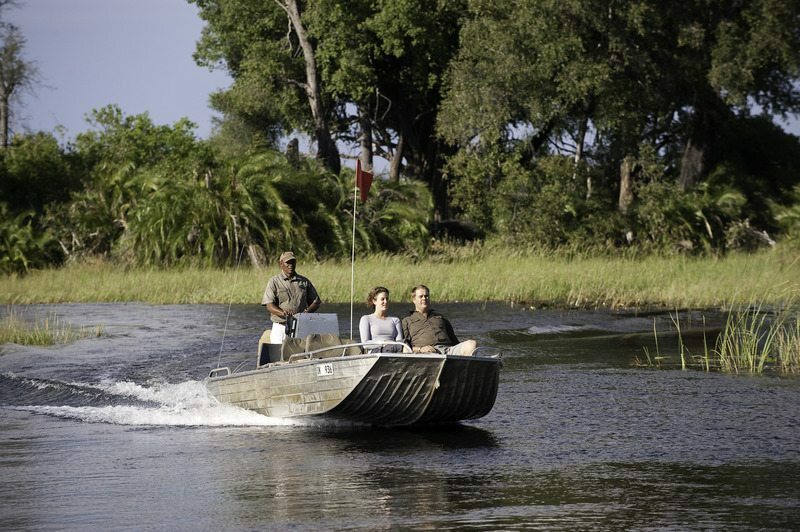 Some guides, will use safari boats to access remote islands where you can leave the boat and continue on foot. 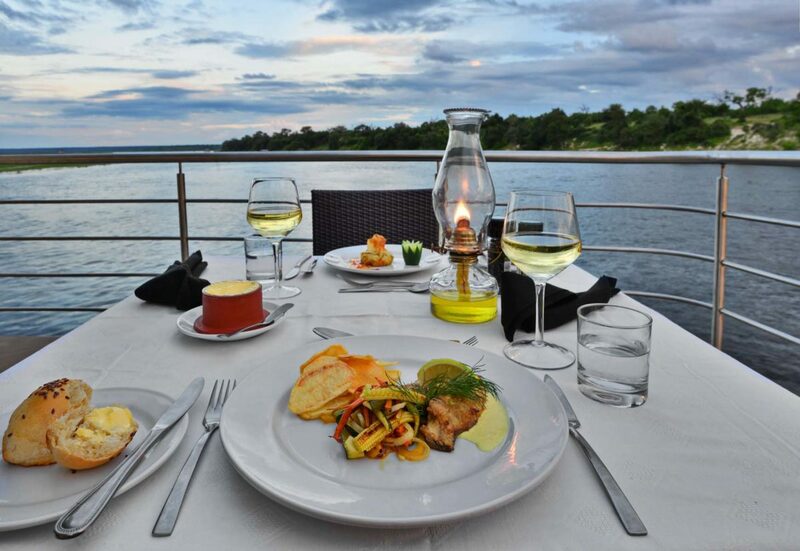 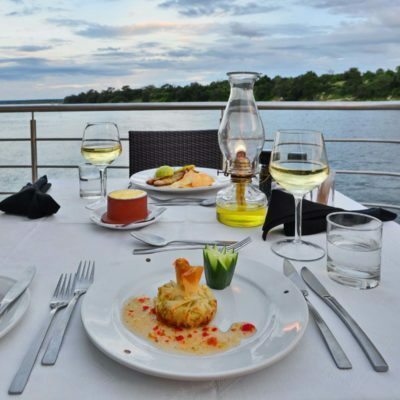 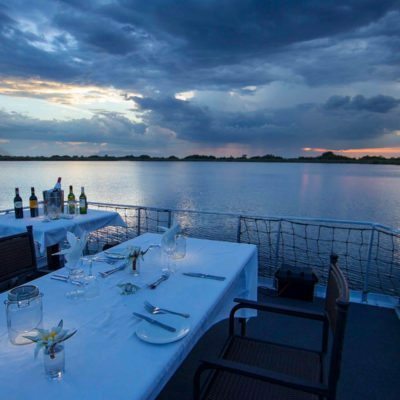 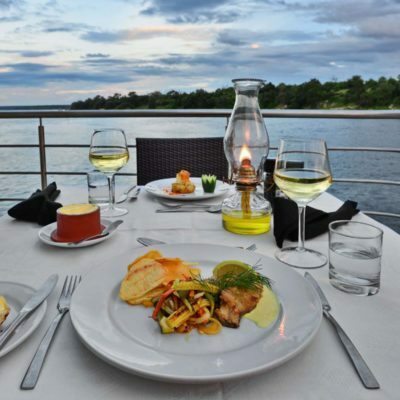 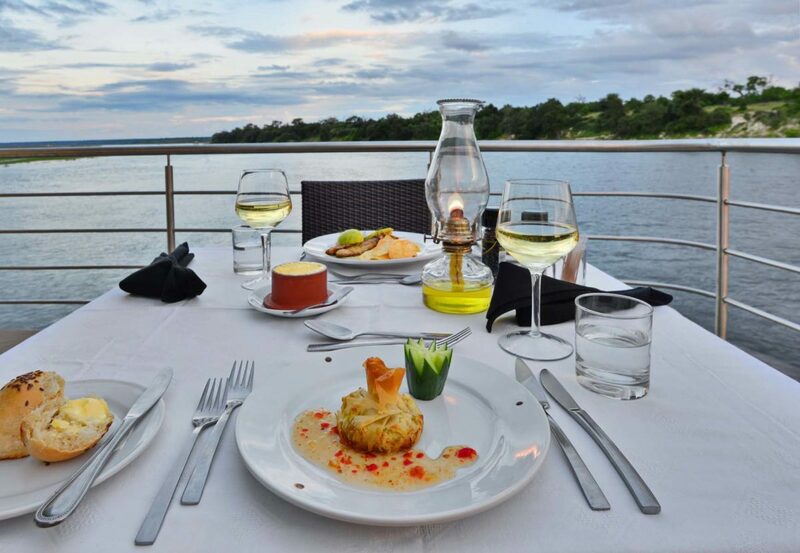 The boating in Chobe is slightly different as the river is mostly constricted to a single channel with a few islands and side channels. 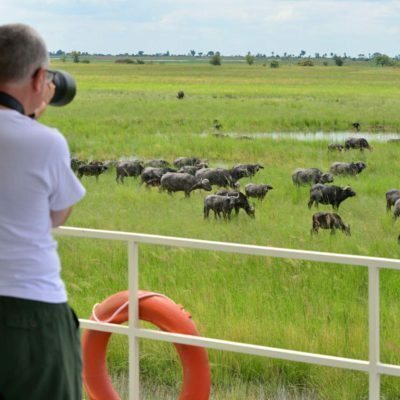 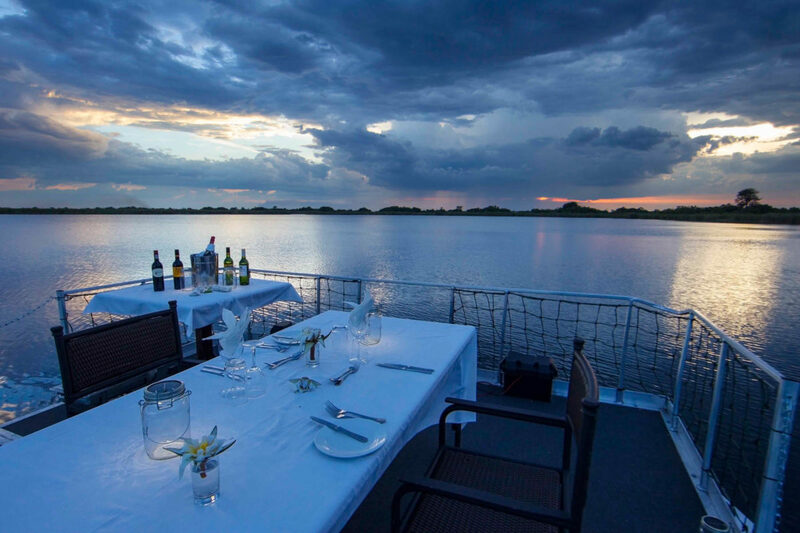 The Chobe River provides one of the most intense game viewing experiences (from a boat) in the world that you could have. 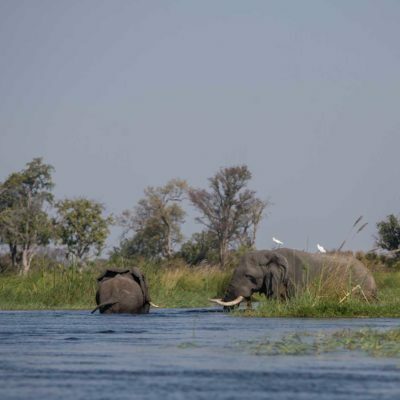 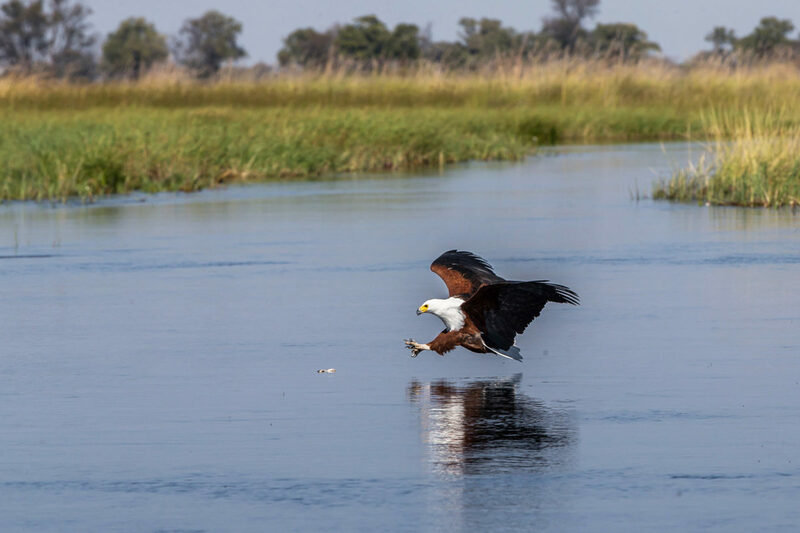 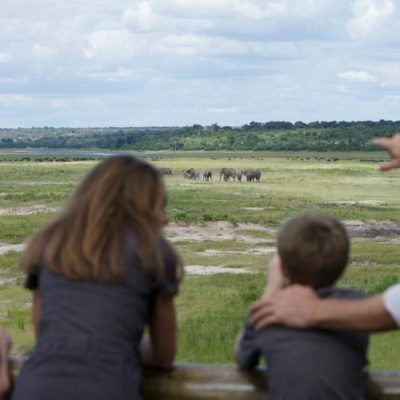 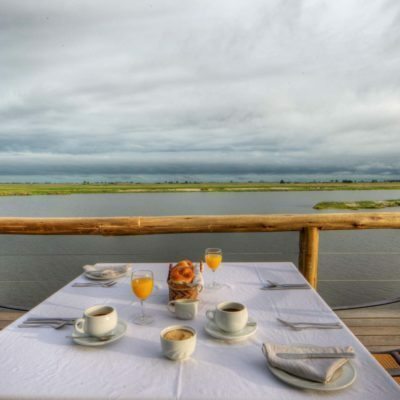 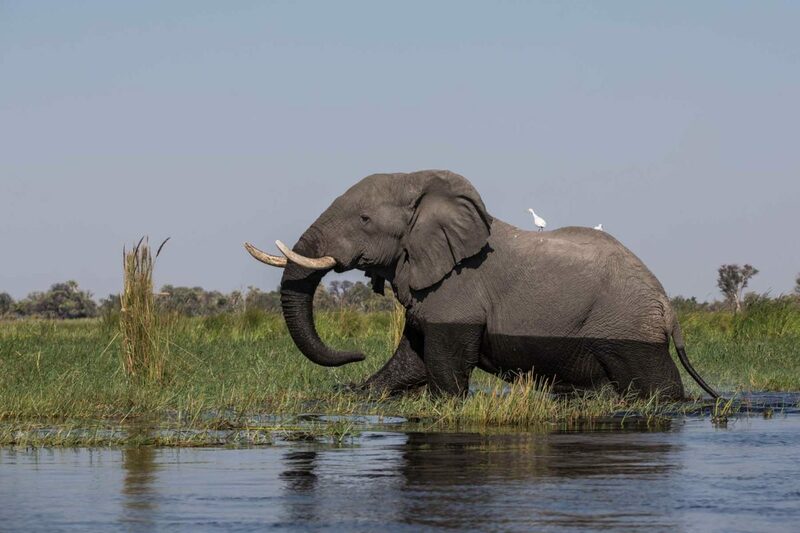 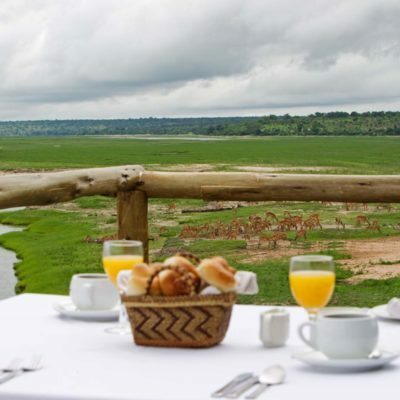 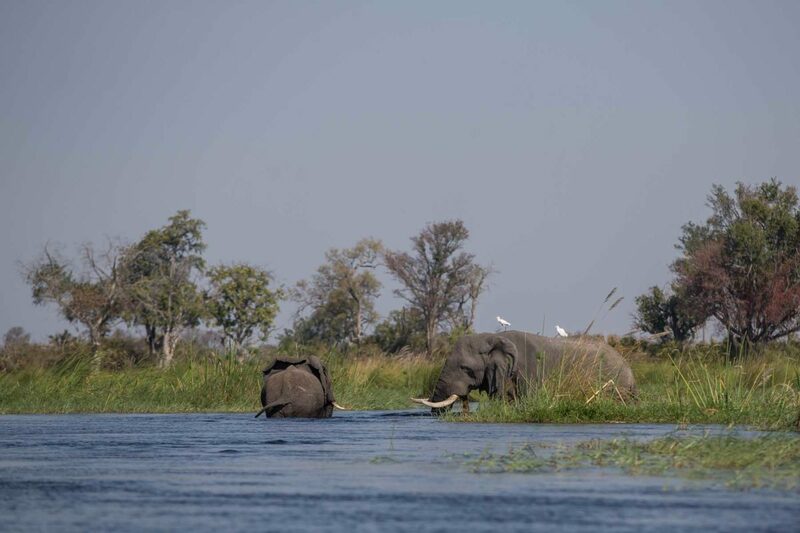 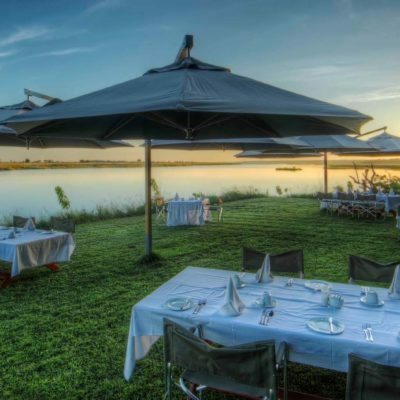 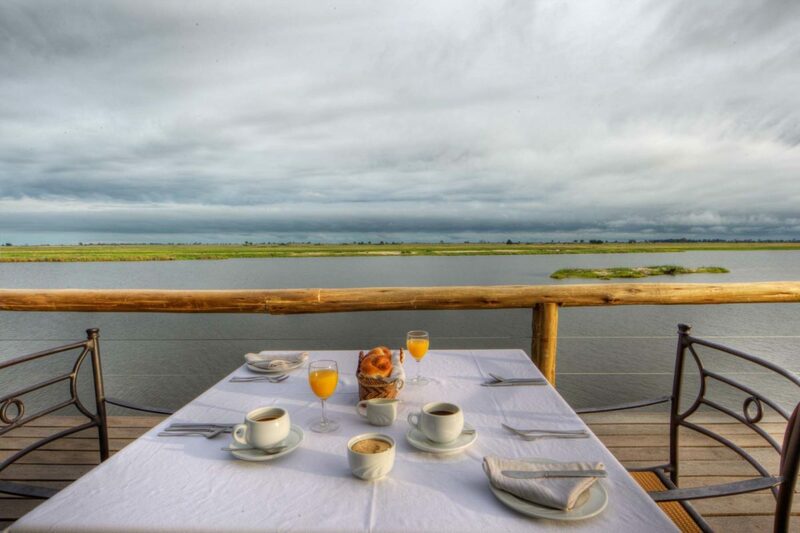 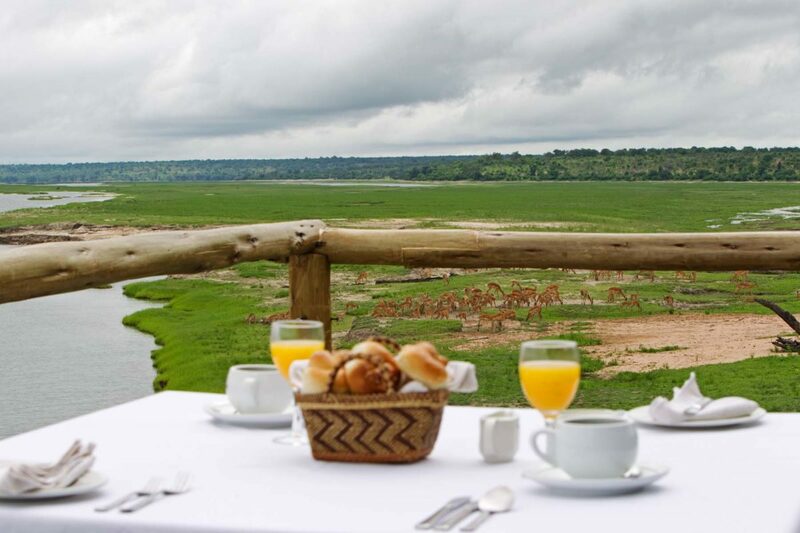 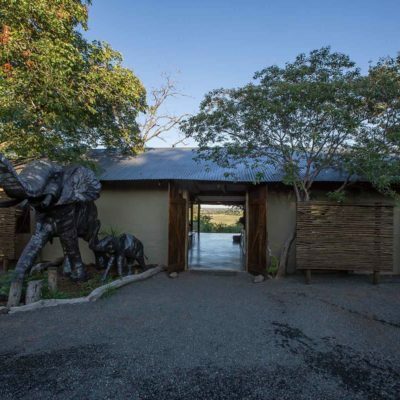 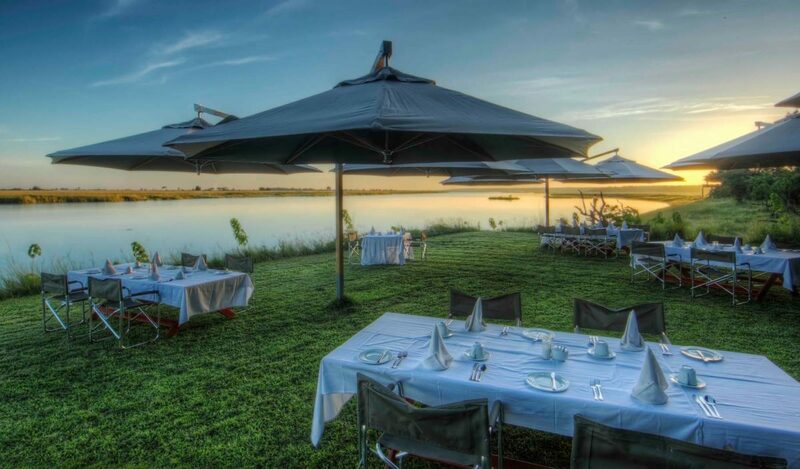 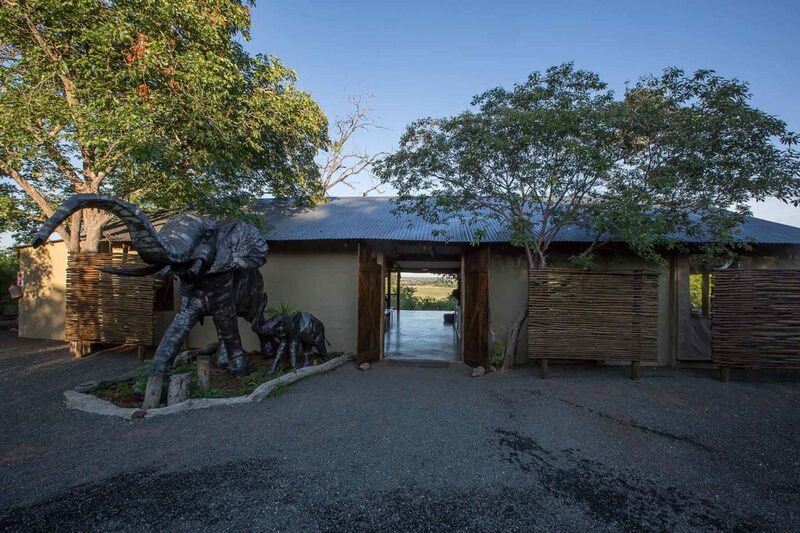 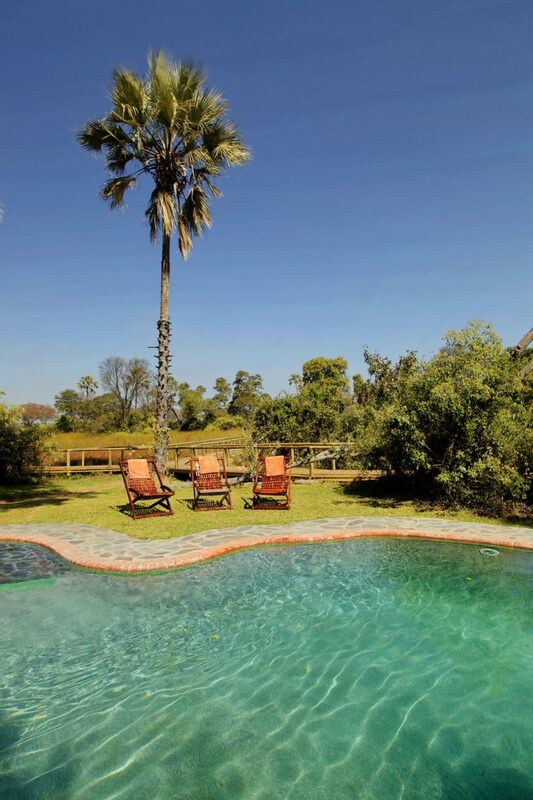 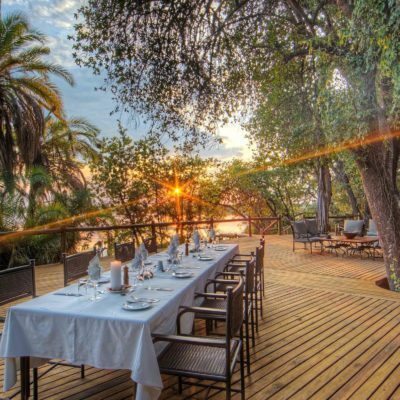 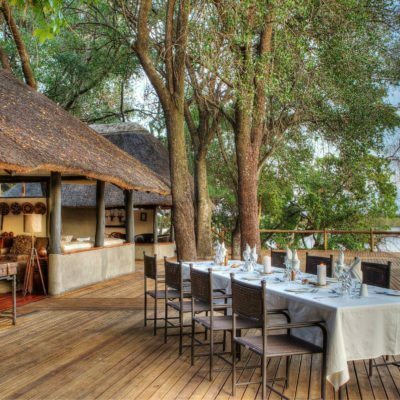 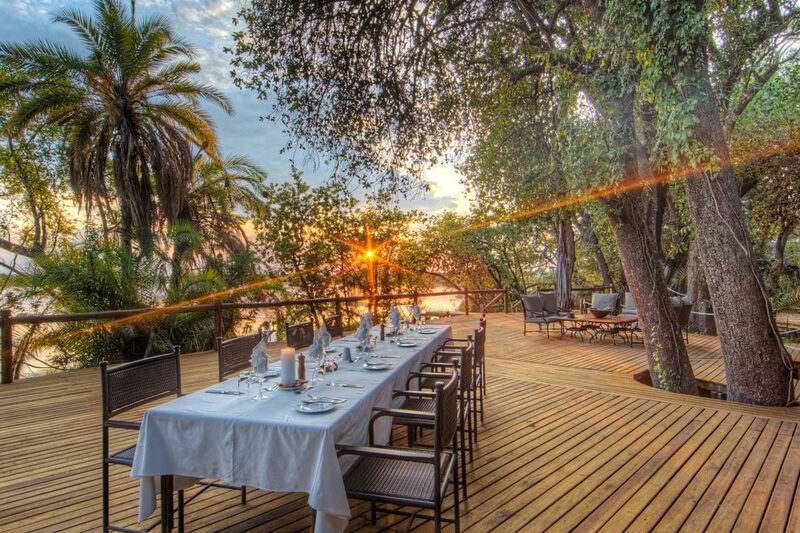 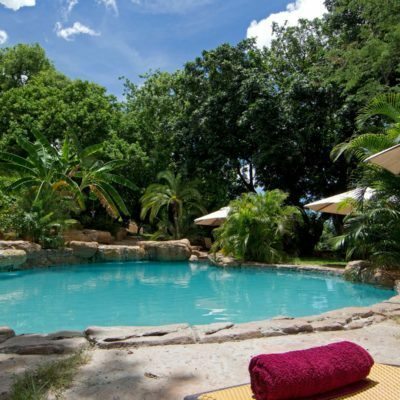 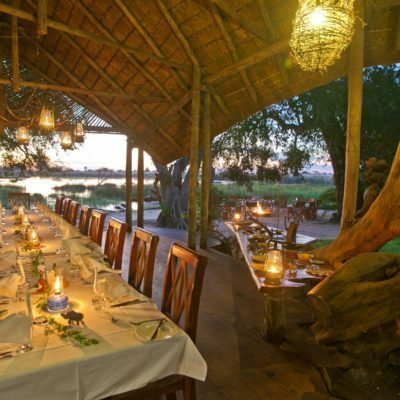 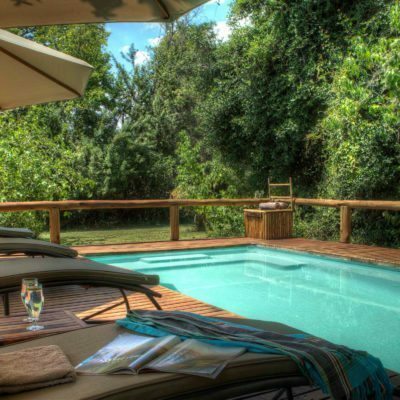 This river is flanked by the Chobe National Park mainland, so “big game” comes to the river daily to drink – including hundreds of elephants, herds of buffalo and even predators like lion now and again. 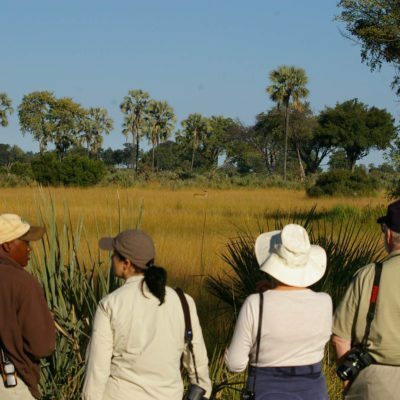 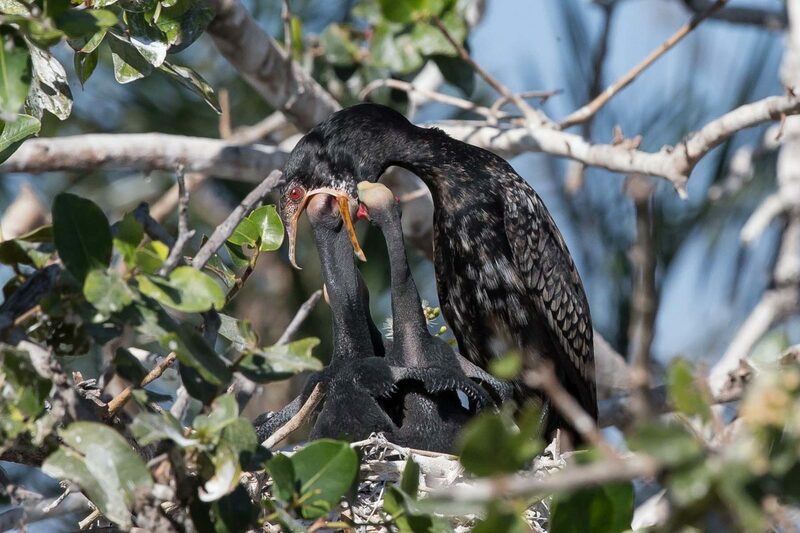 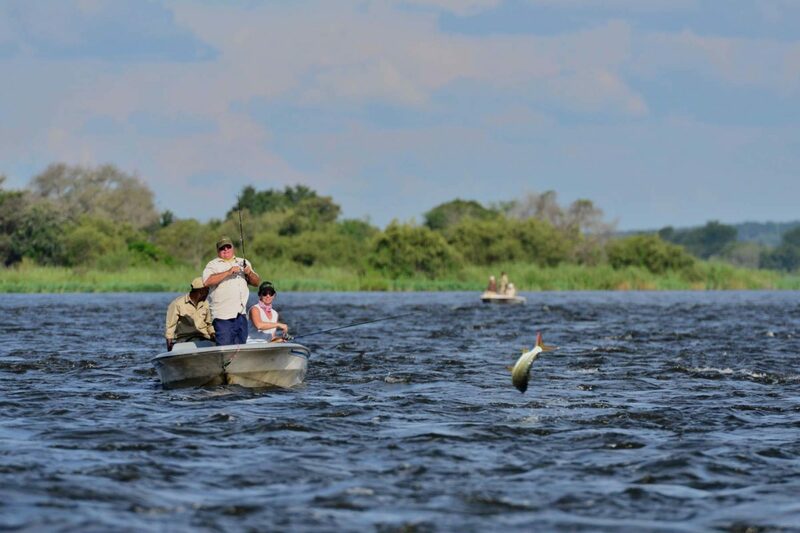 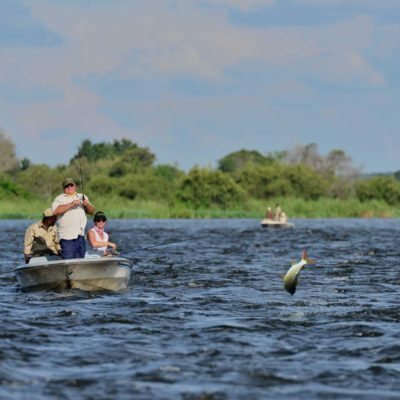 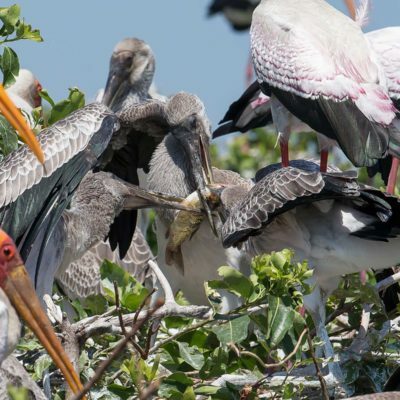 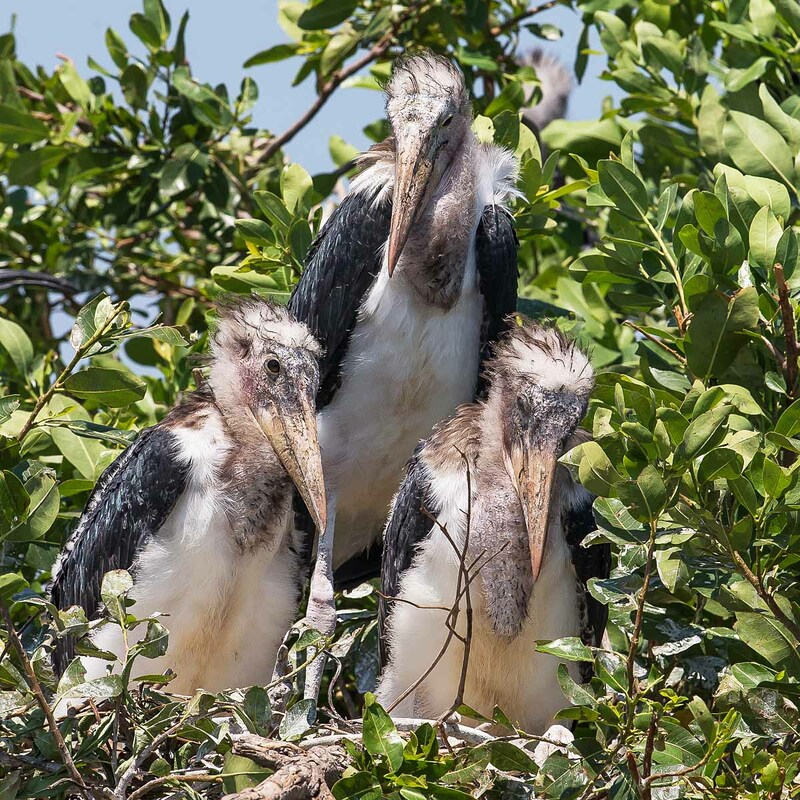 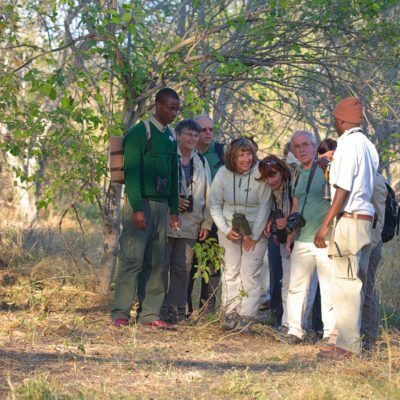 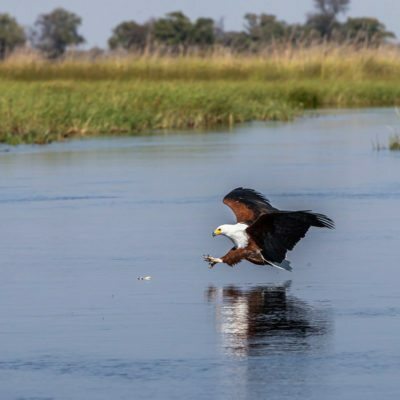 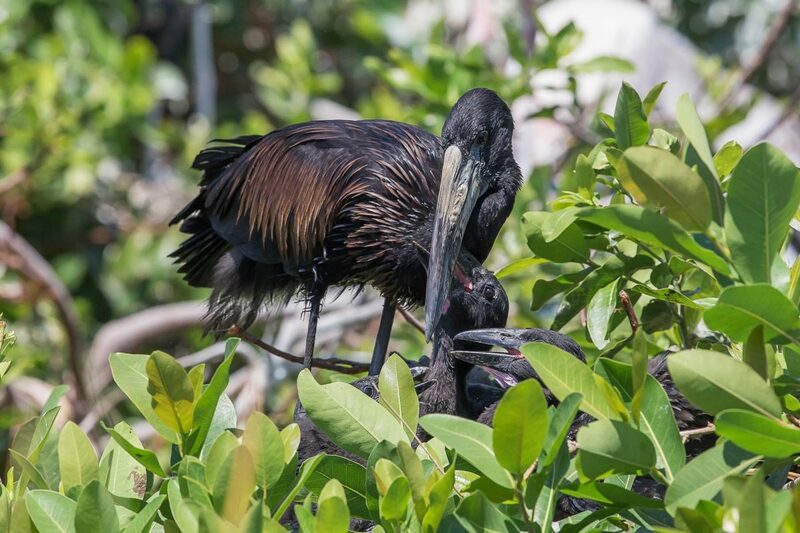 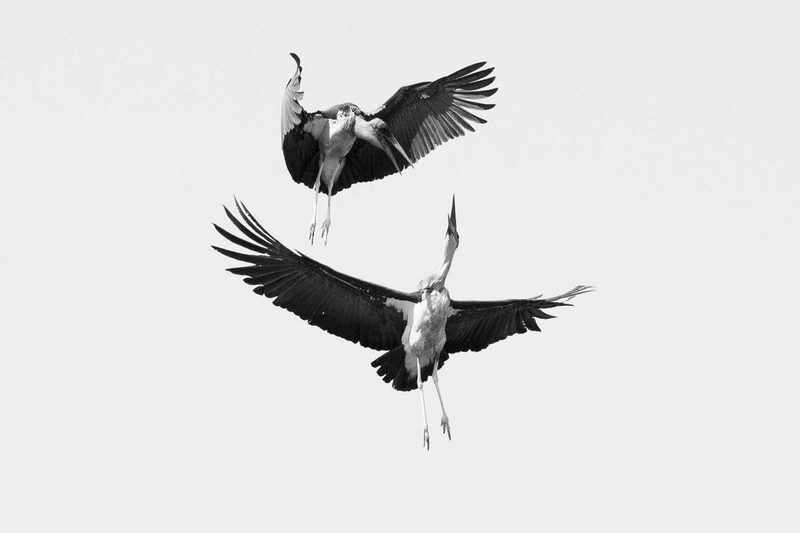 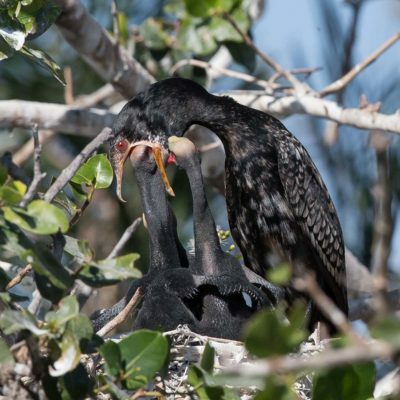 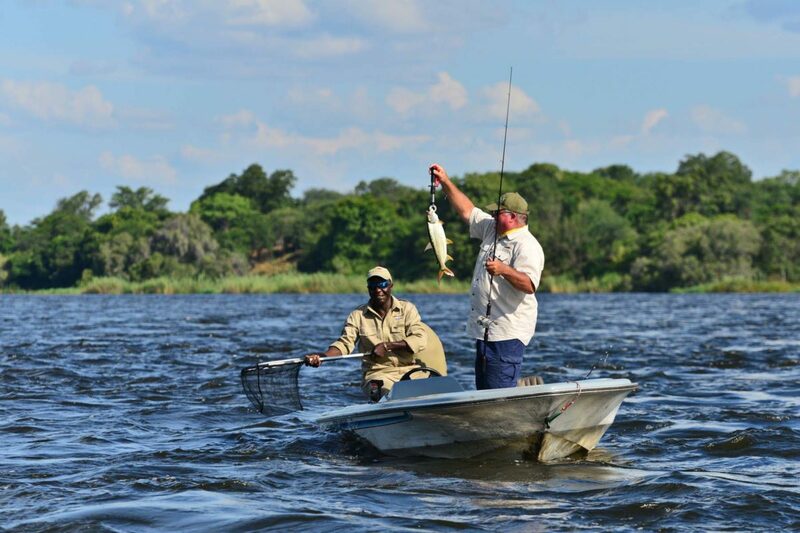 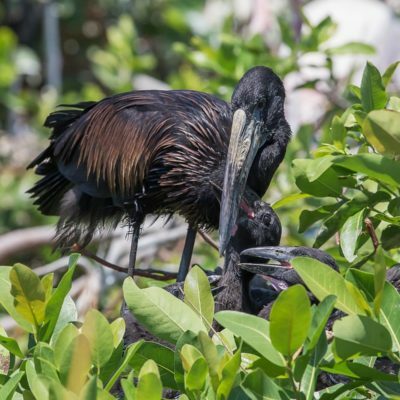 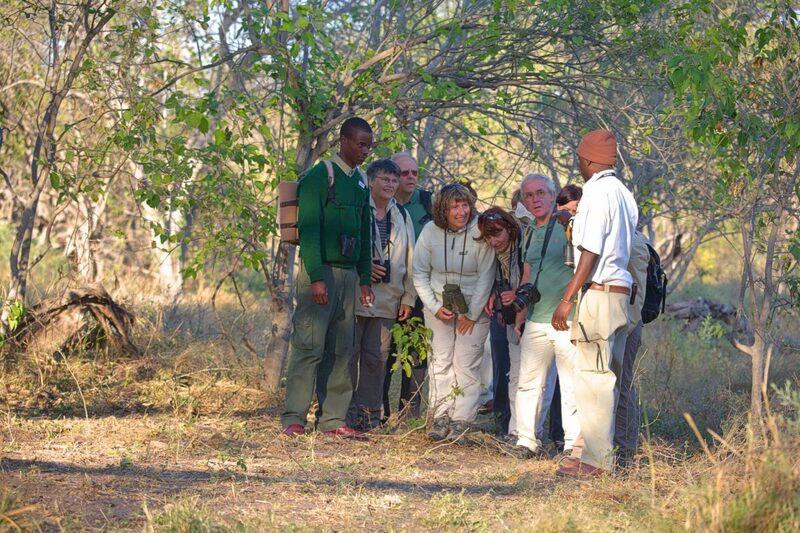 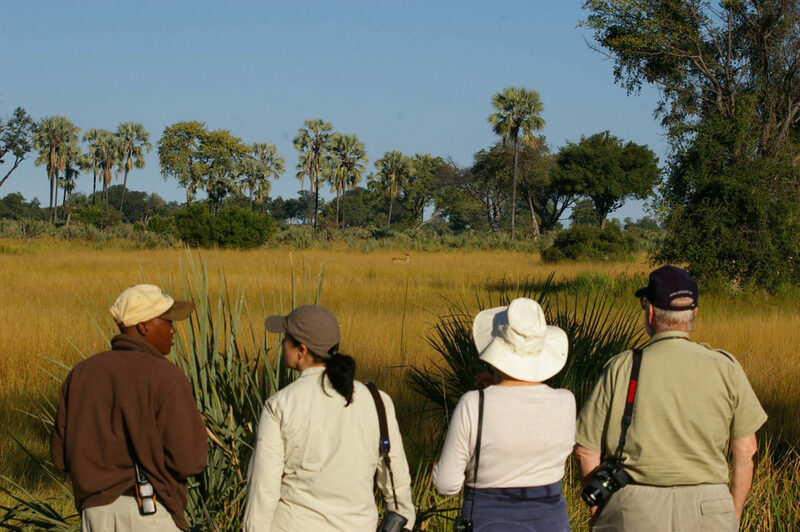 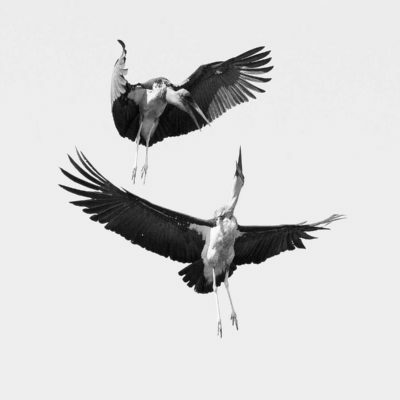 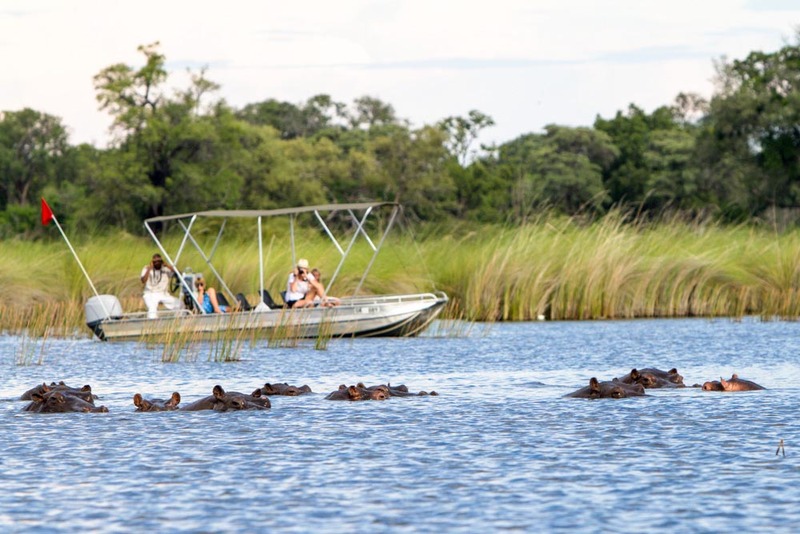 Birdlife here is extremely prolific – the best Botswana has to offer in fact and best seen from the boat! 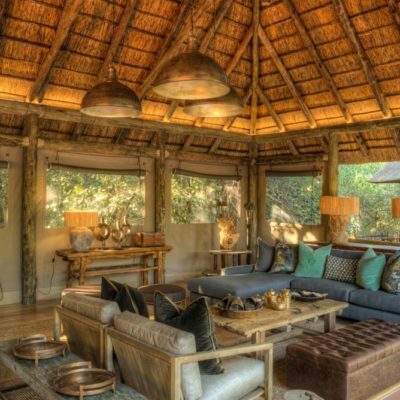 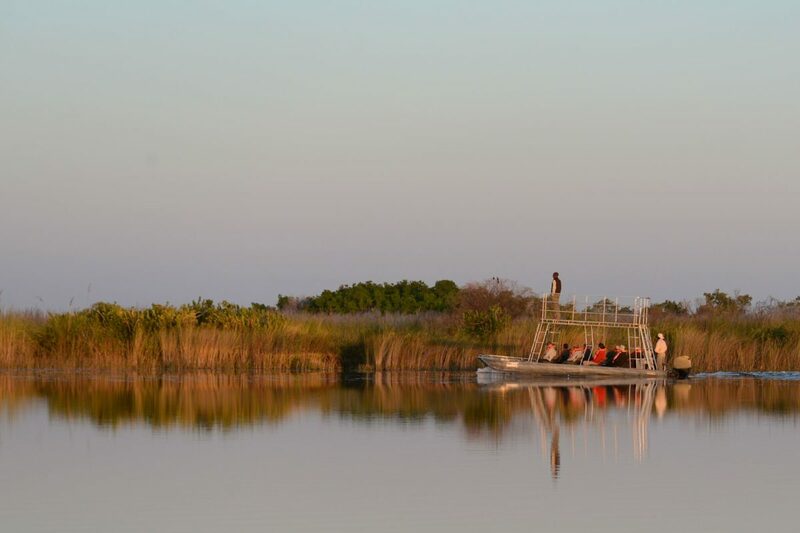 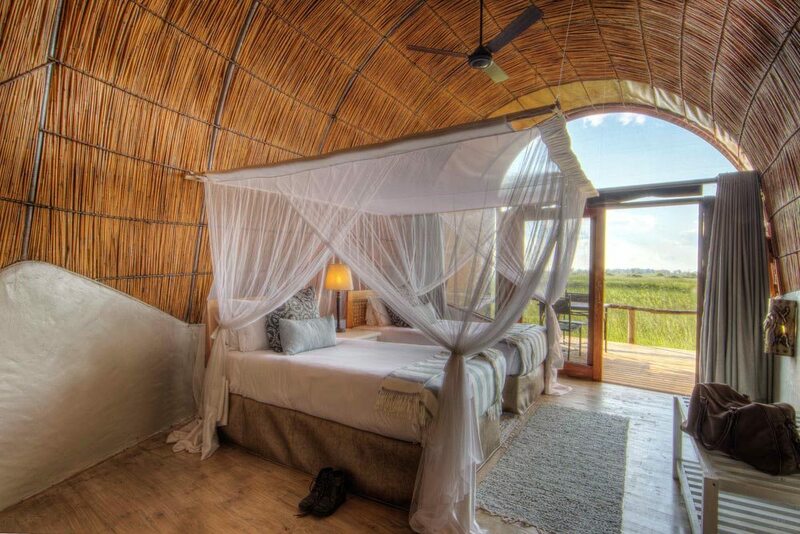 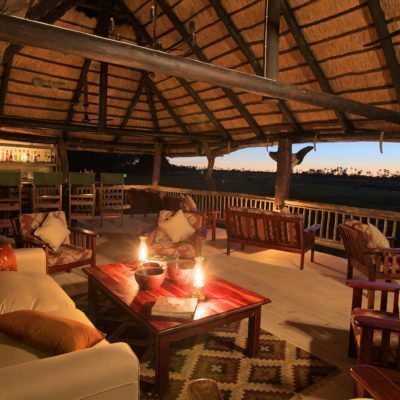 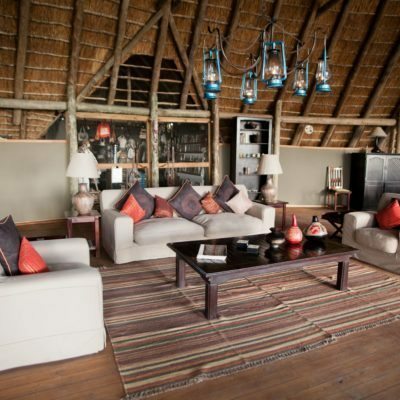 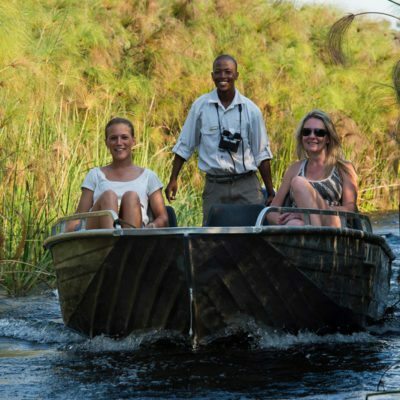 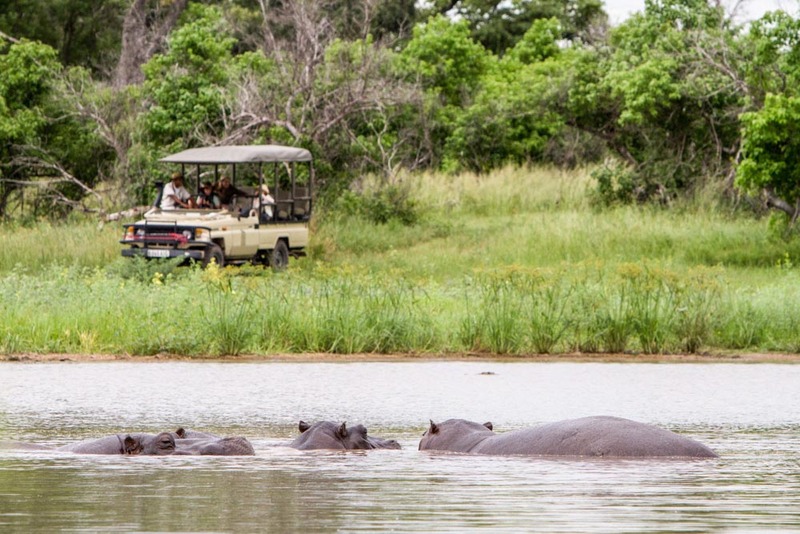 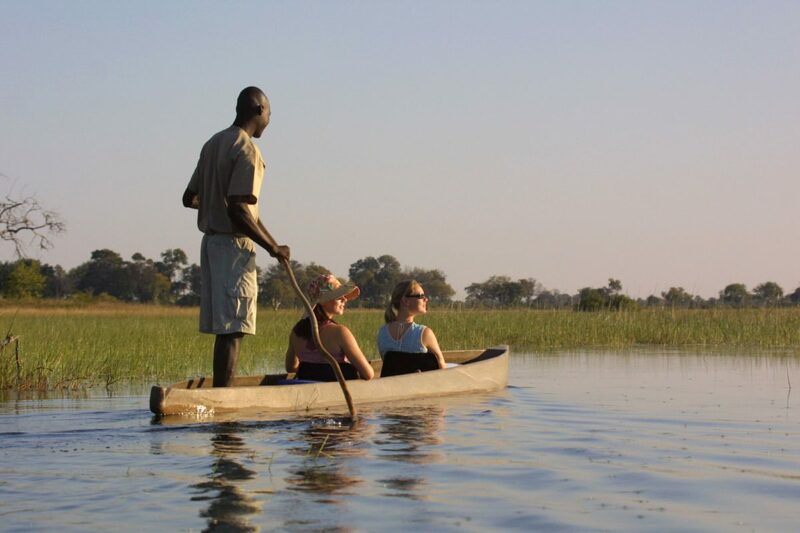 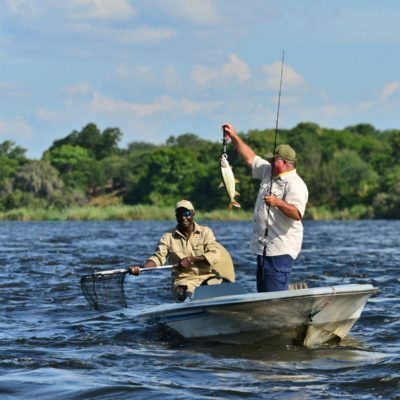 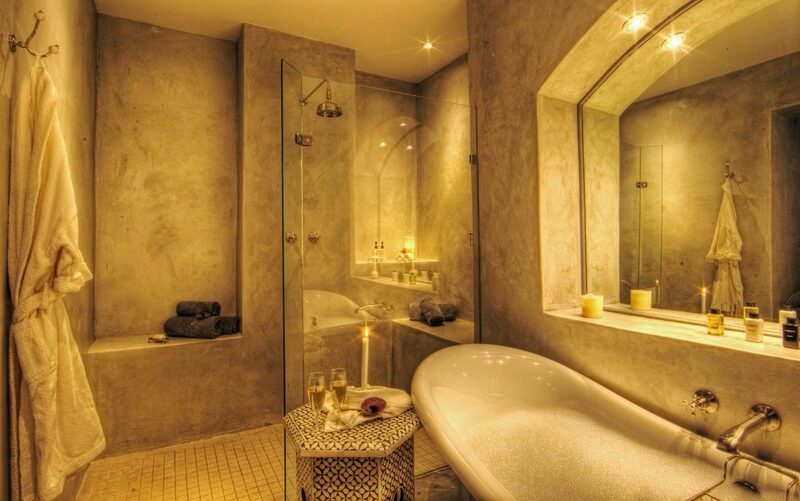 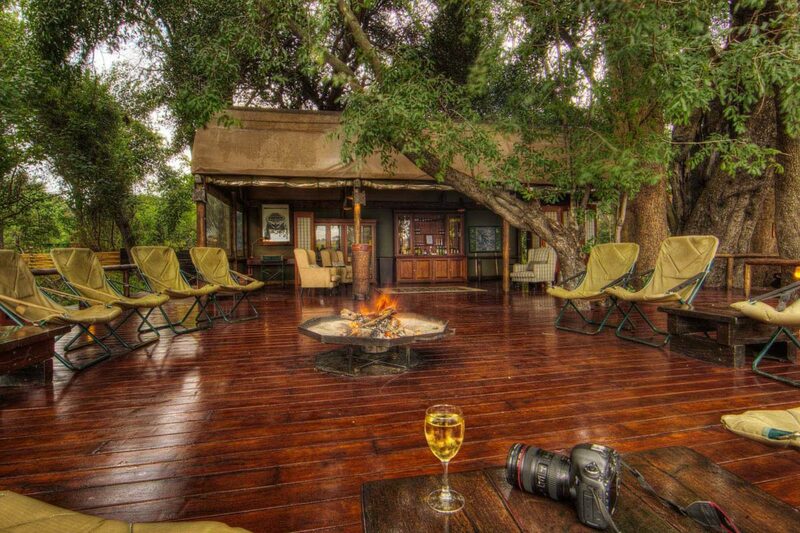 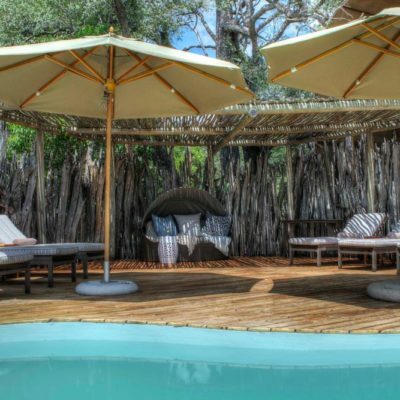 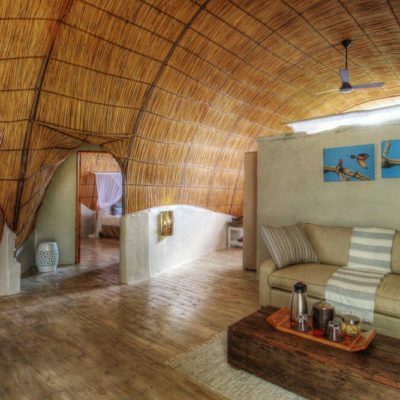 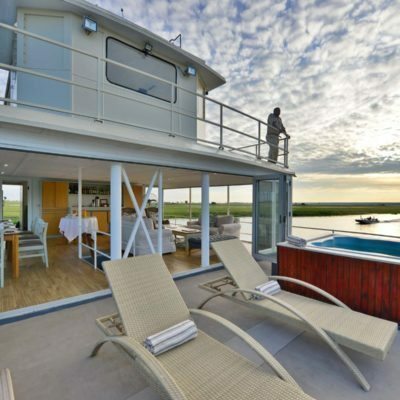 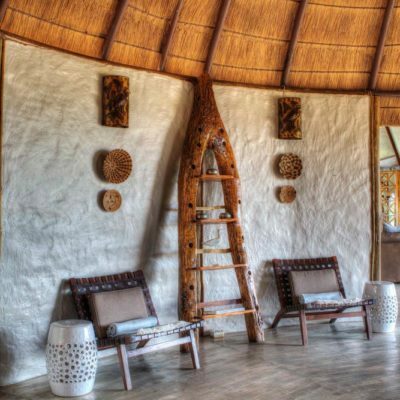 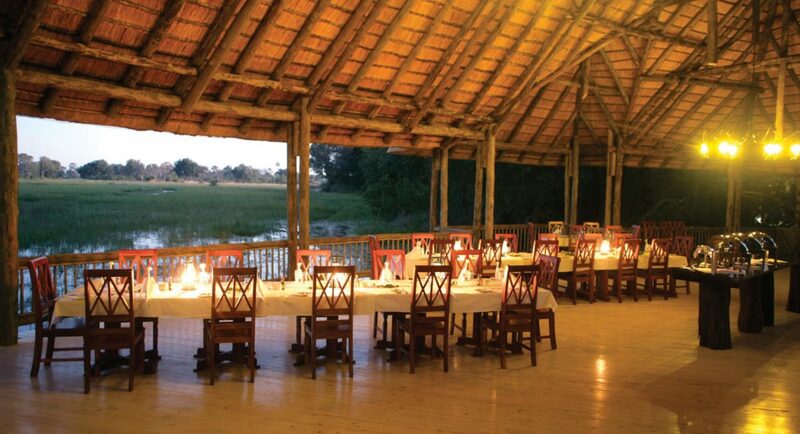 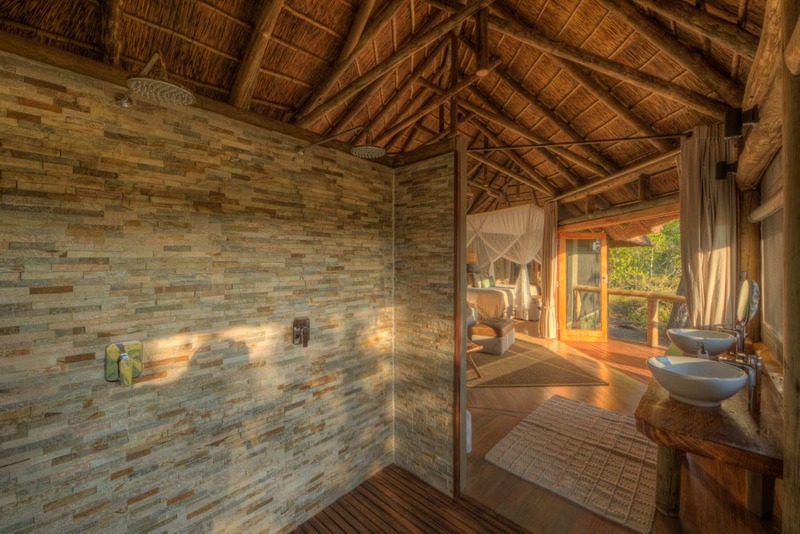 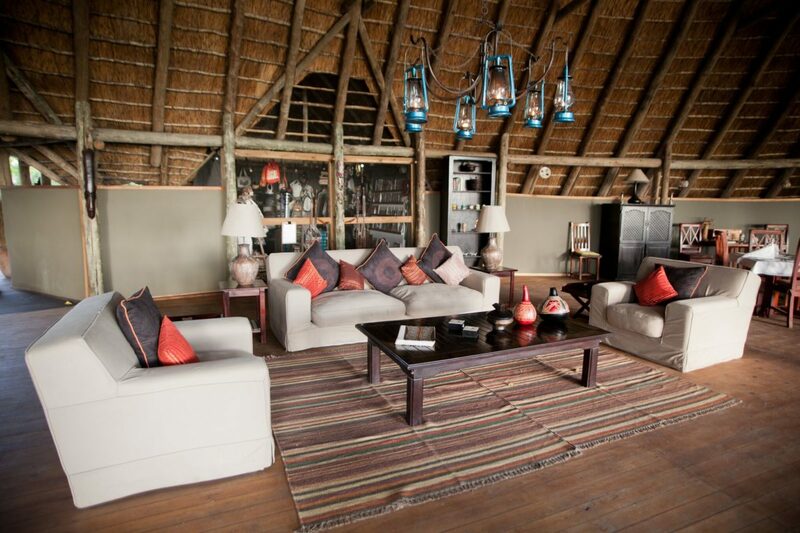 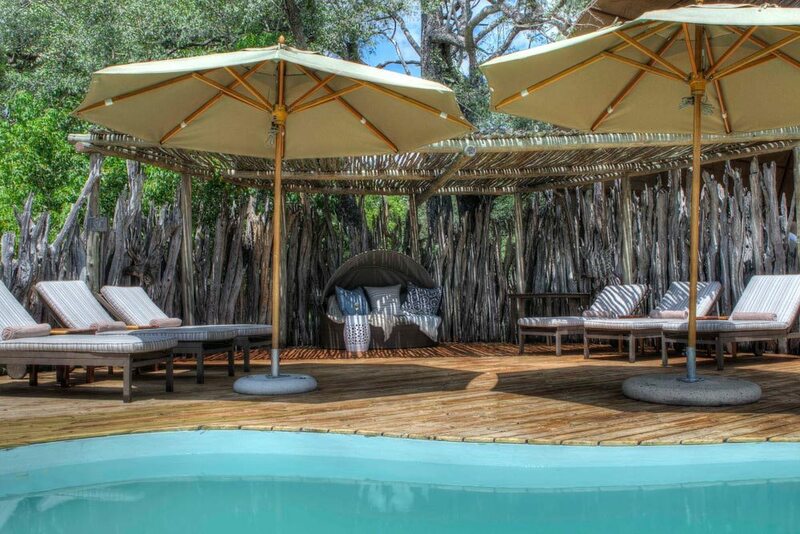 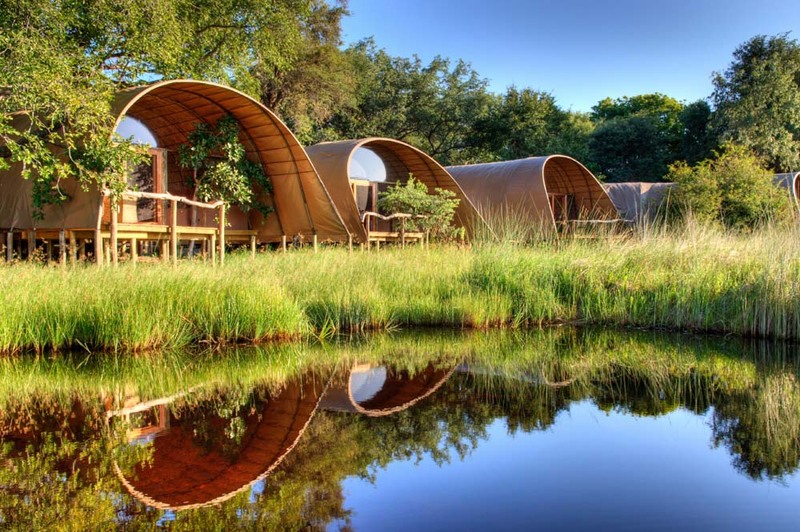 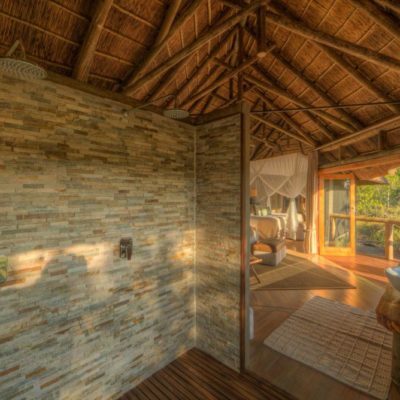 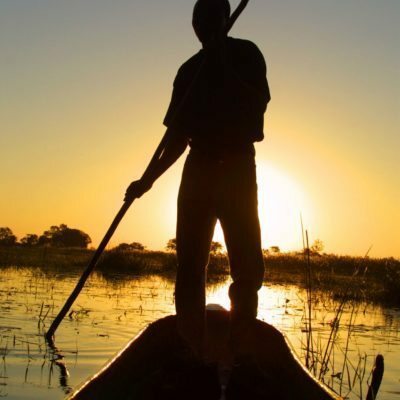 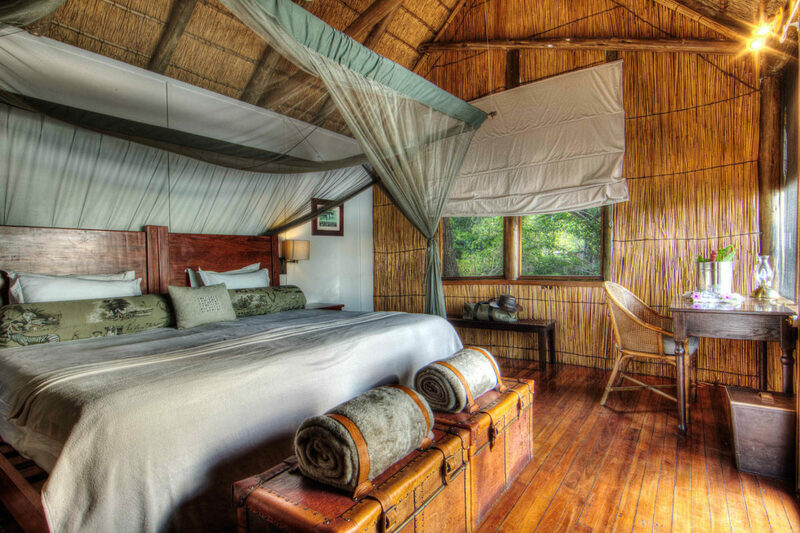 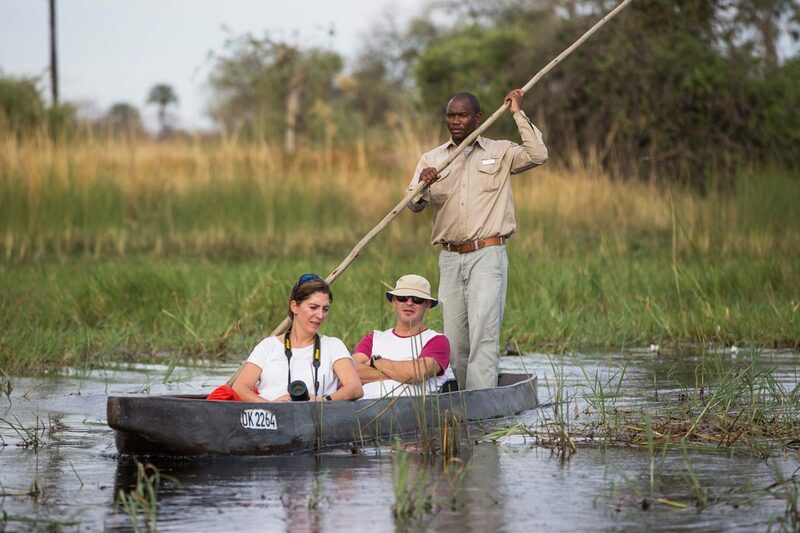 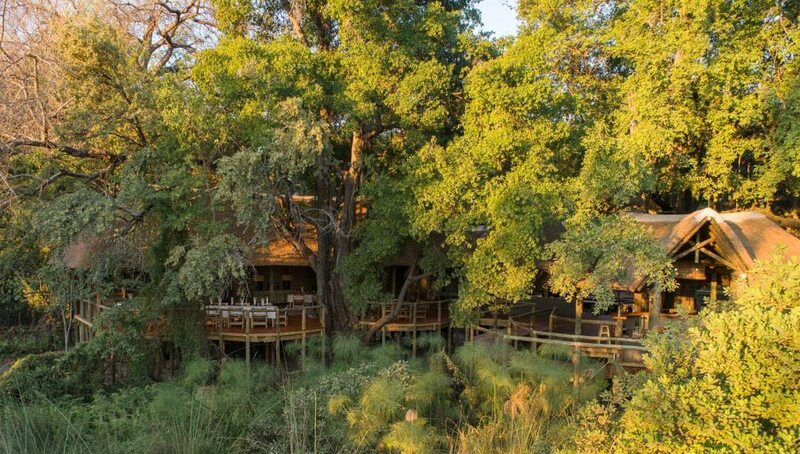 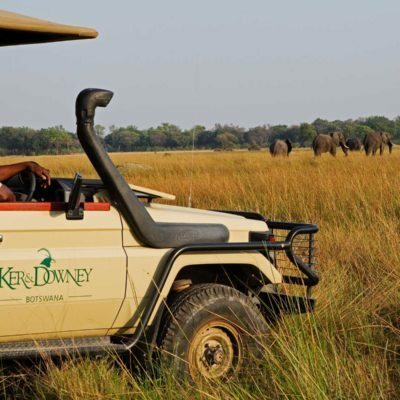 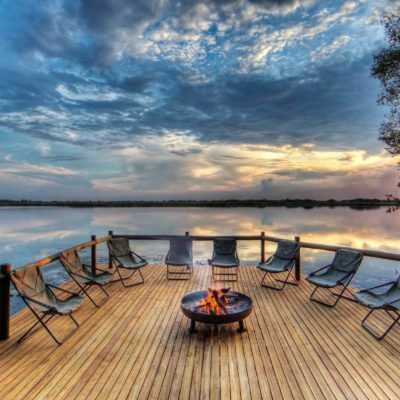 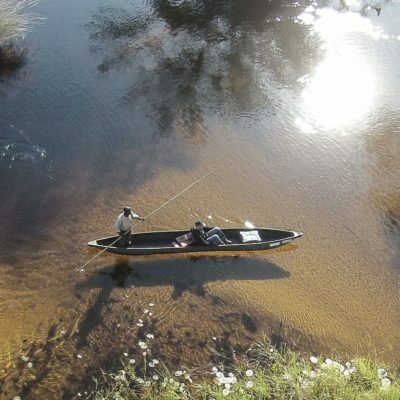 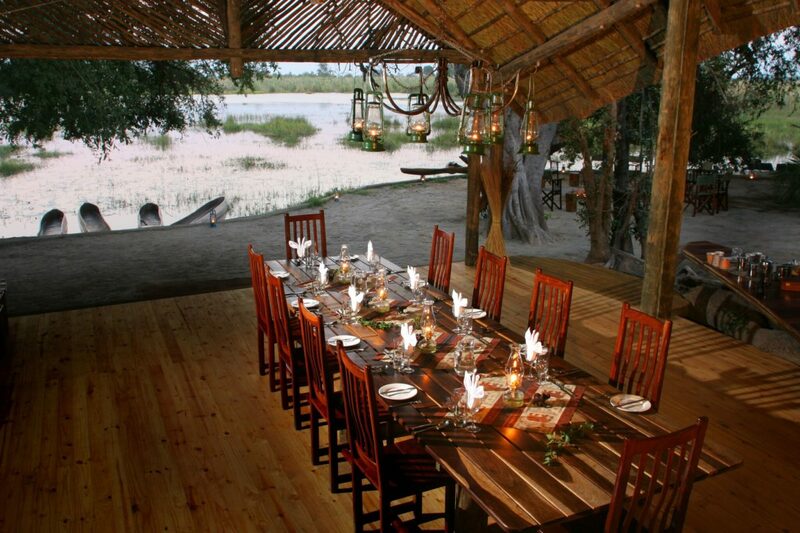 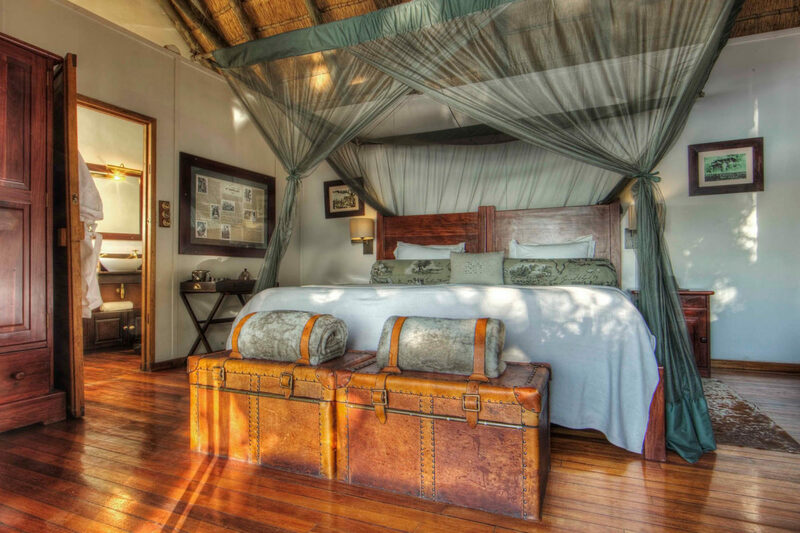 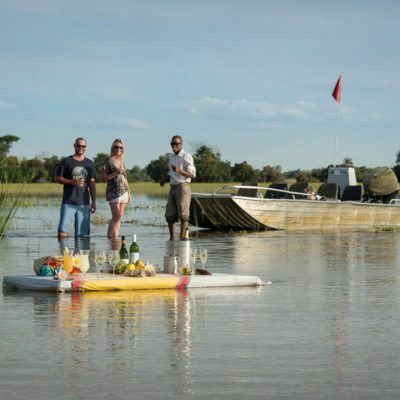 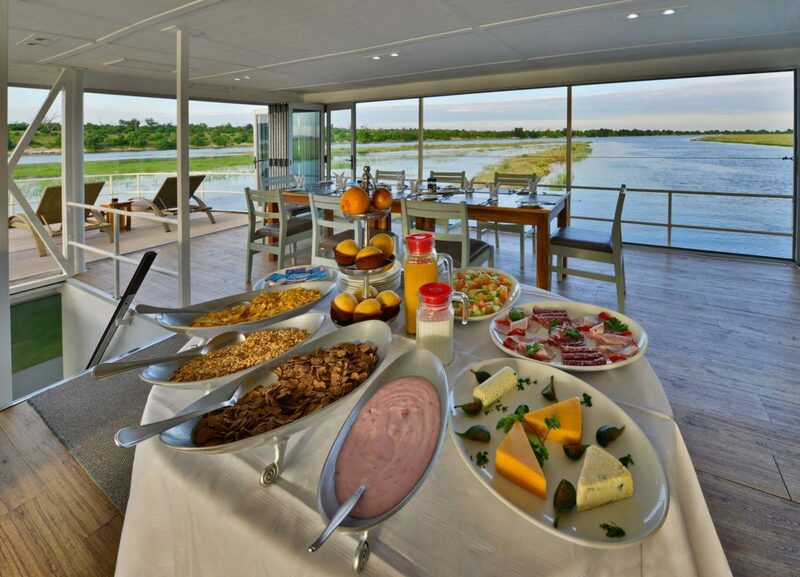 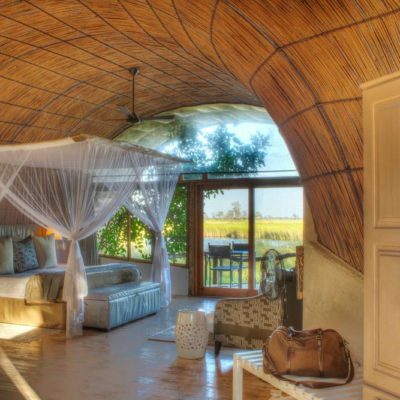 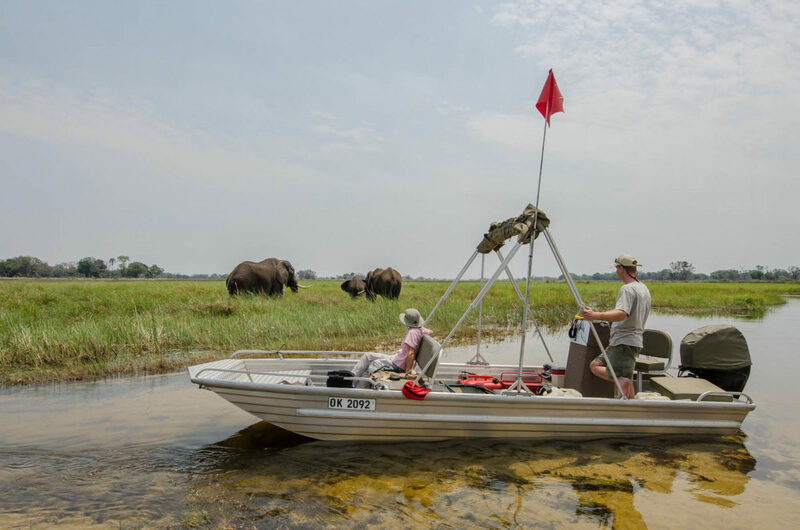 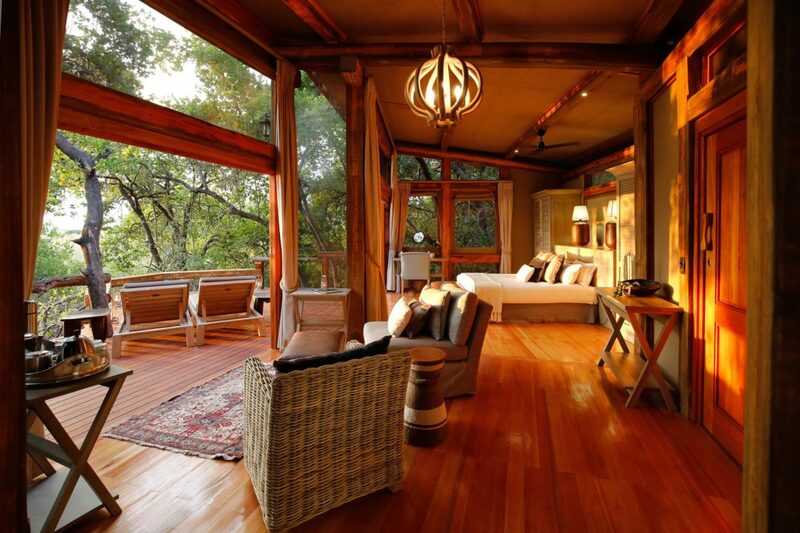 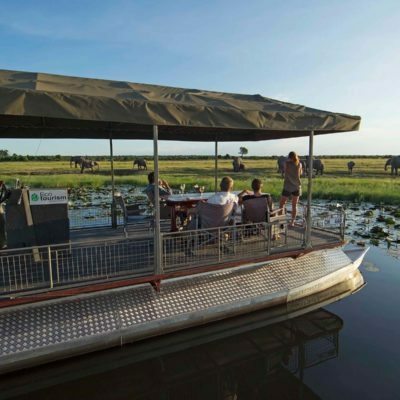 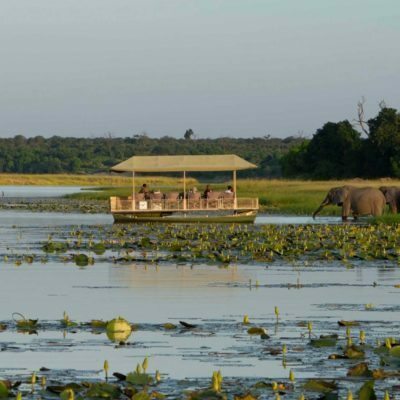 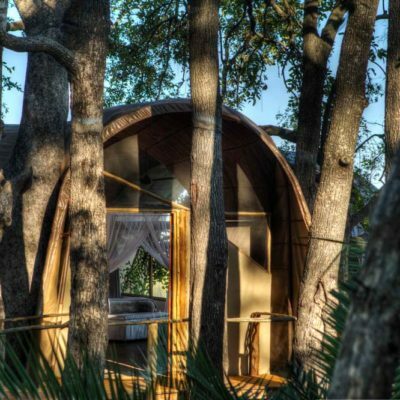 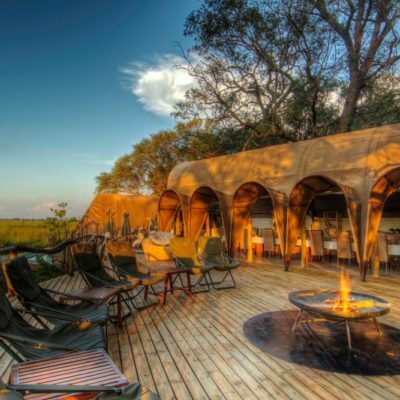 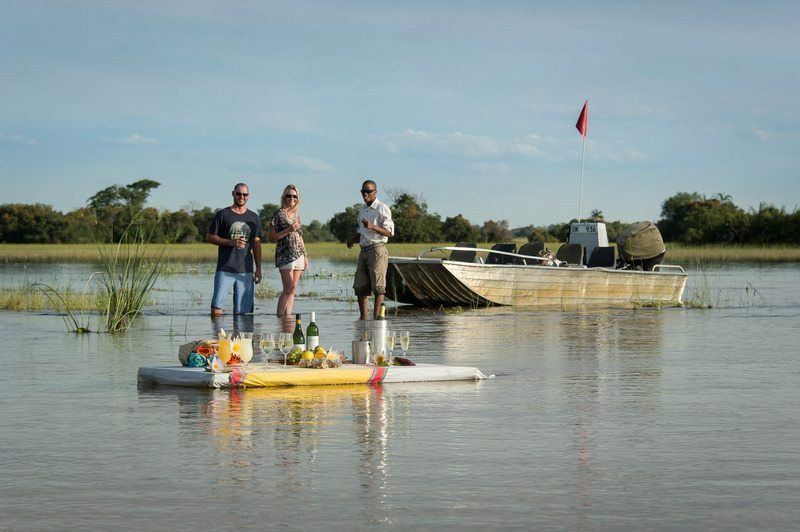 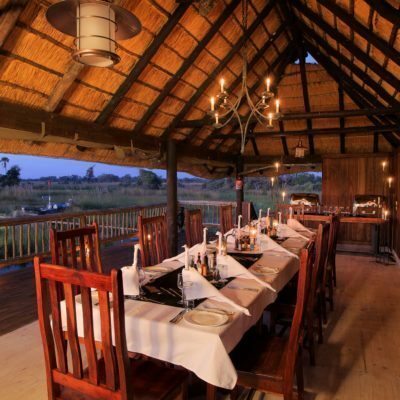 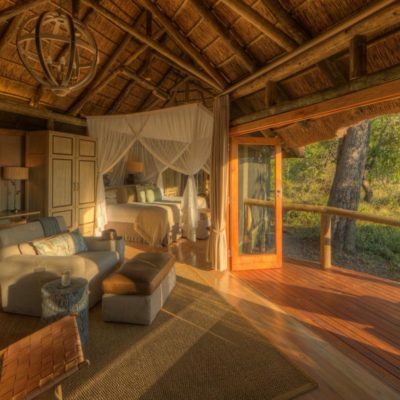 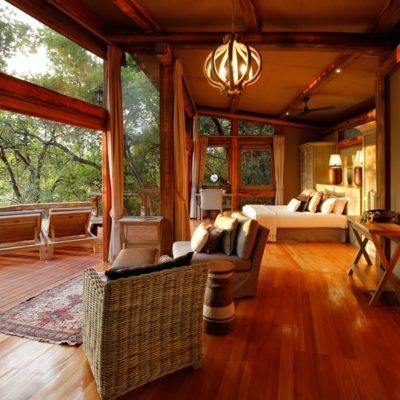 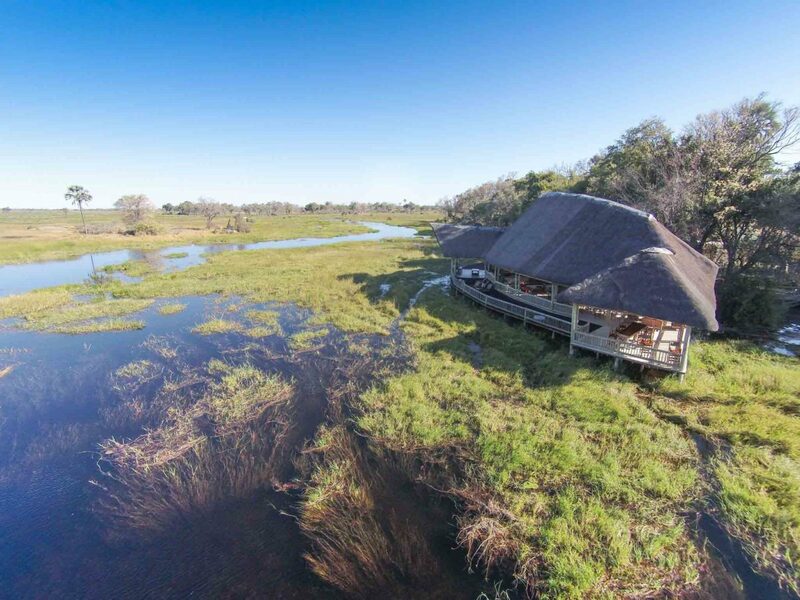 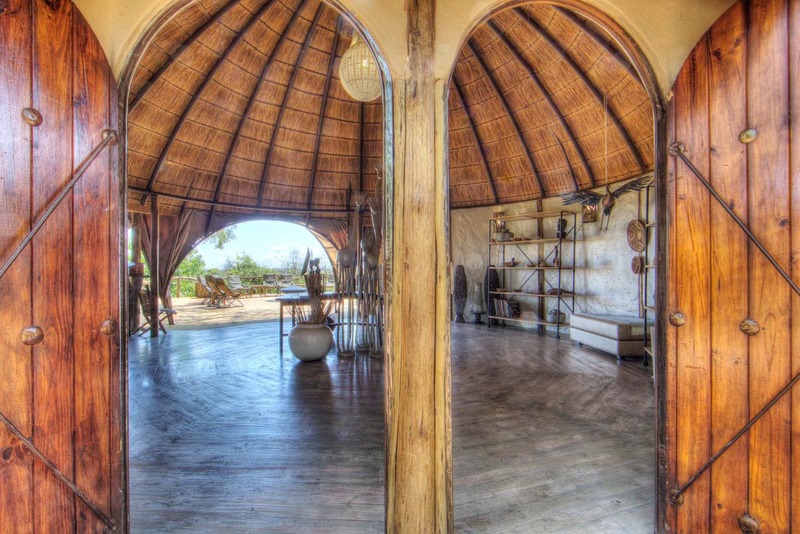 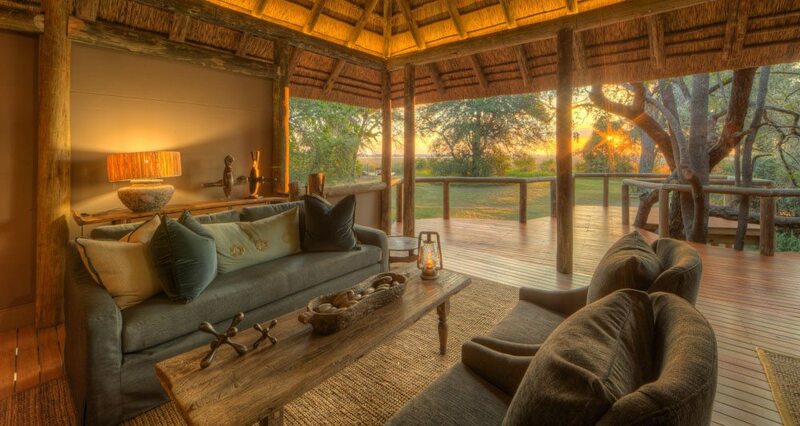 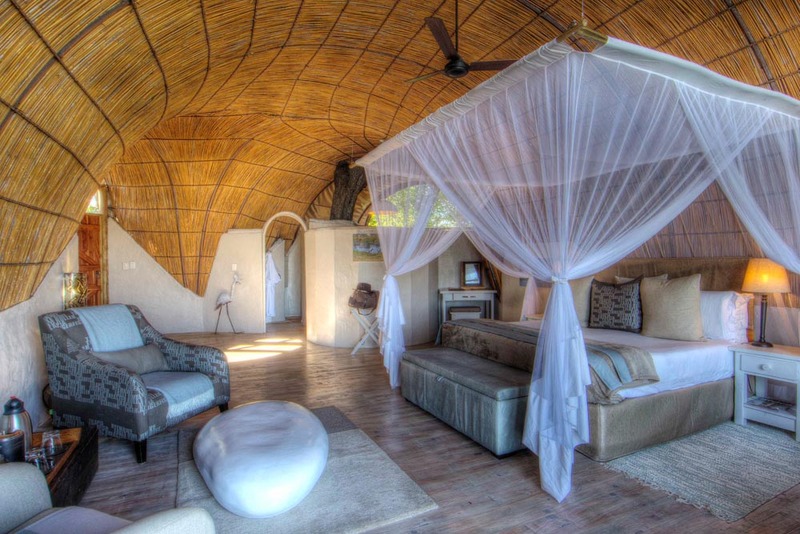 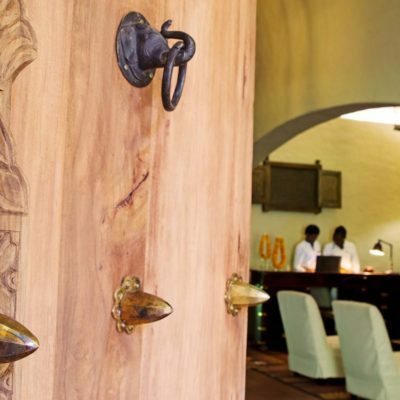 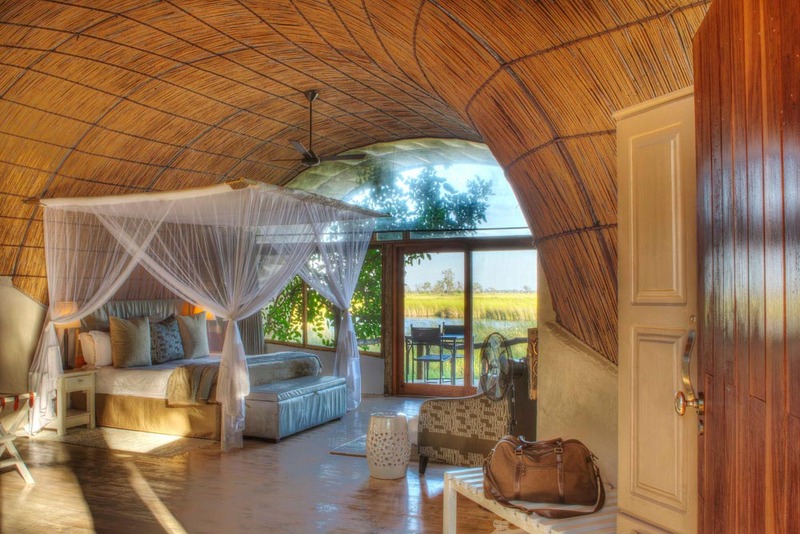 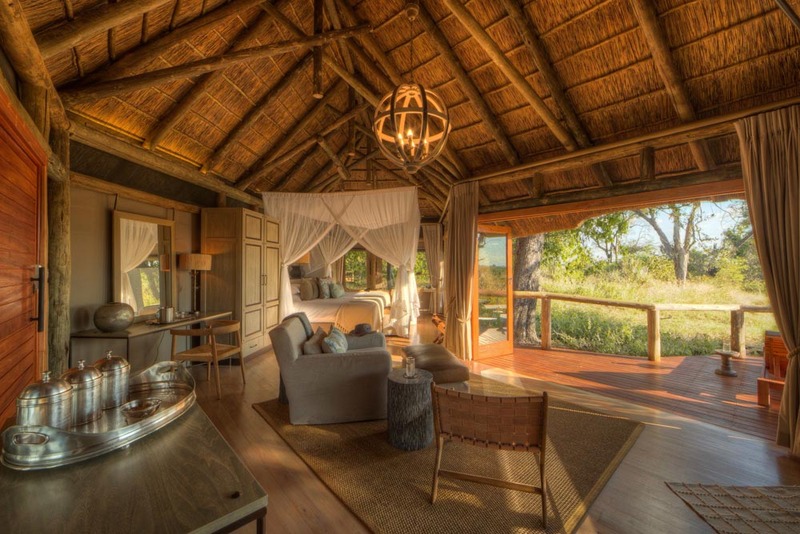 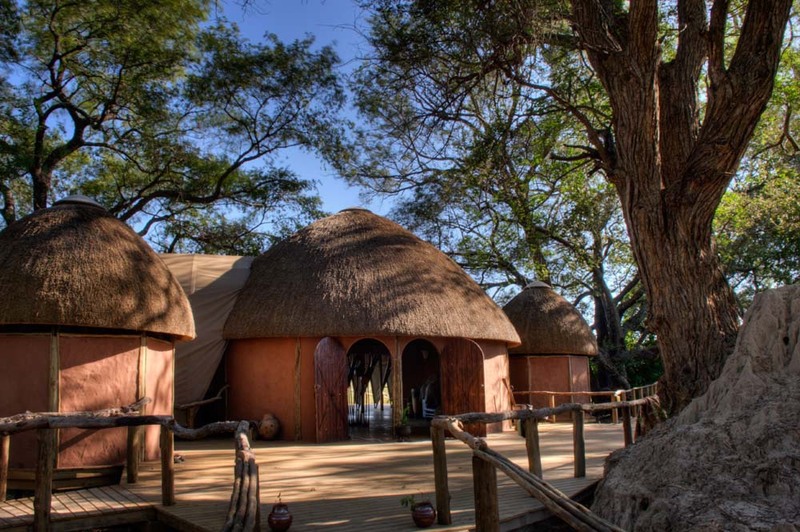 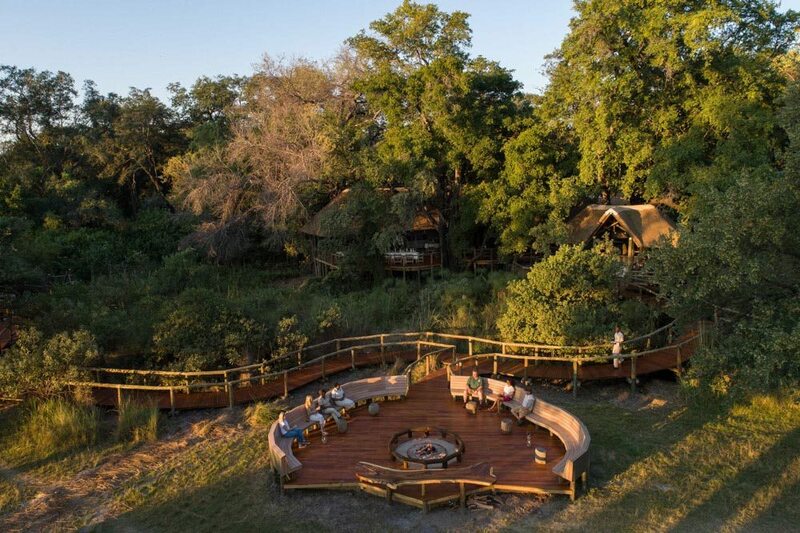 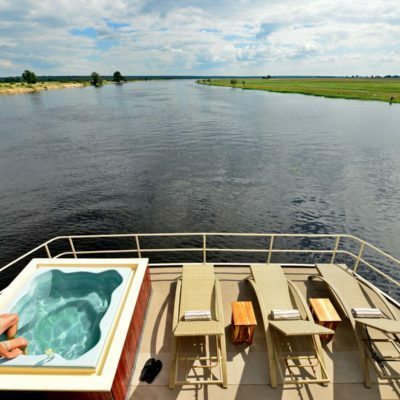 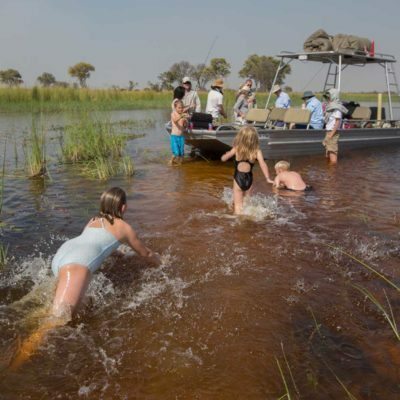 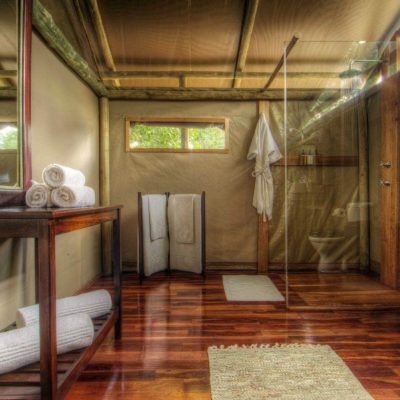 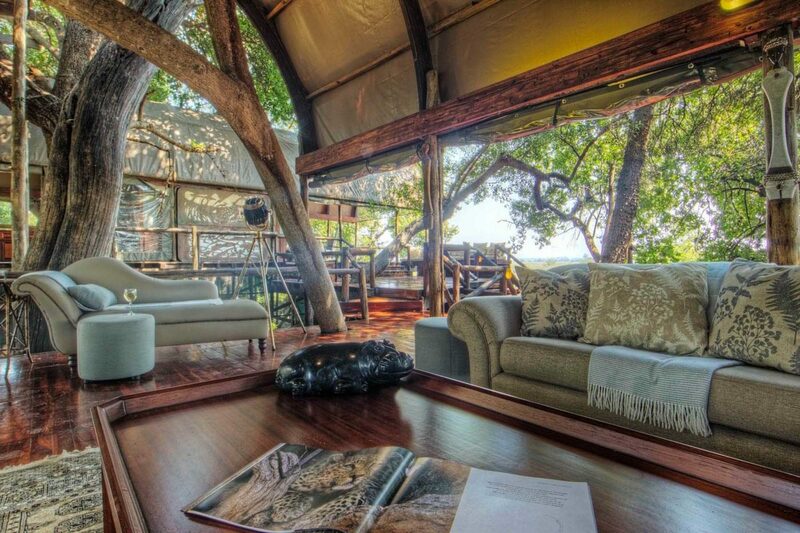 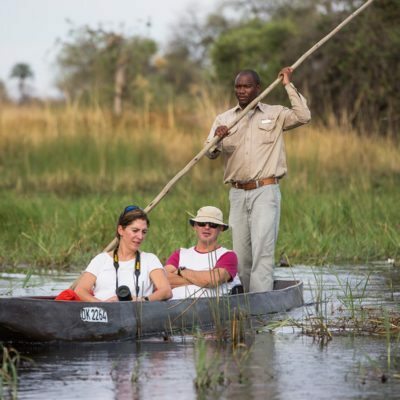 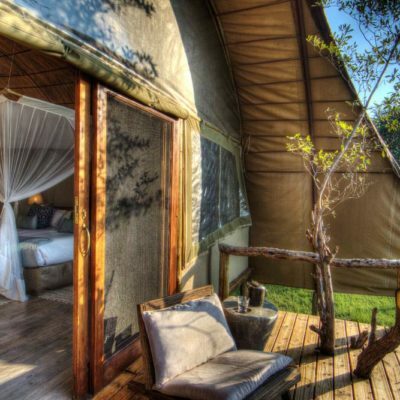 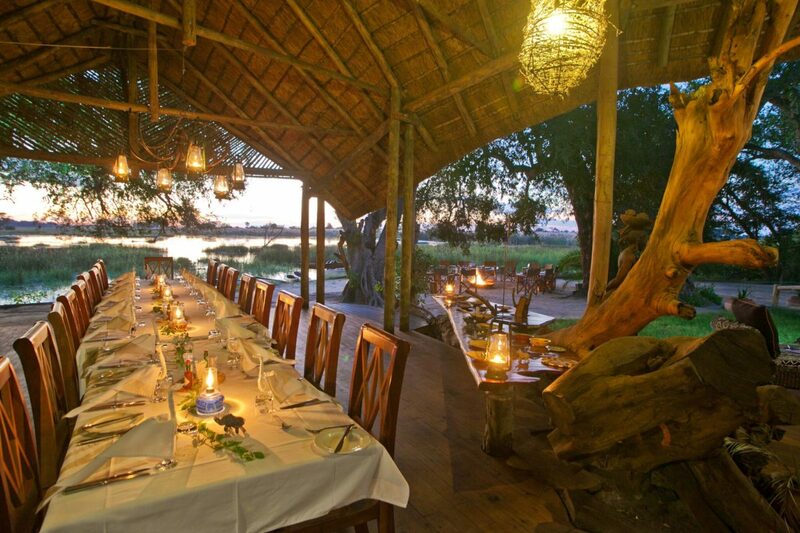 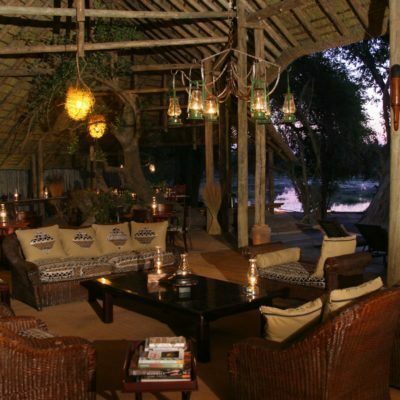 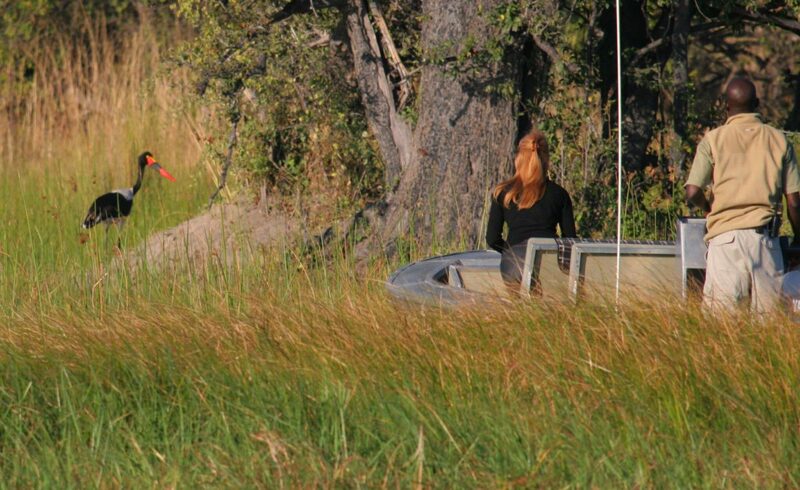 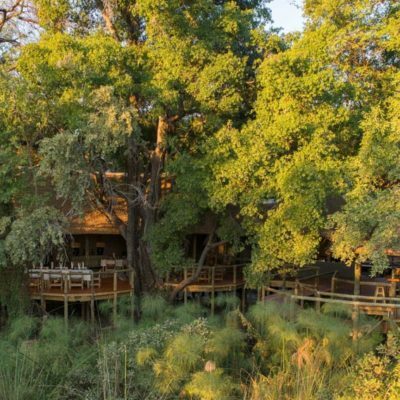 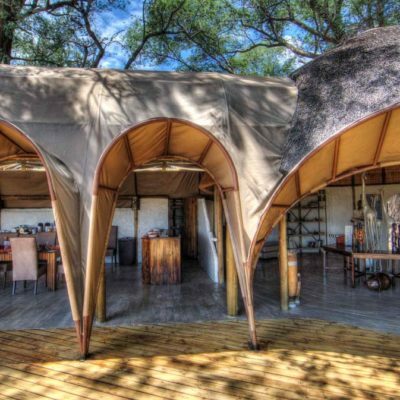 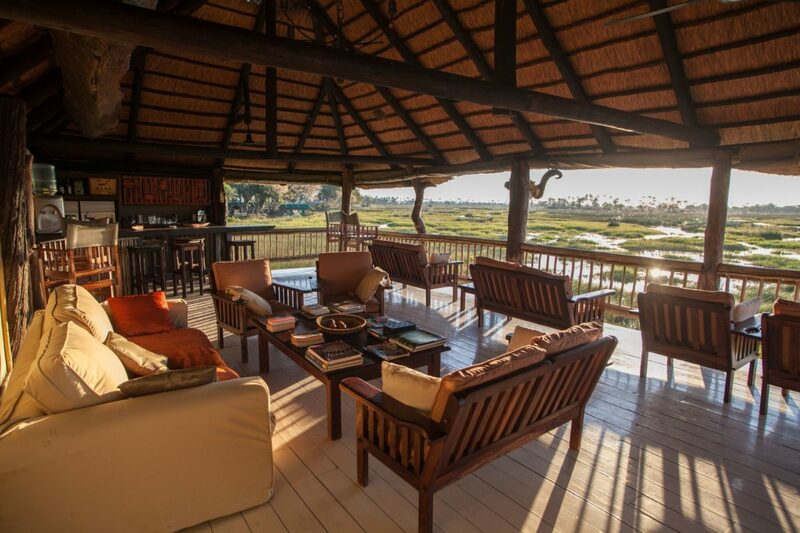 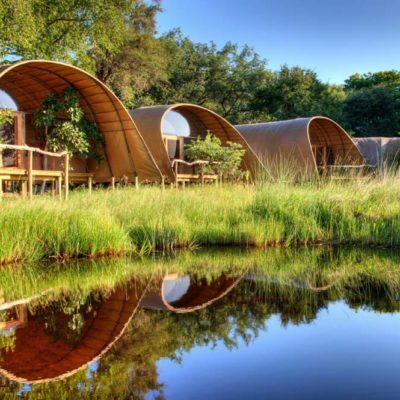 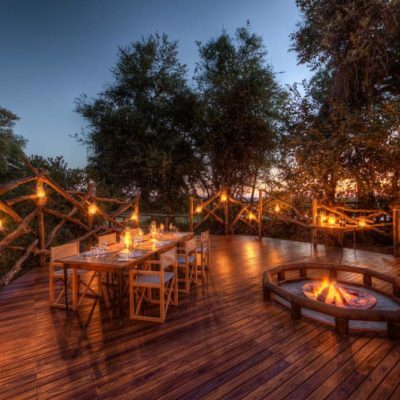 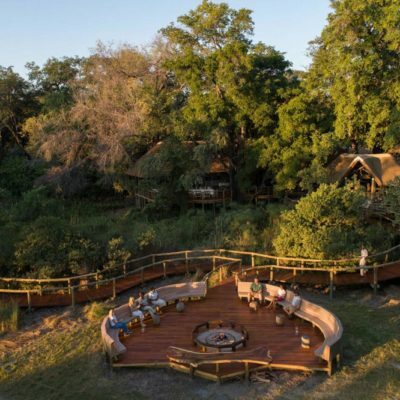 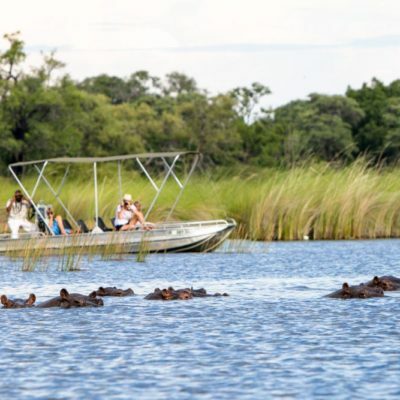 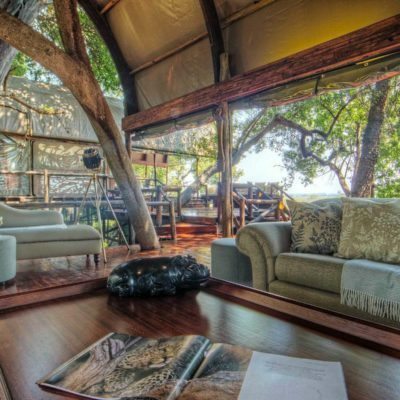 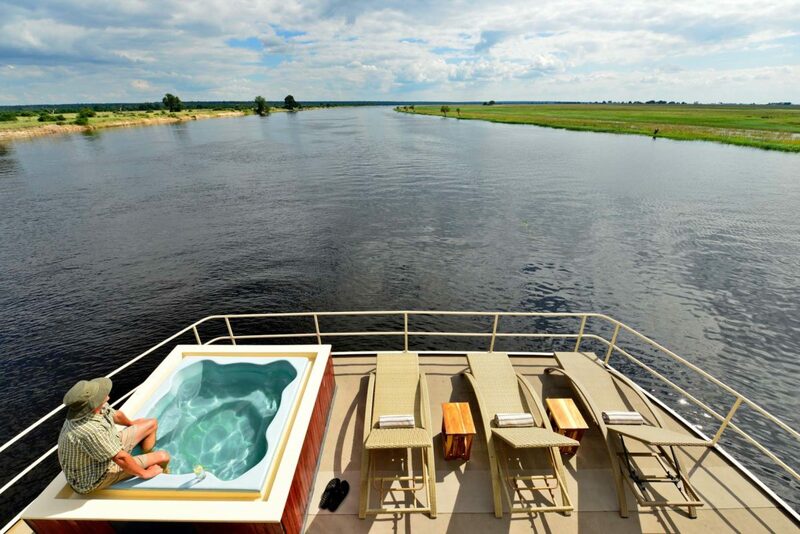 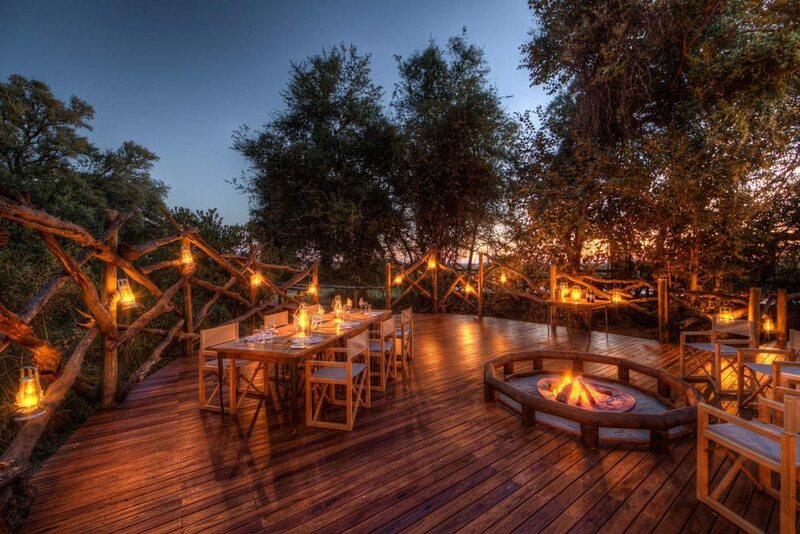 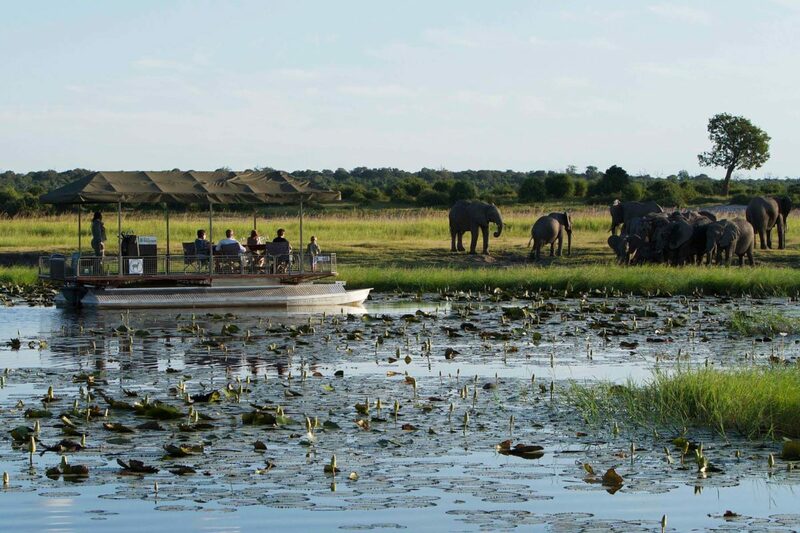 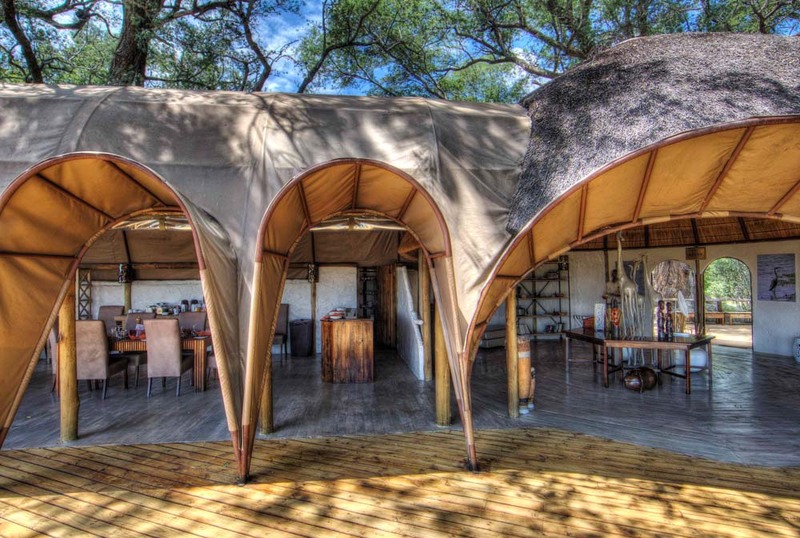 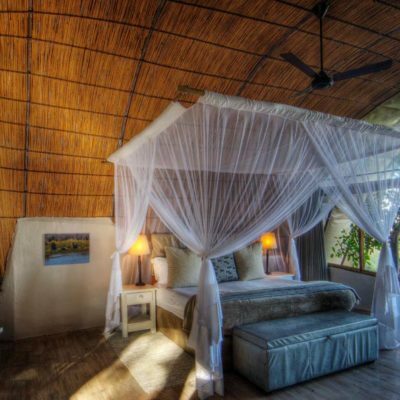 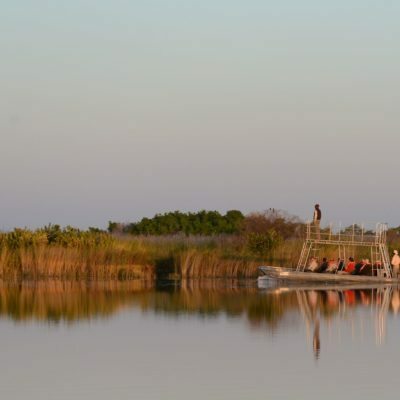 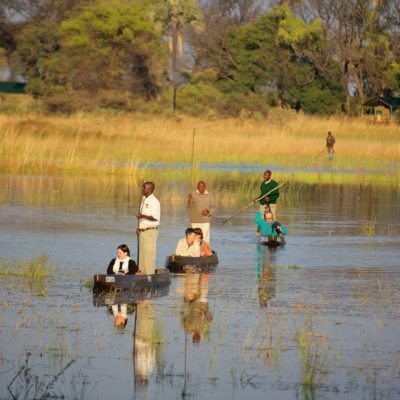 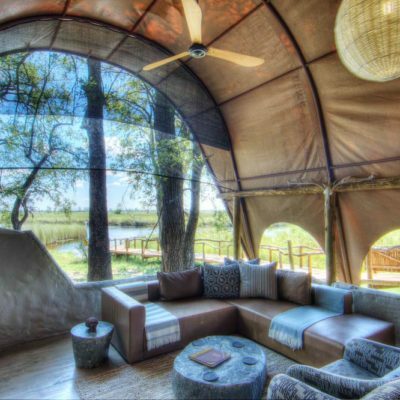 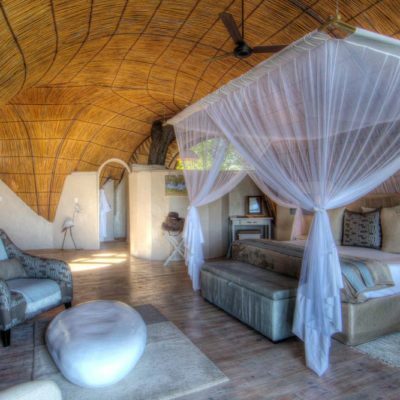 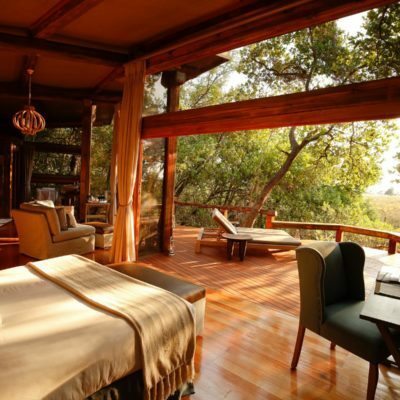 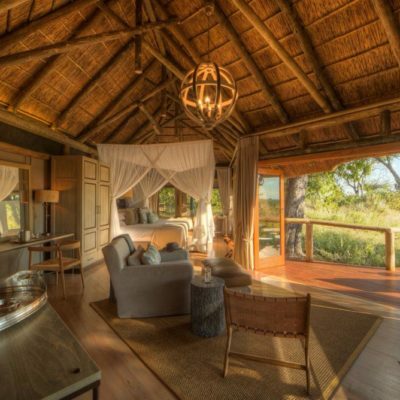 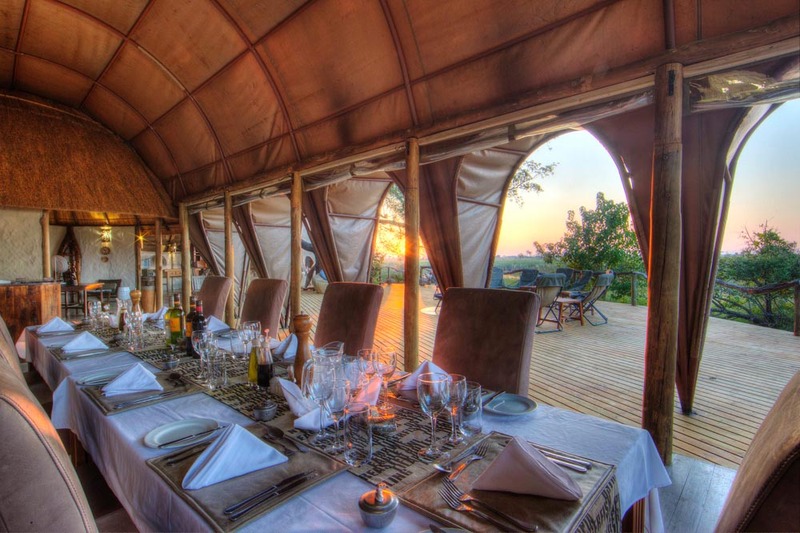 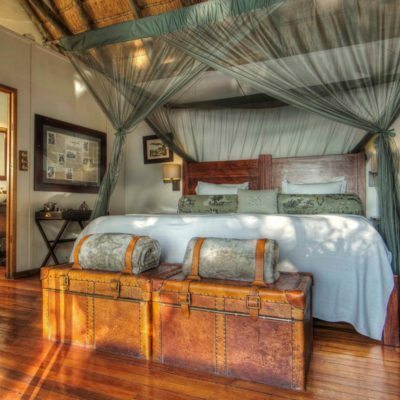 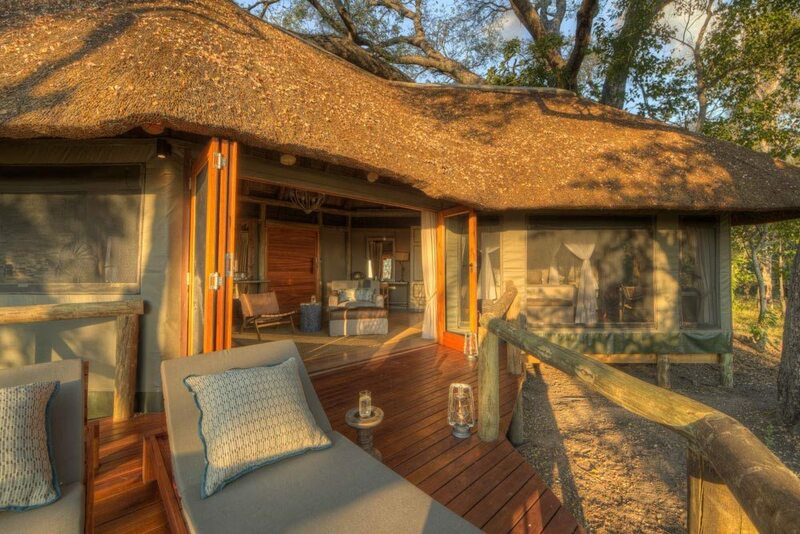 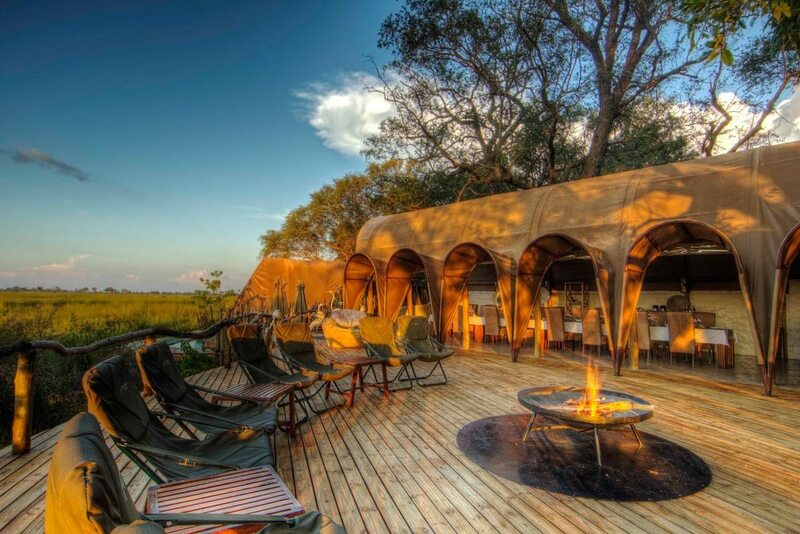 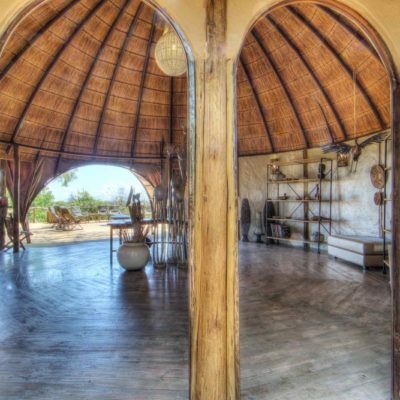 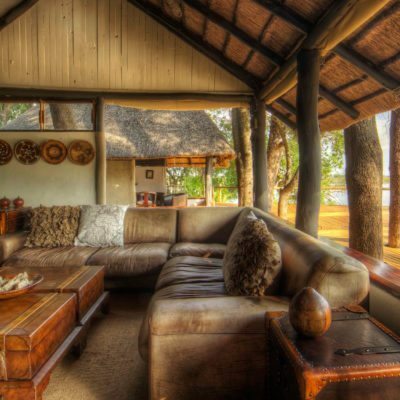 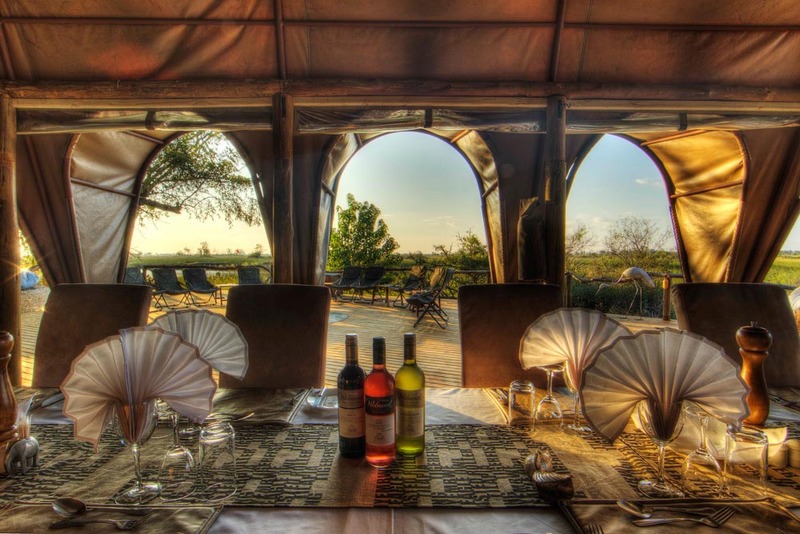 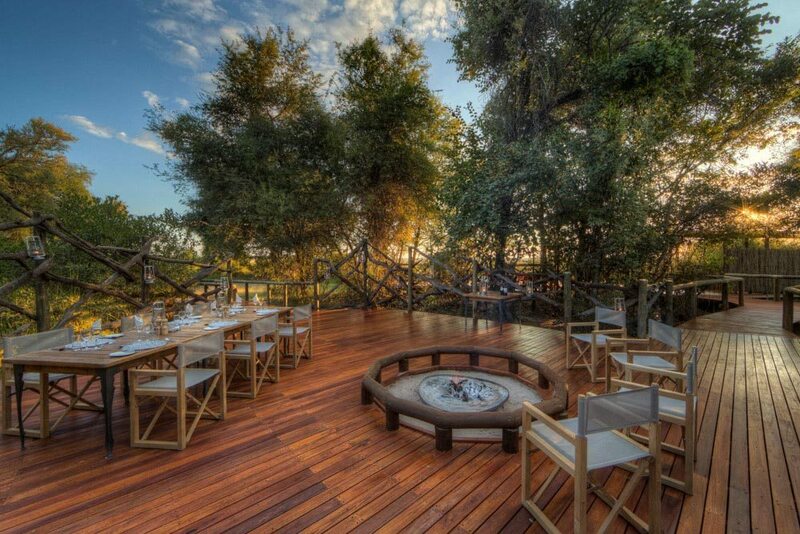 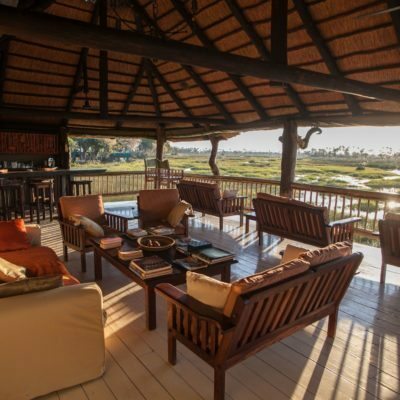 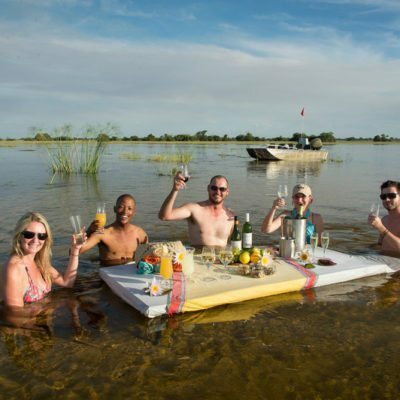 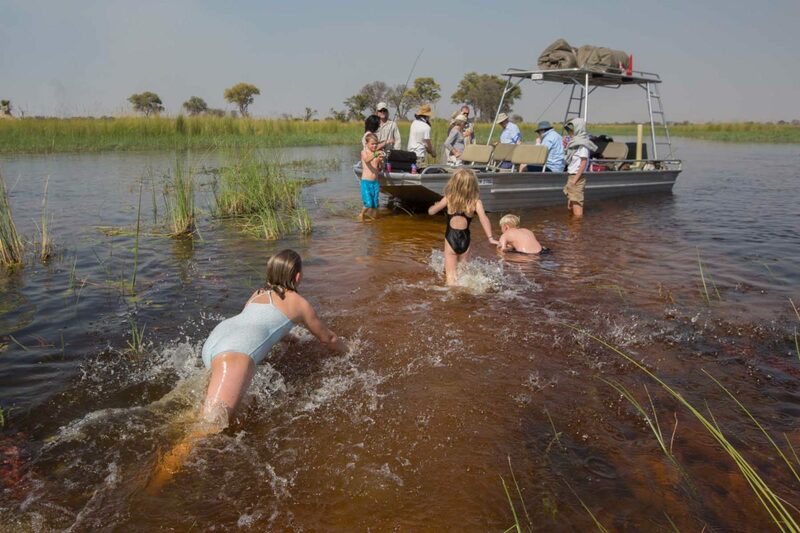 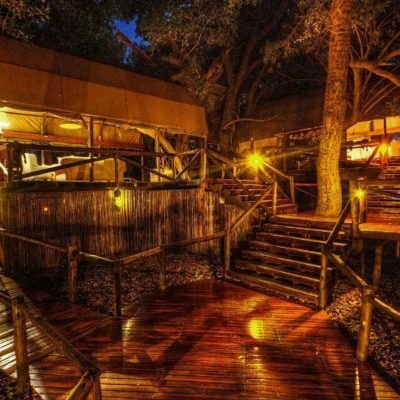 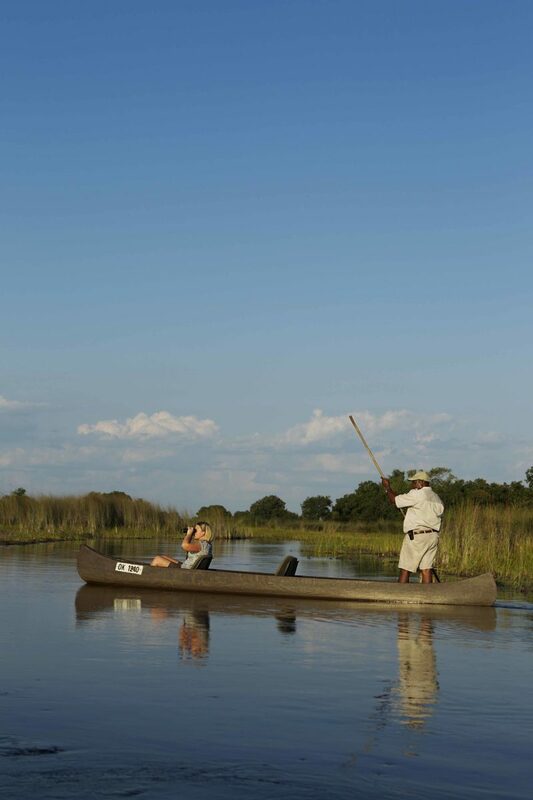 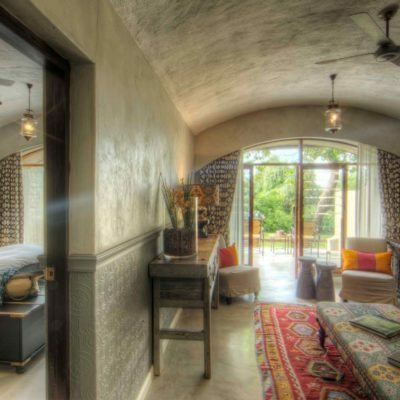 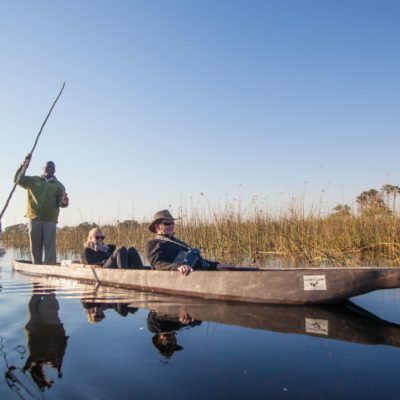 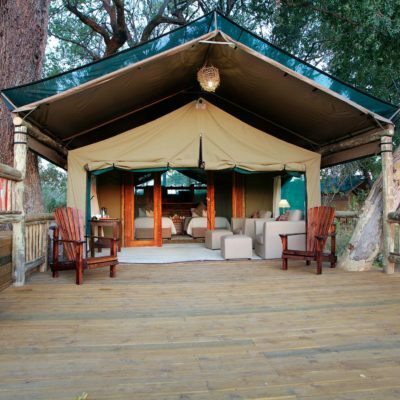 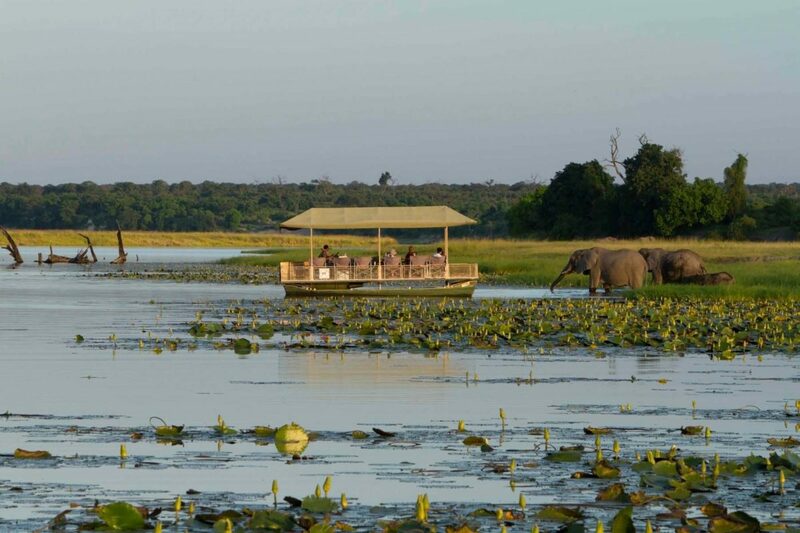 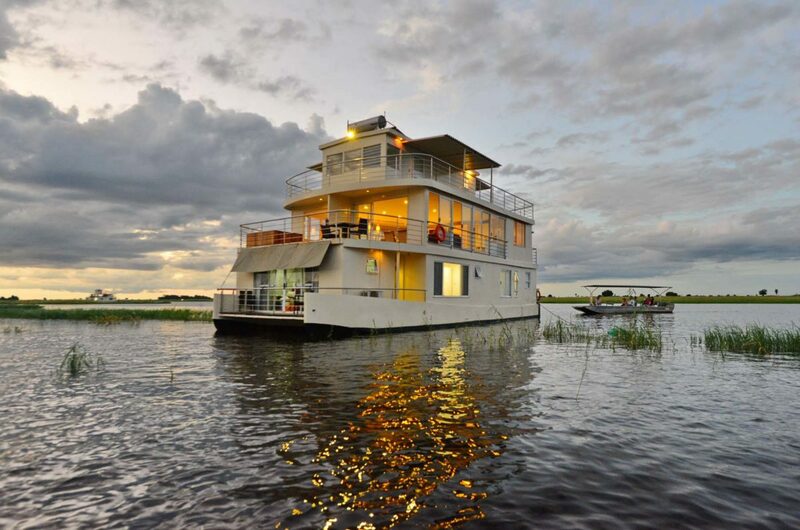 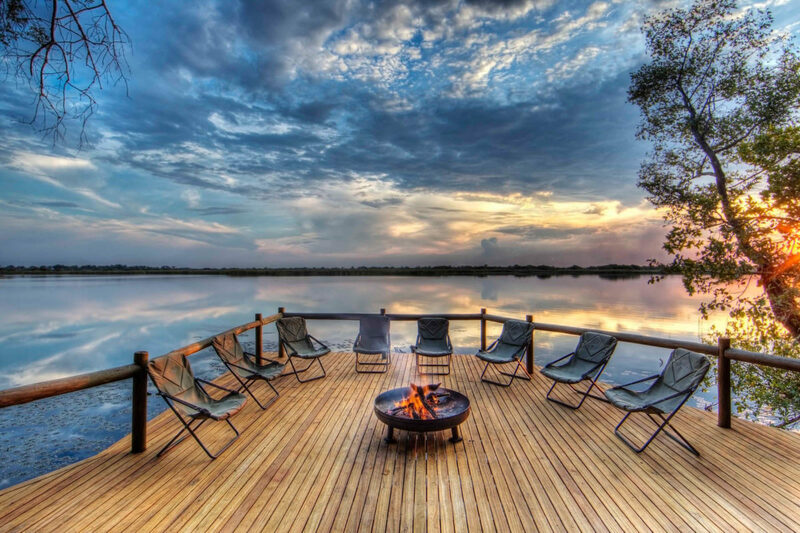 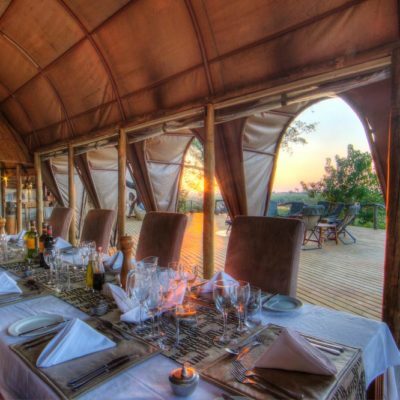 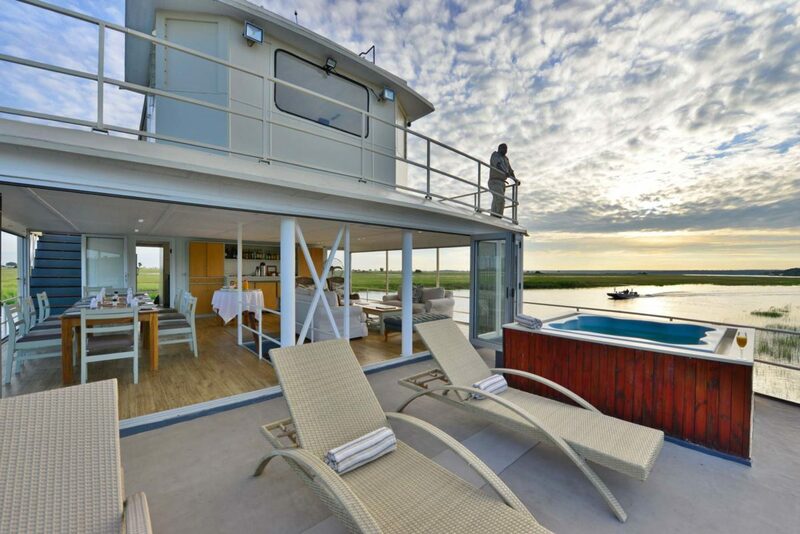 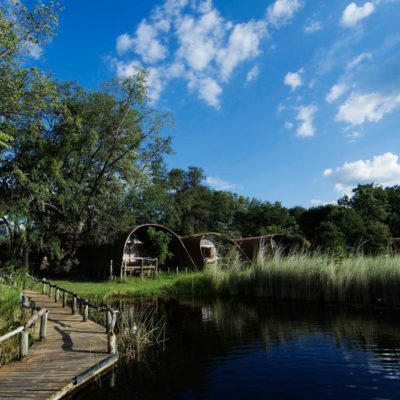 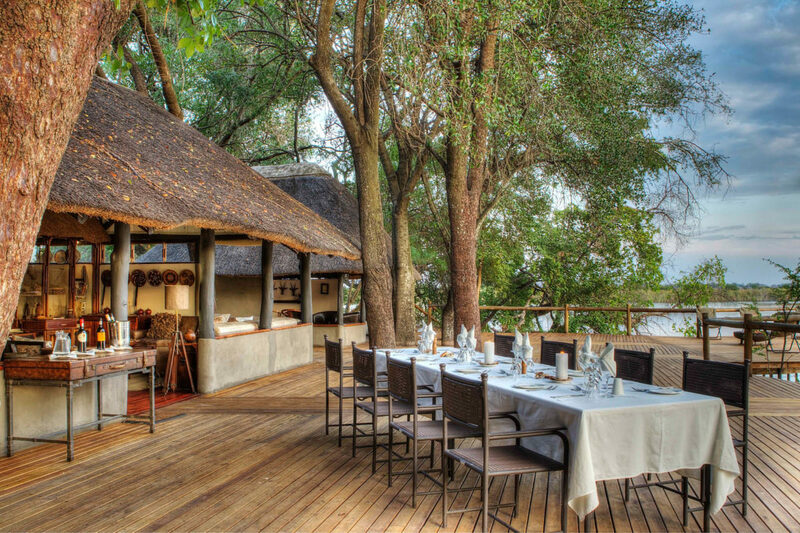 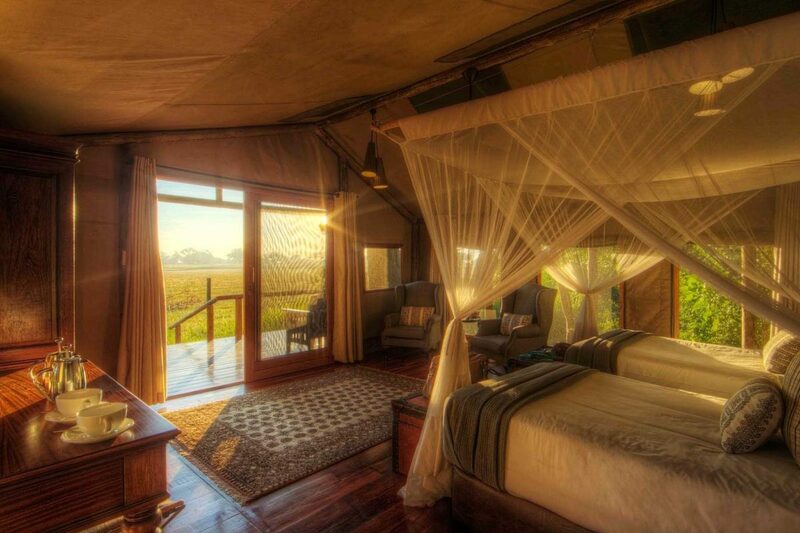 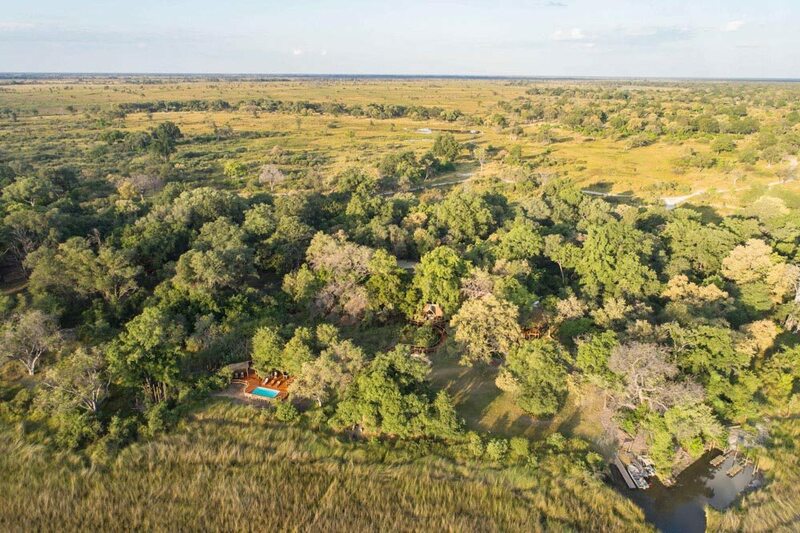 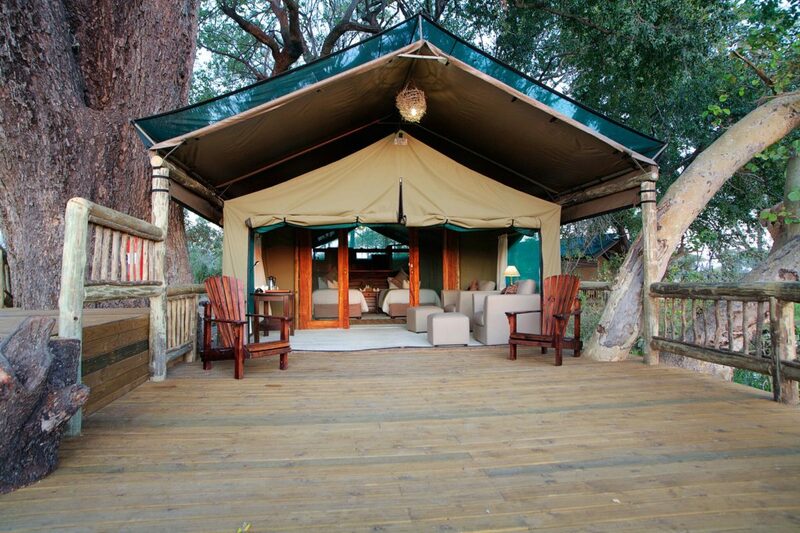 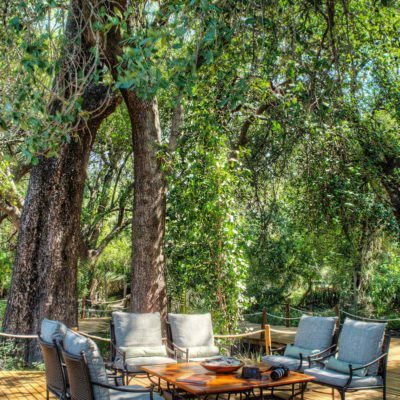 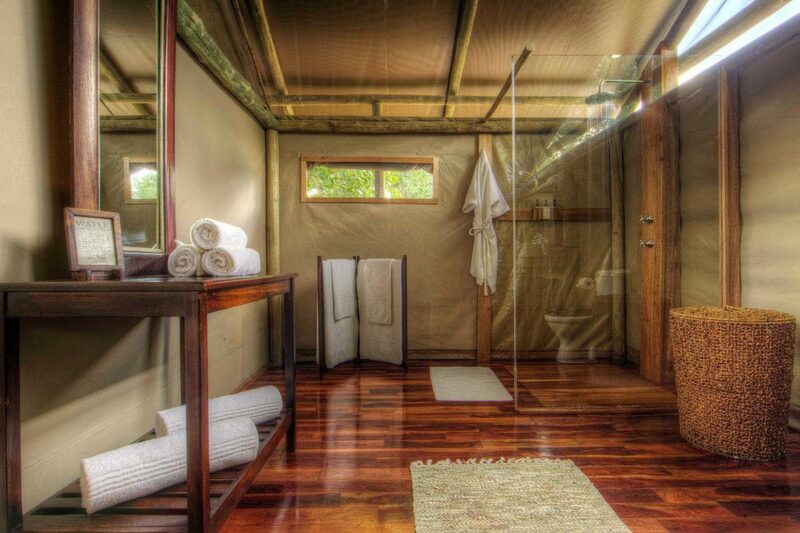 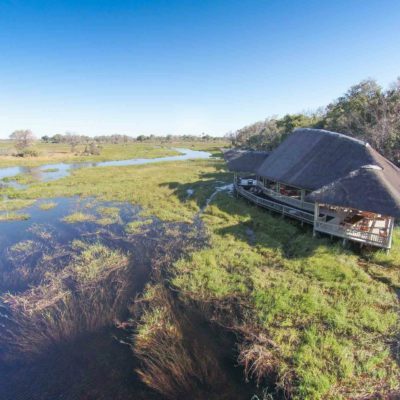 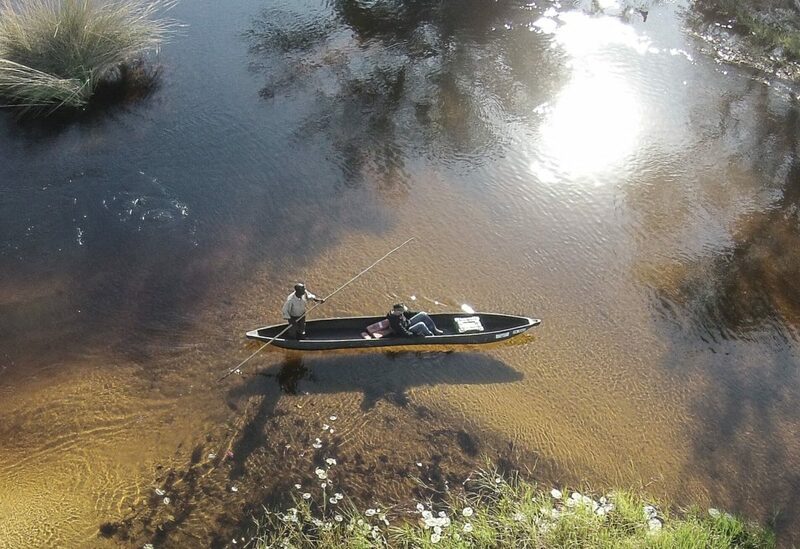 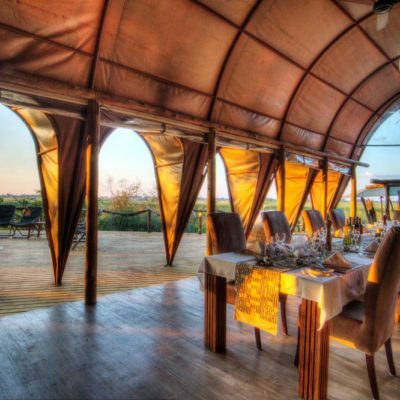 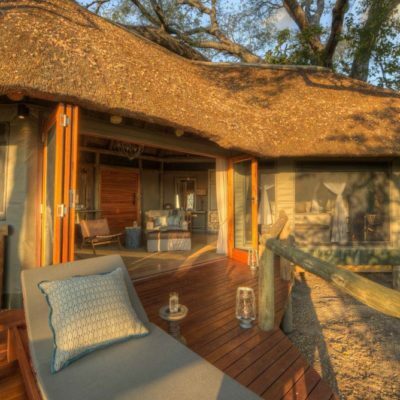 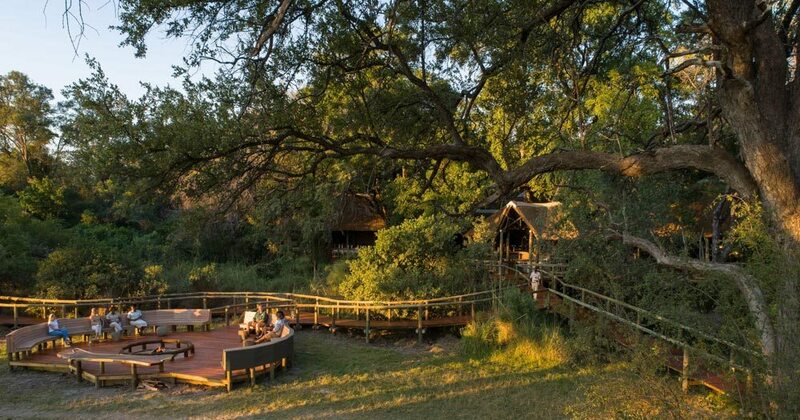 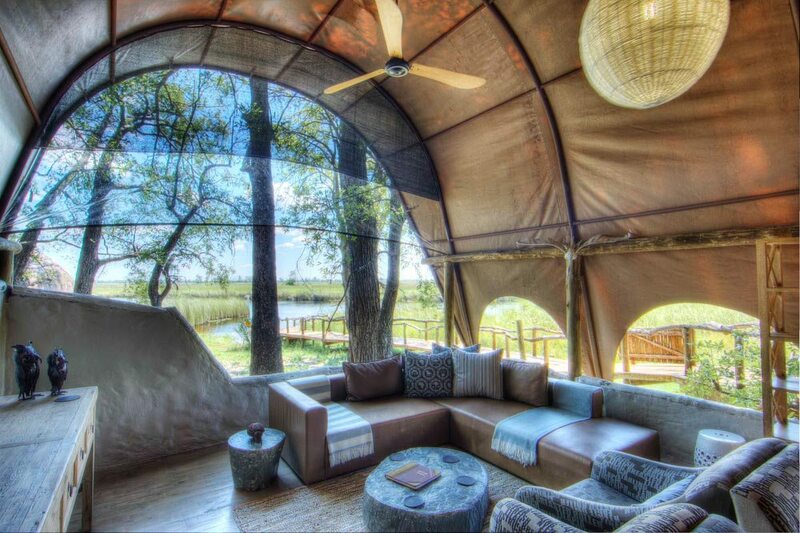 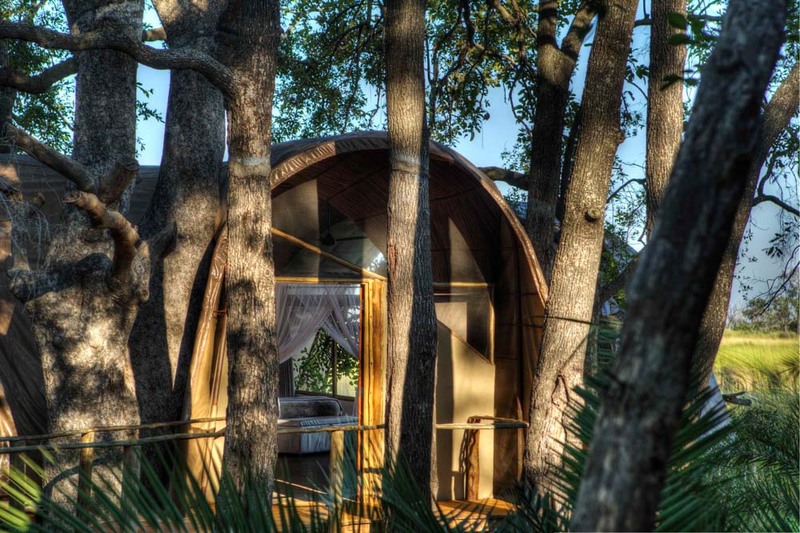 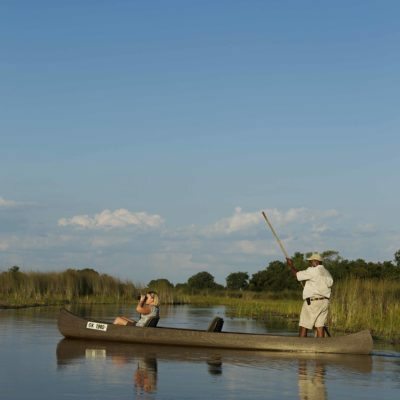 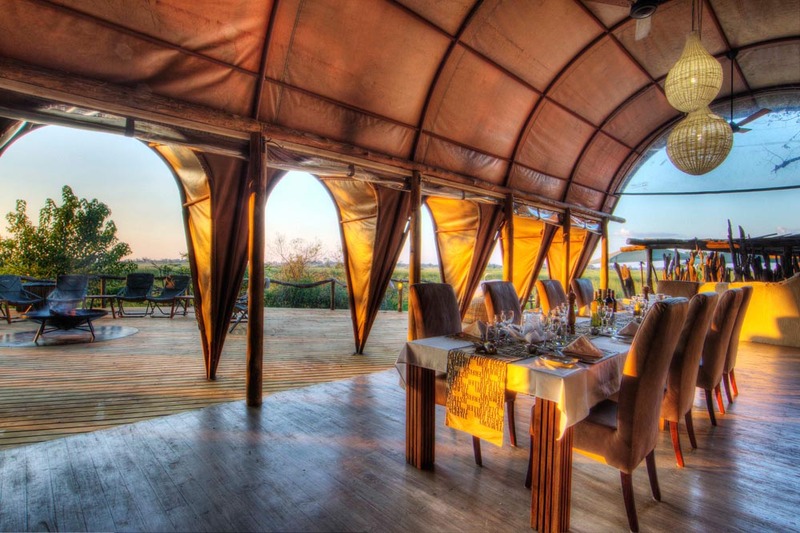 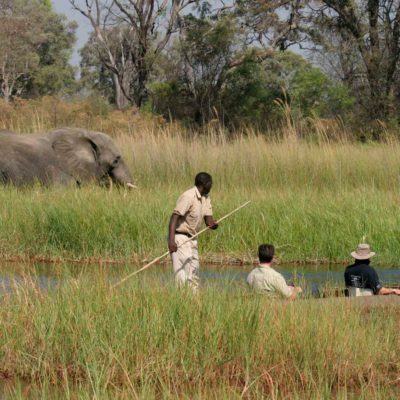 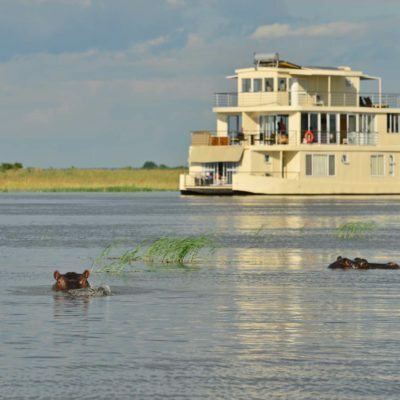 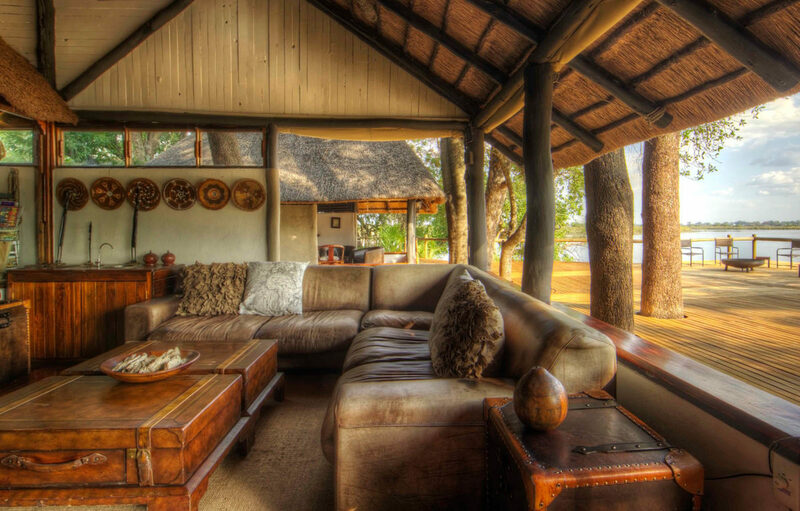 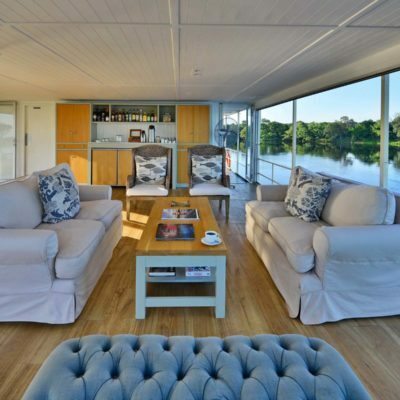 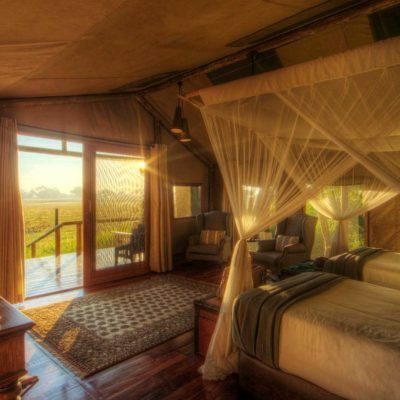 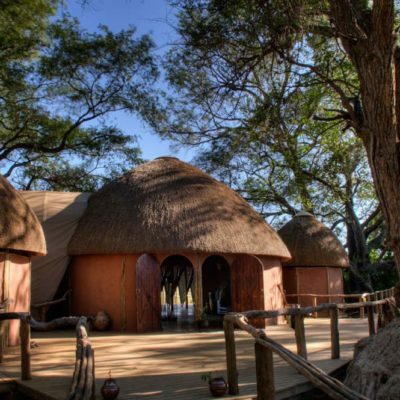 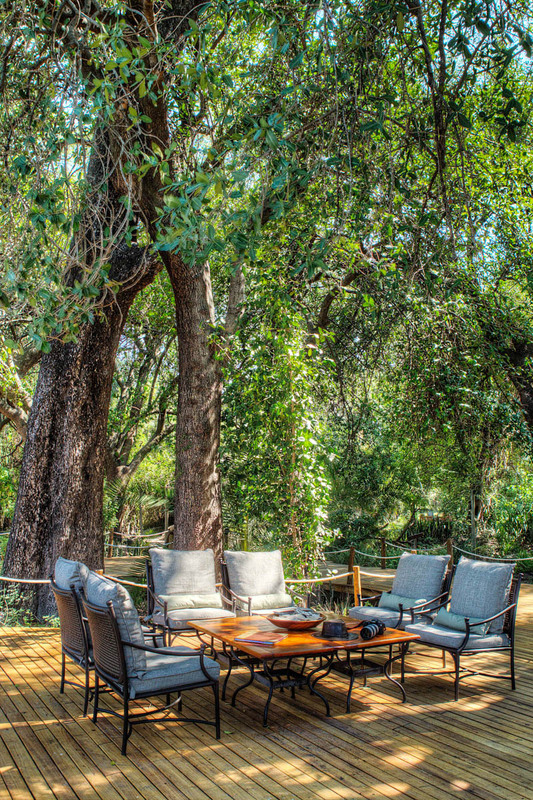 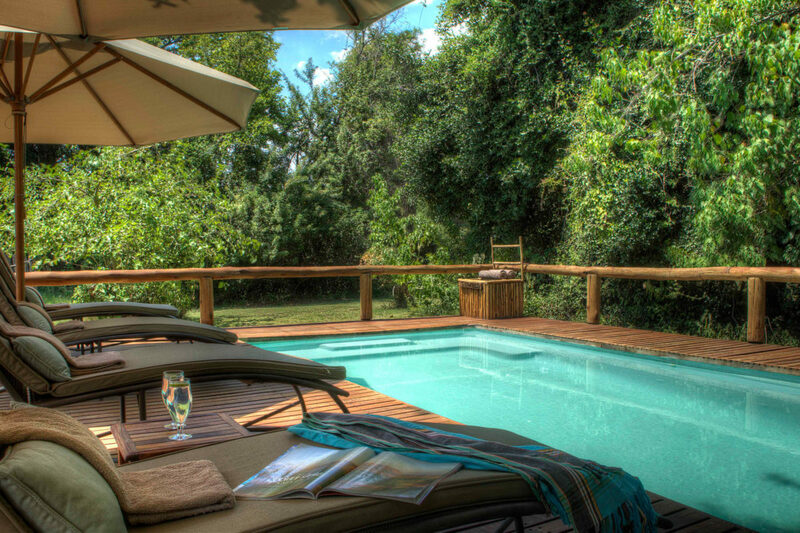 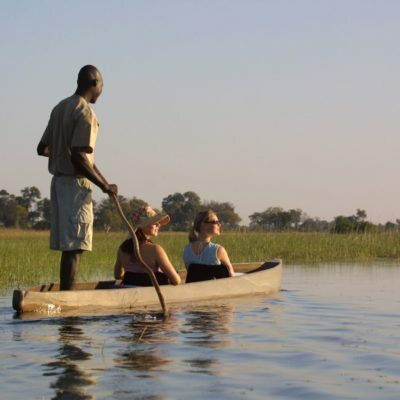 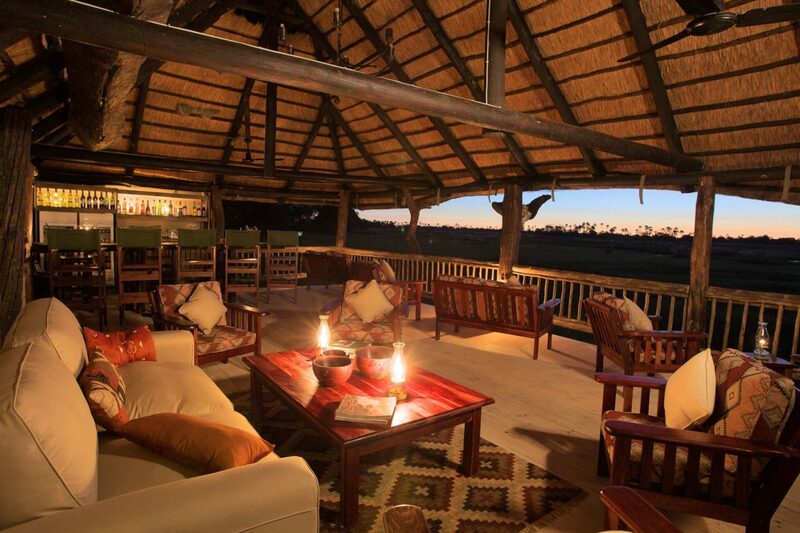 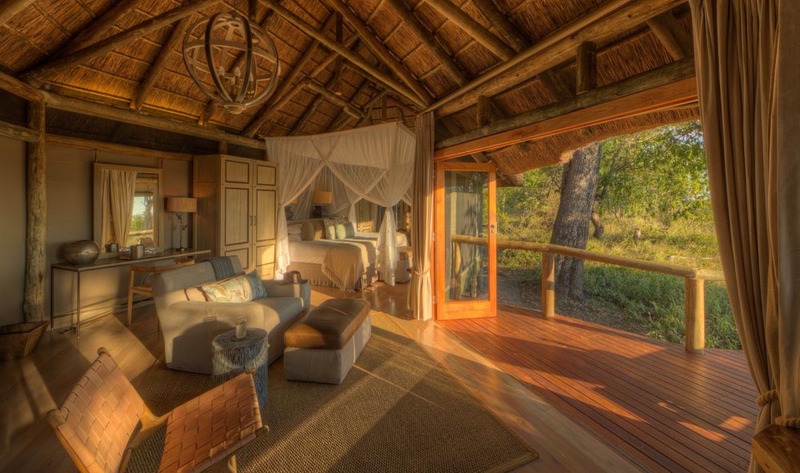 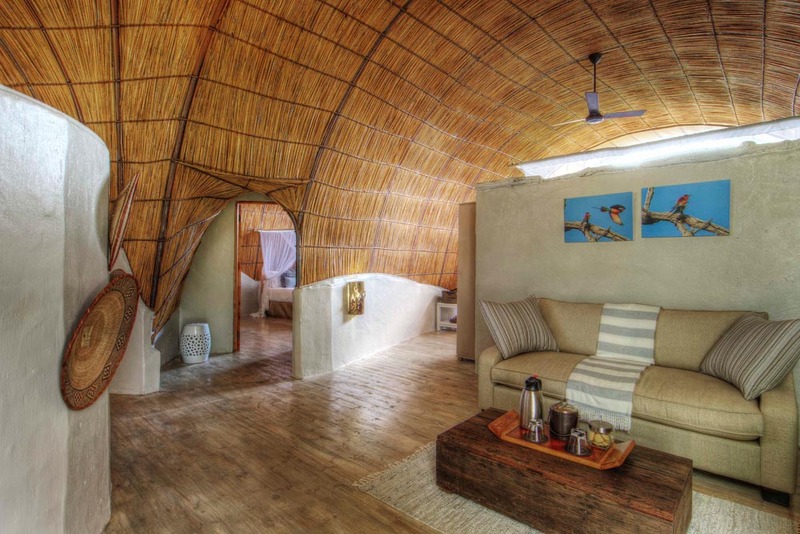 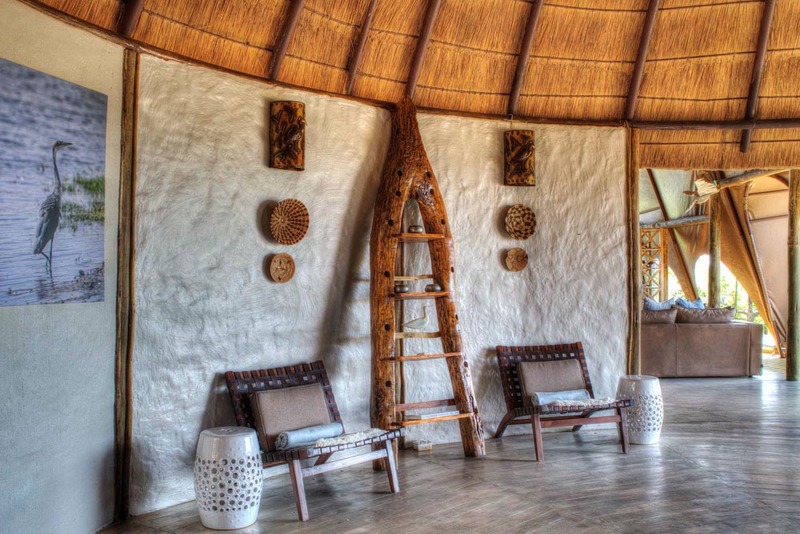 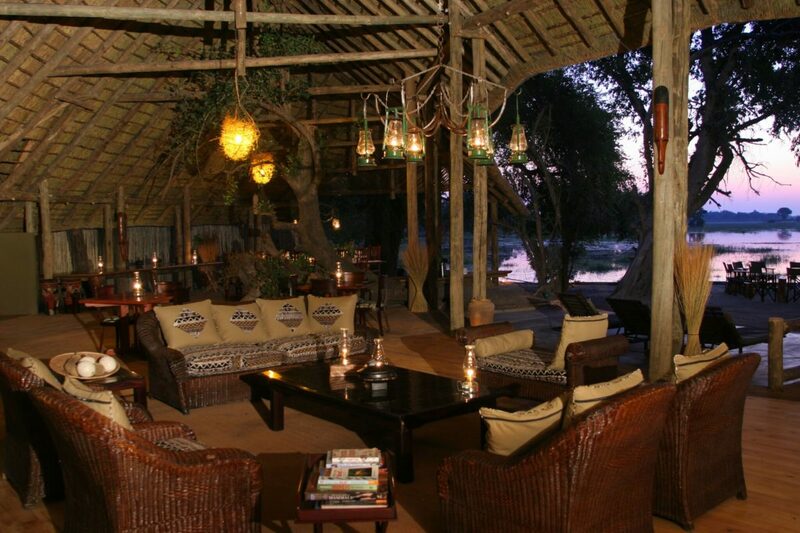 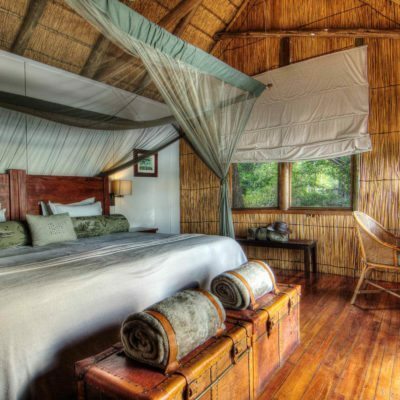 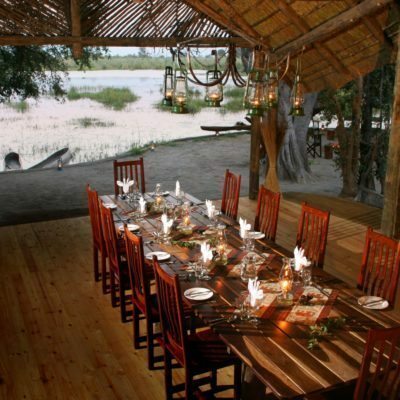 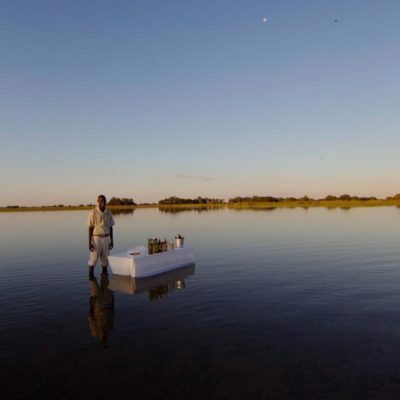 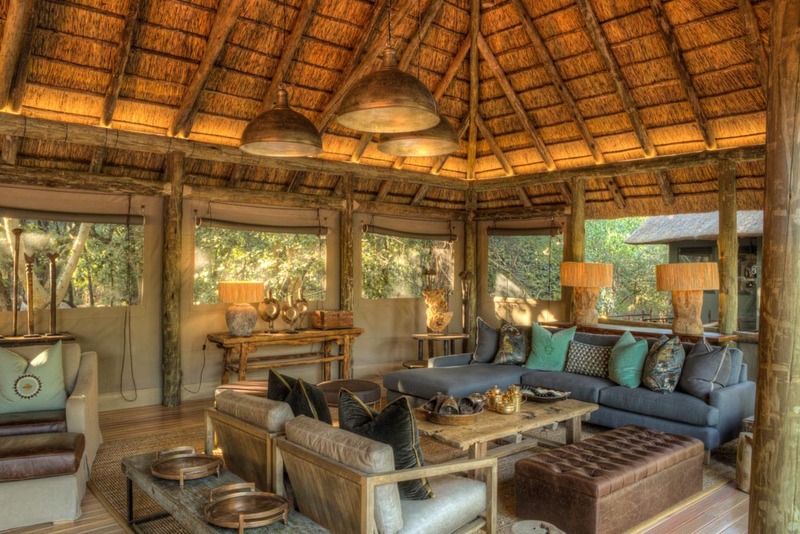 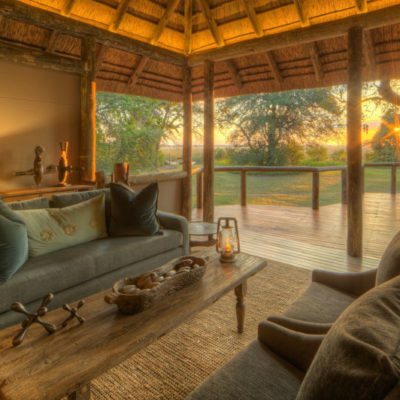 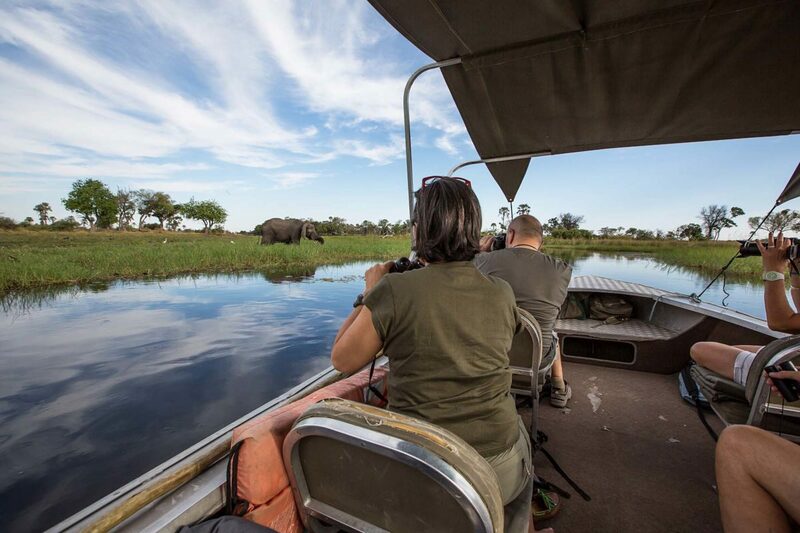 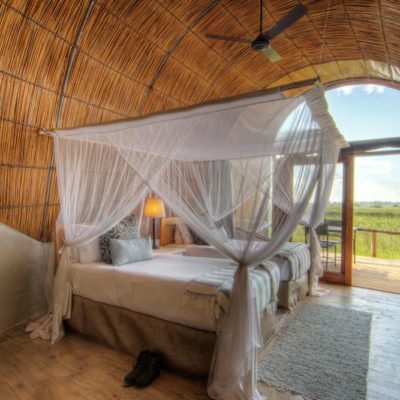 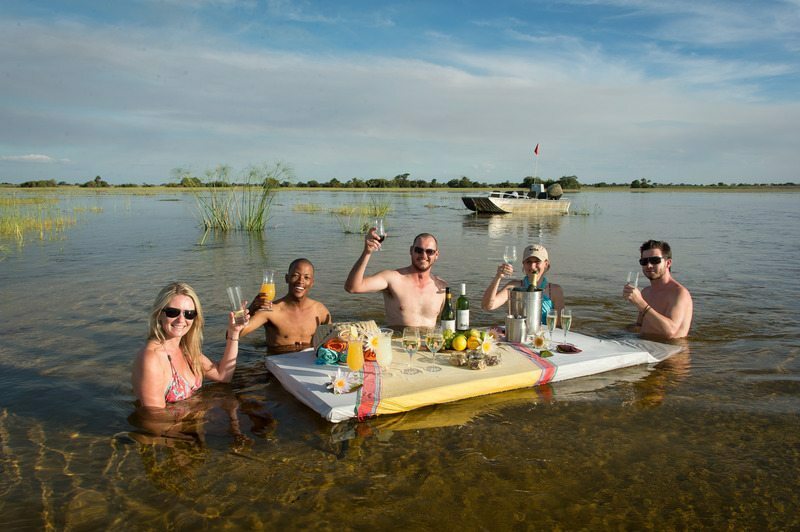 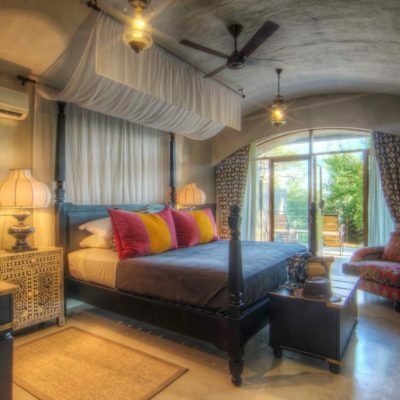 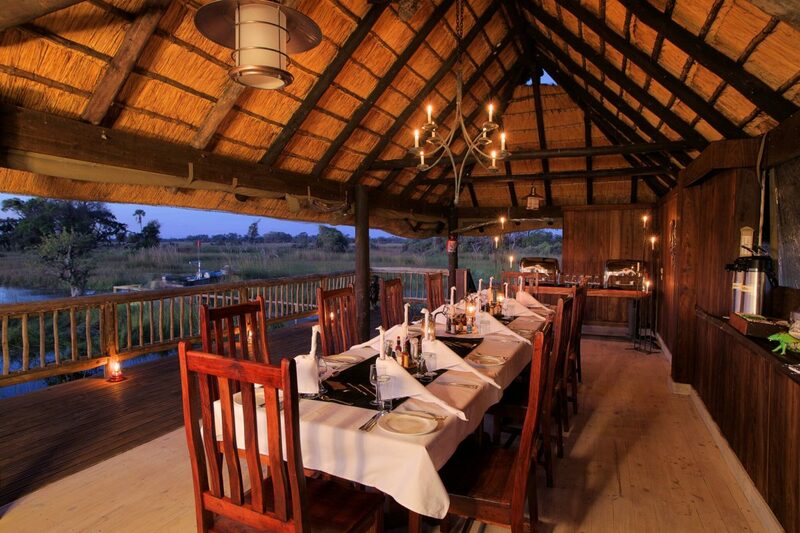 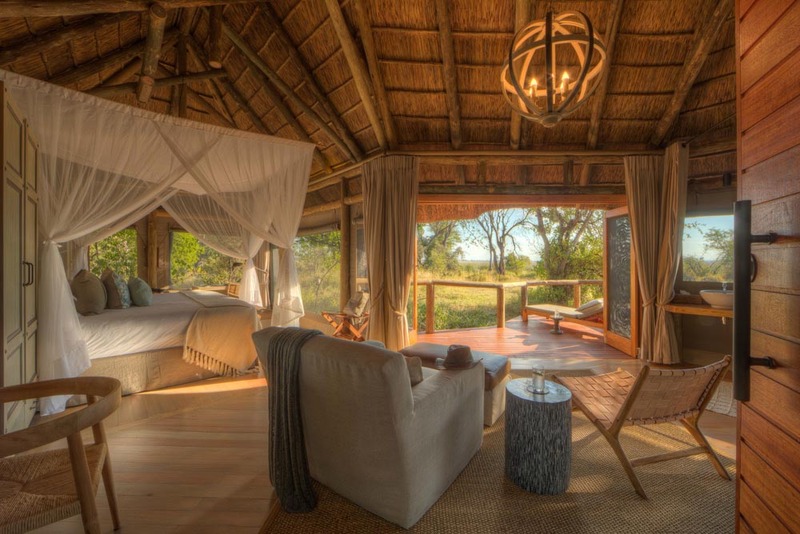 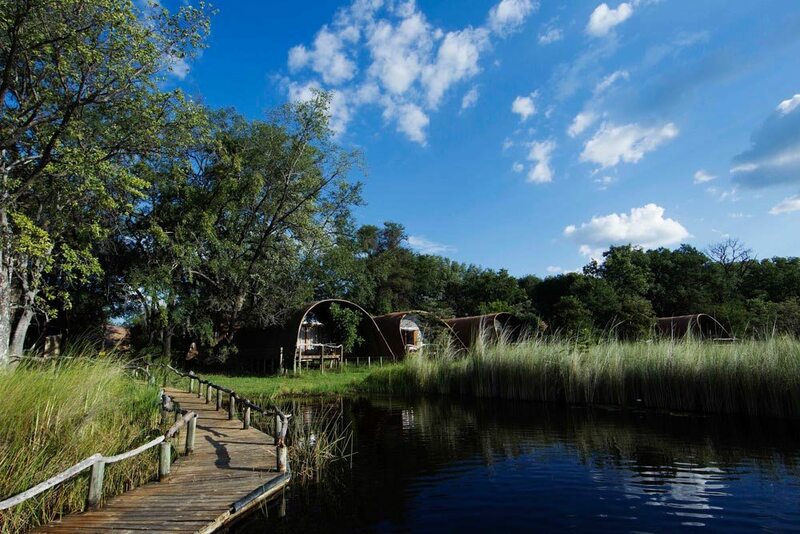 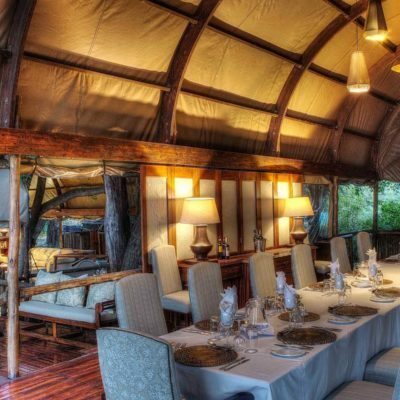 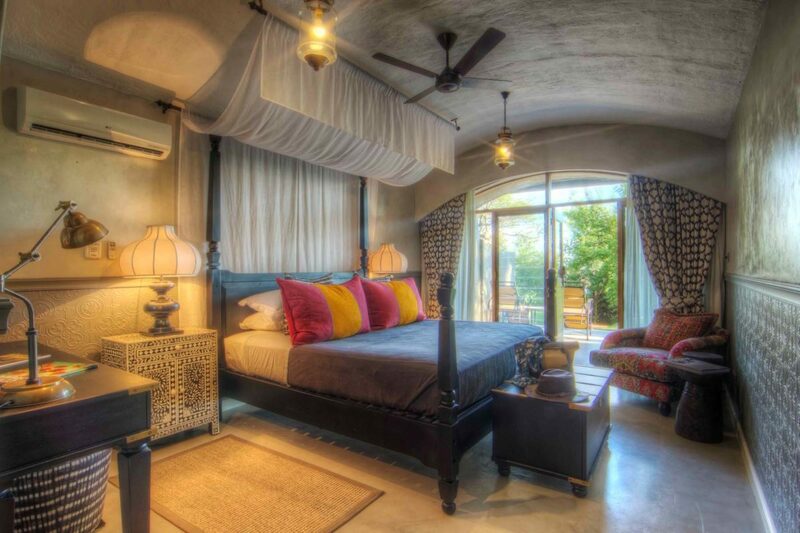 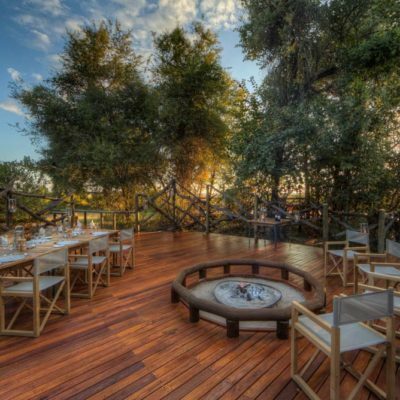 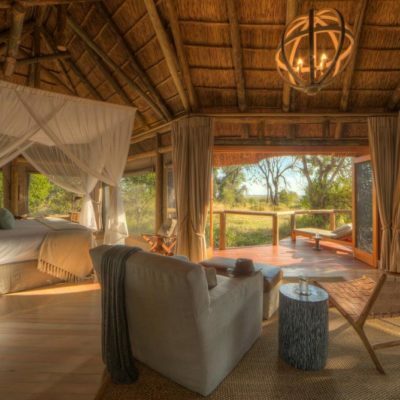 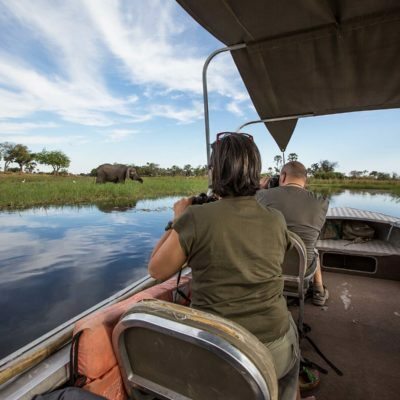 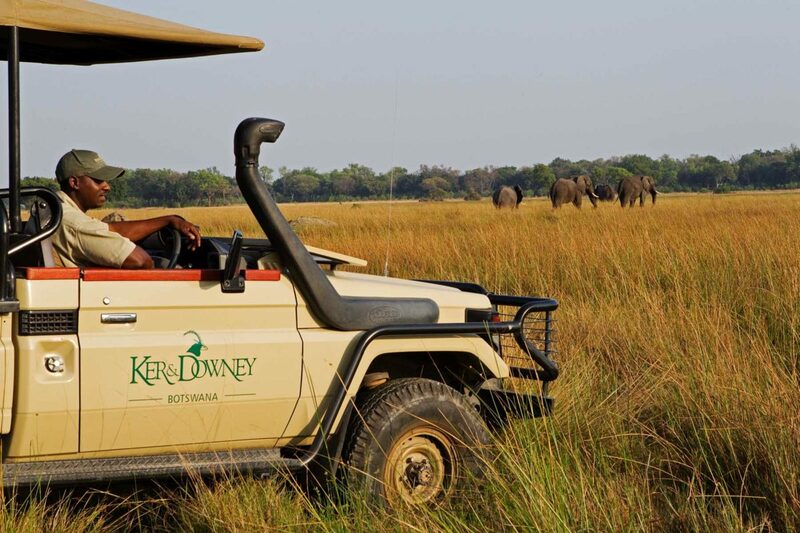 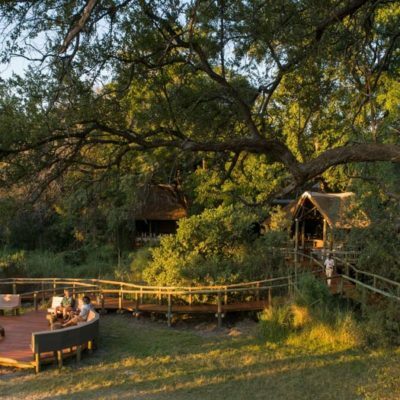 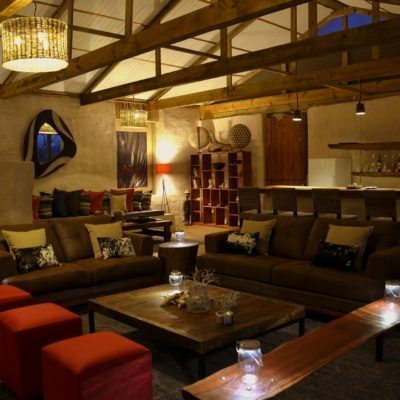 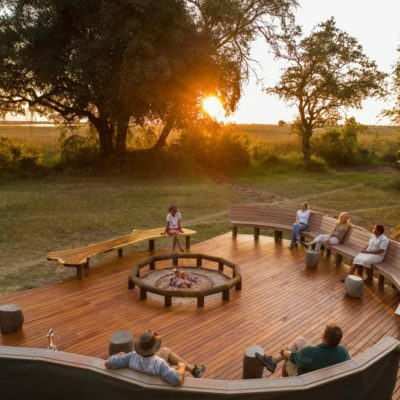 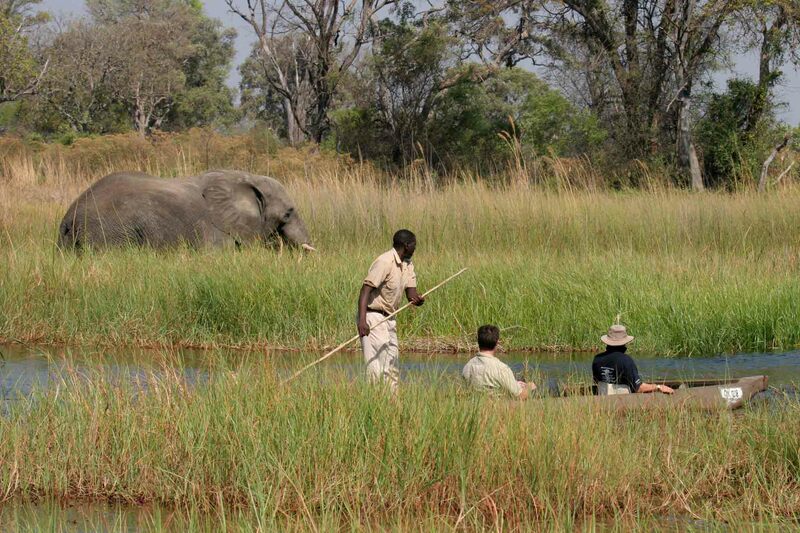 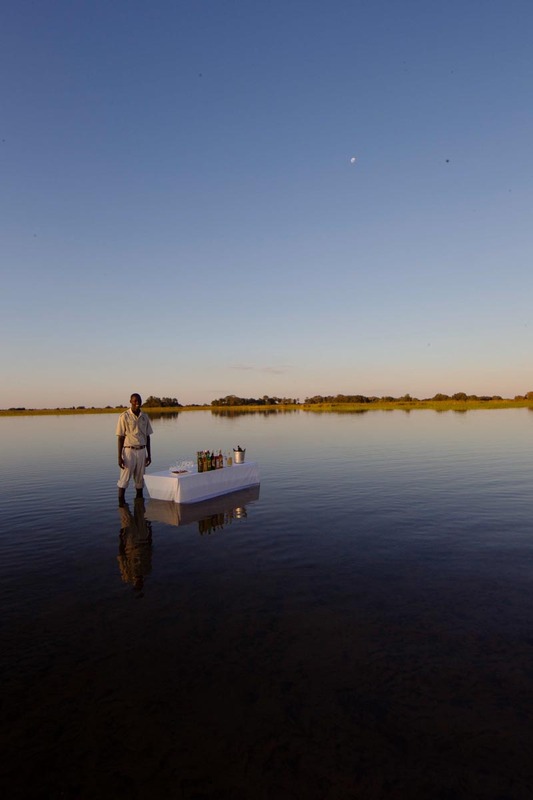 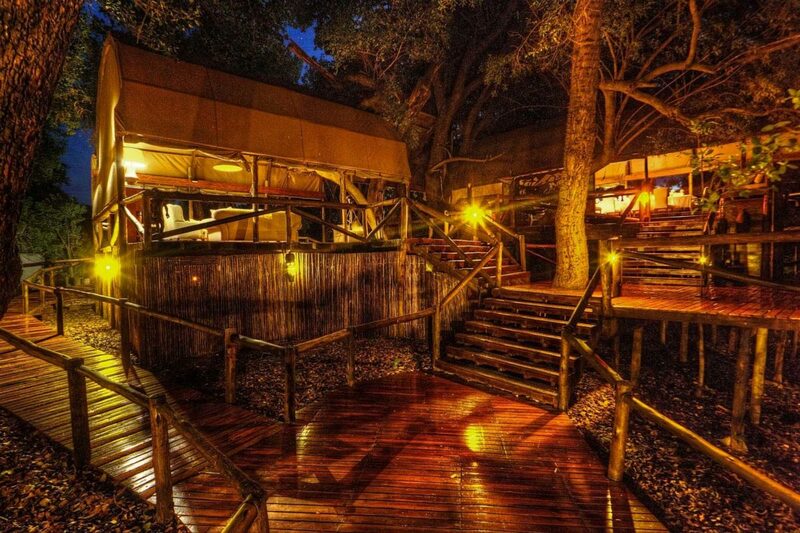 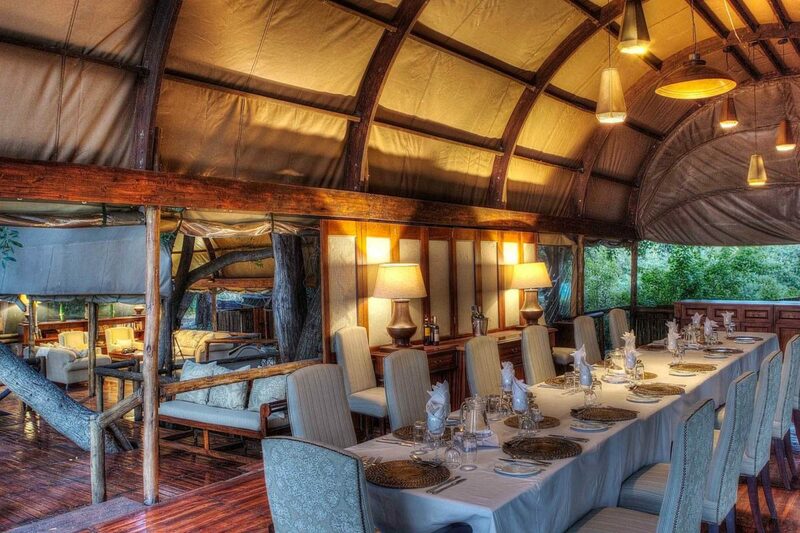 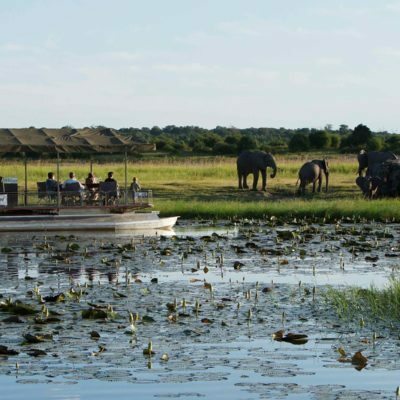 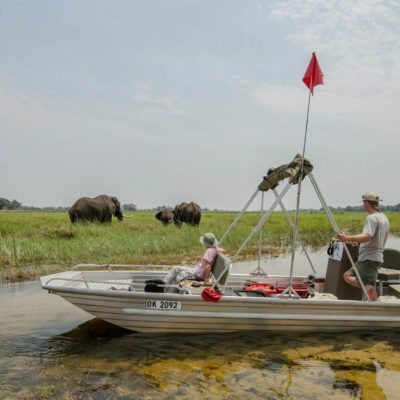 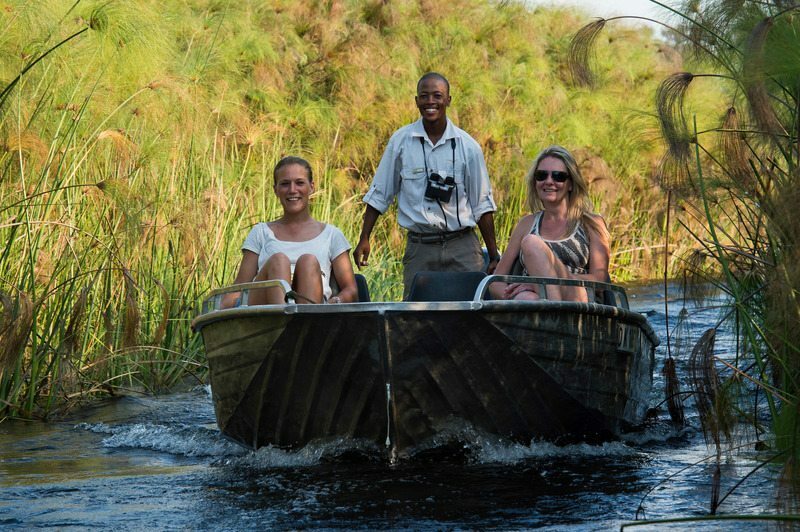 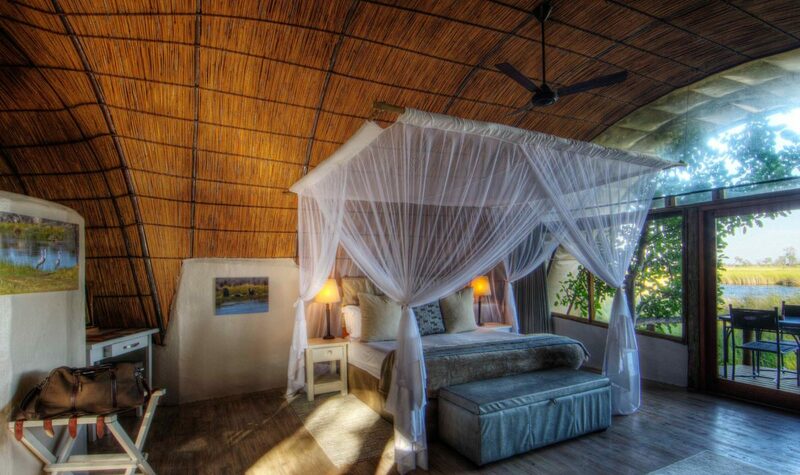 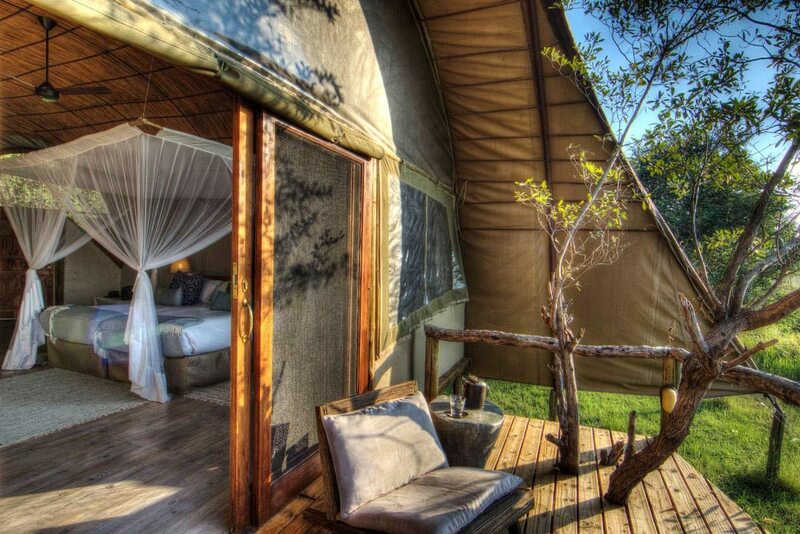 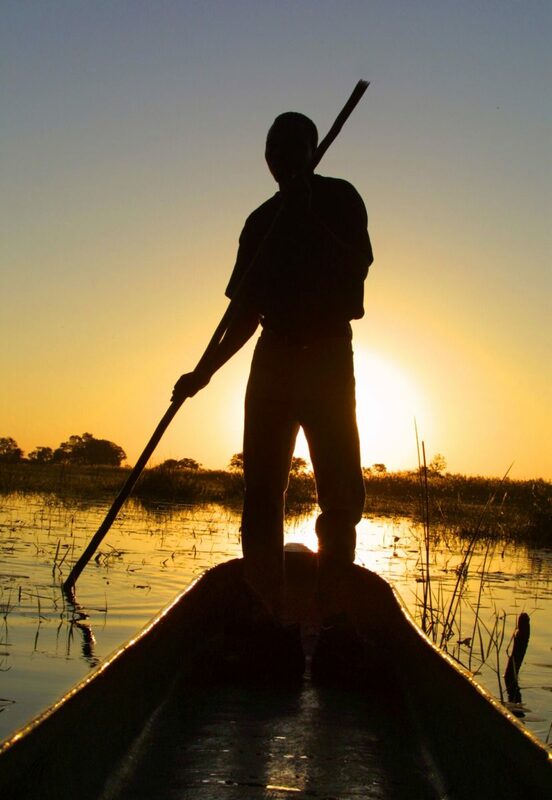 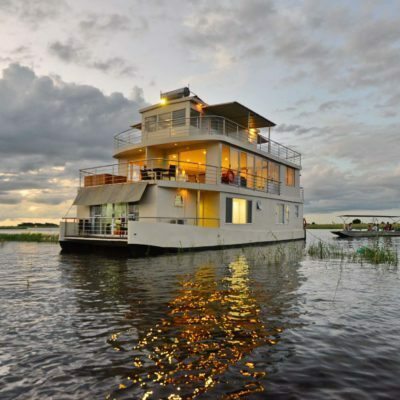 This concept is easily the best way to experience the Okavango by boat. 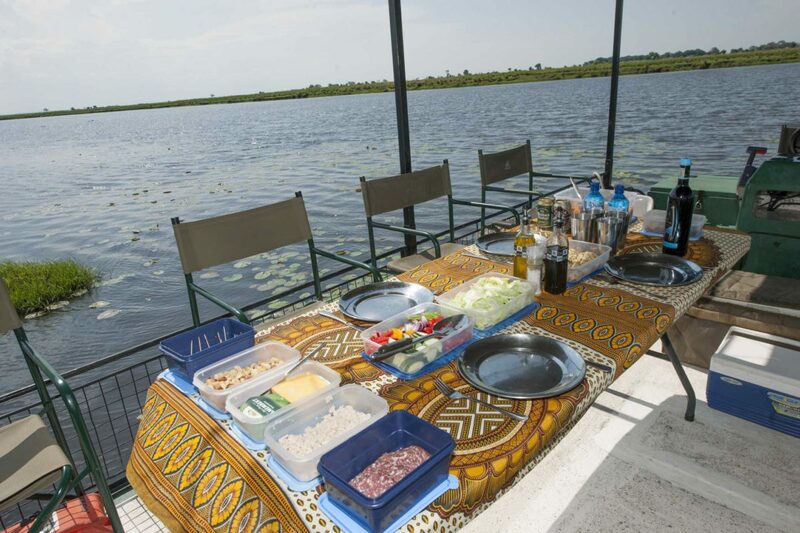 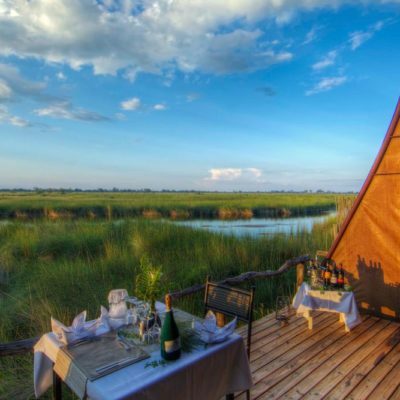 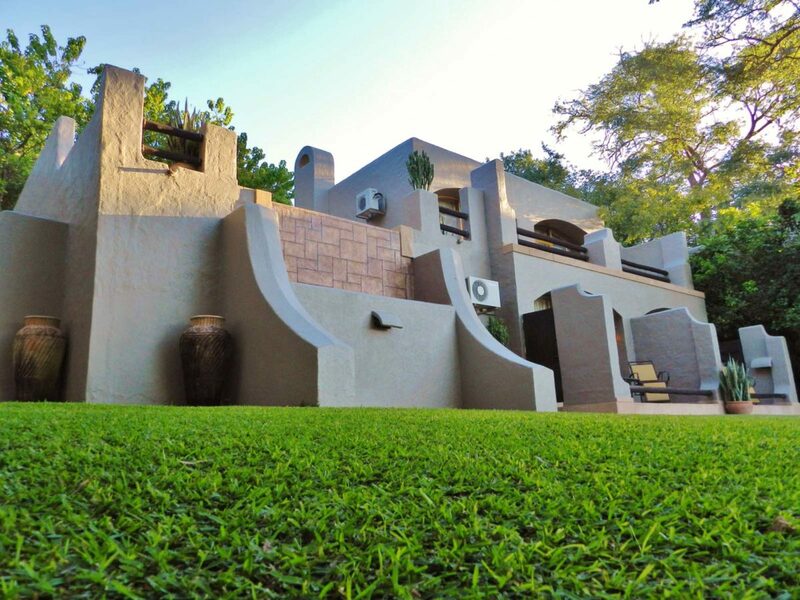 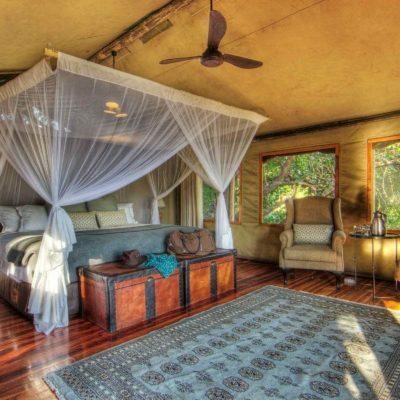 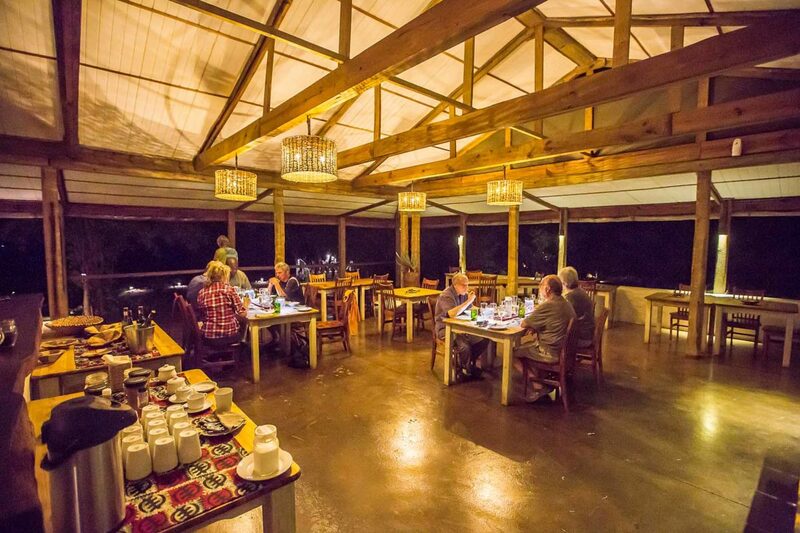 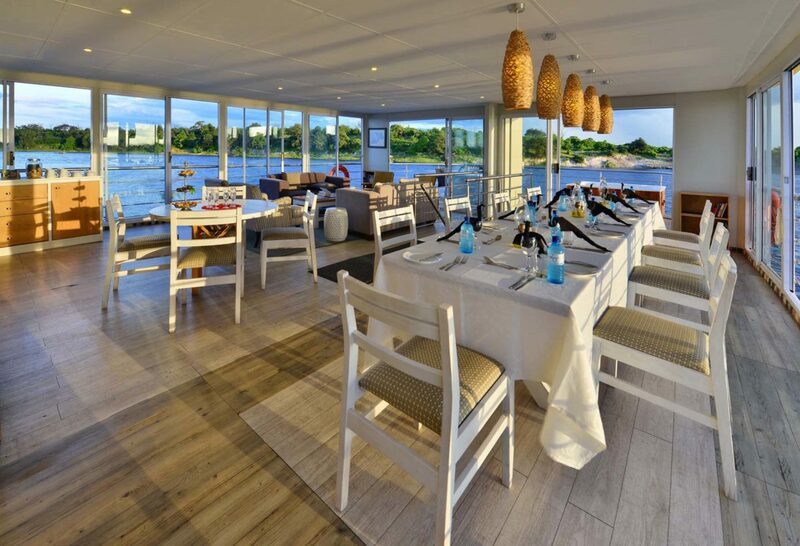 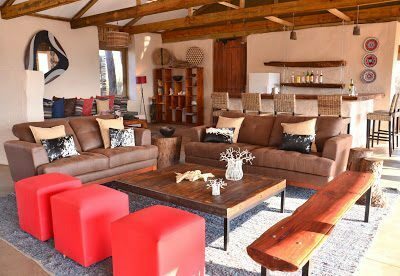 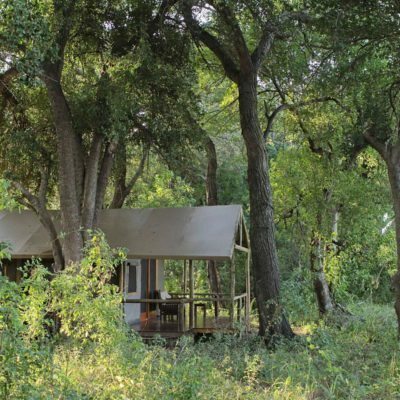 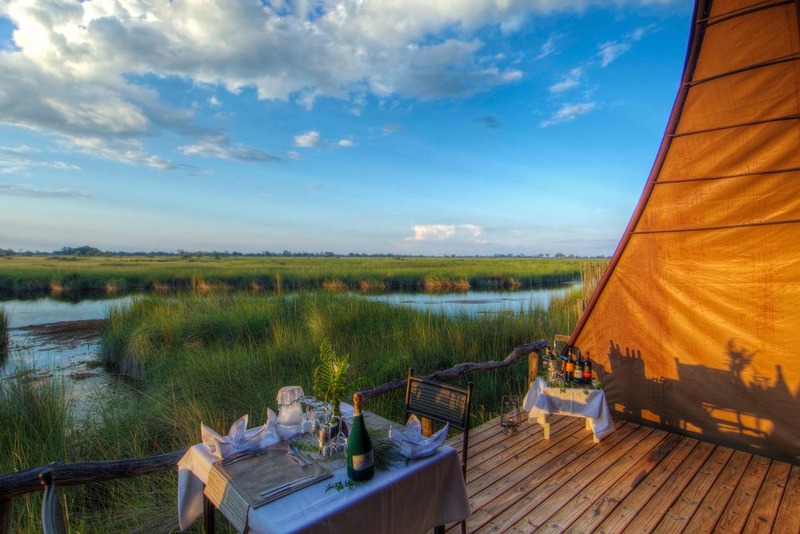 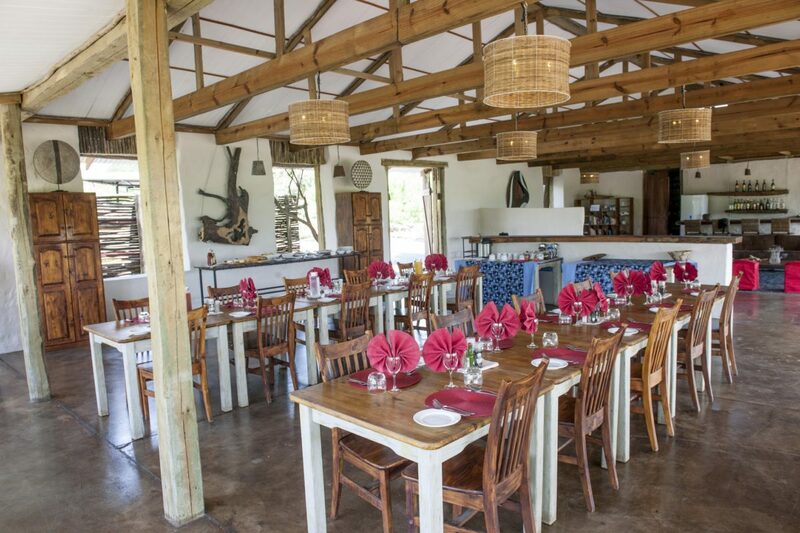 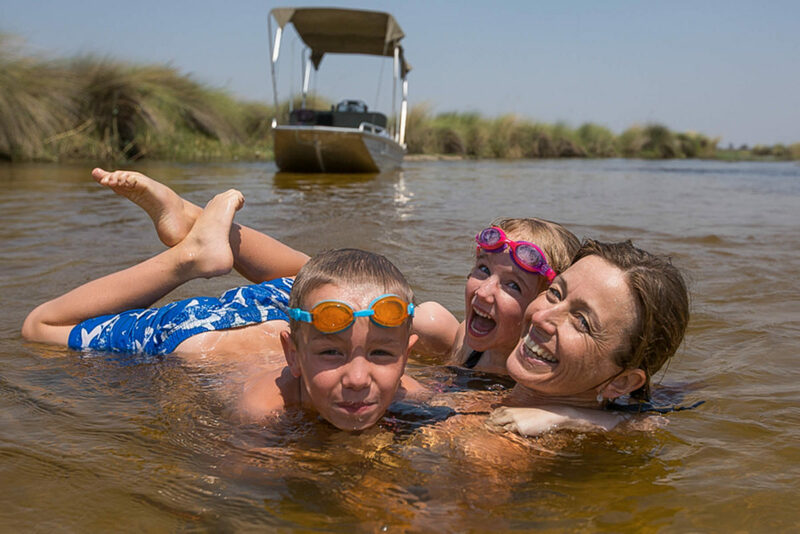 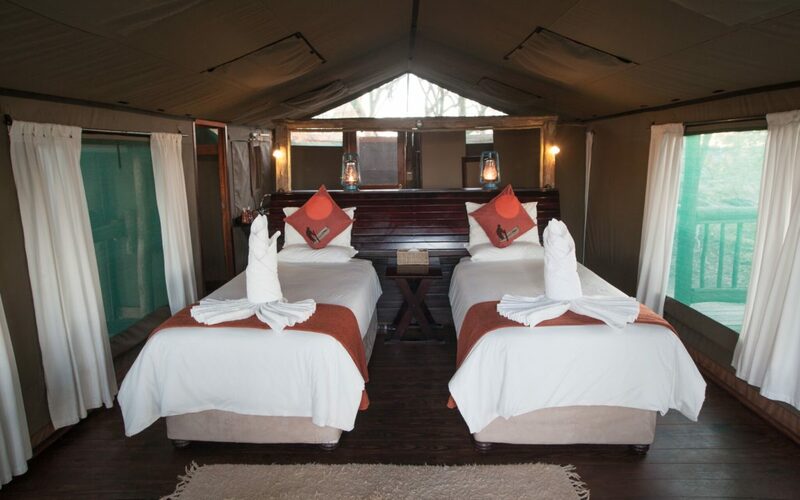 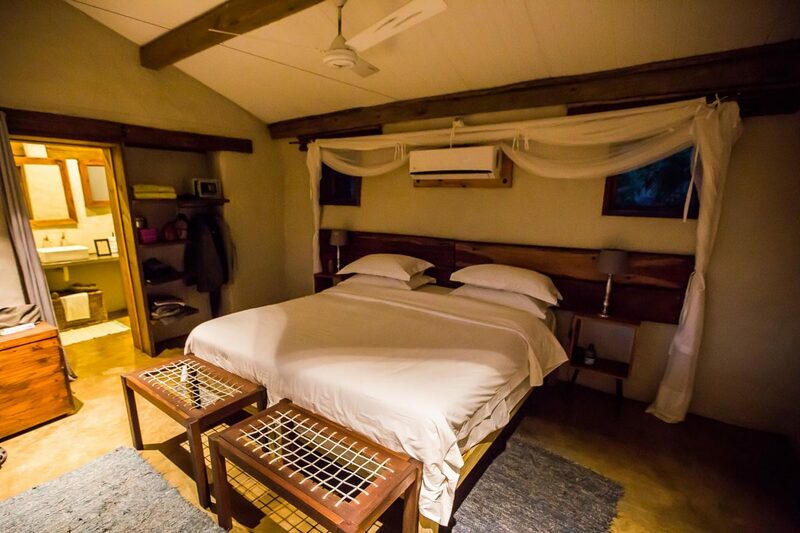 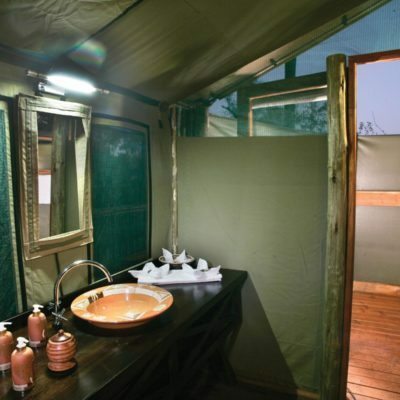 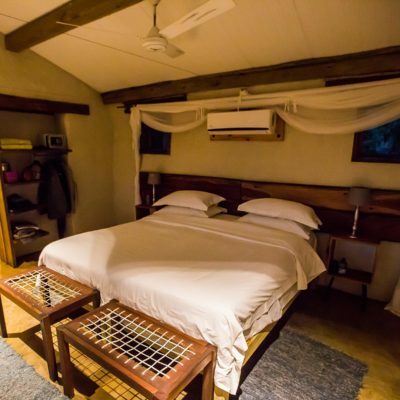 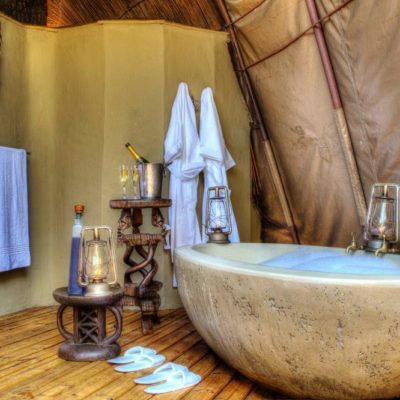 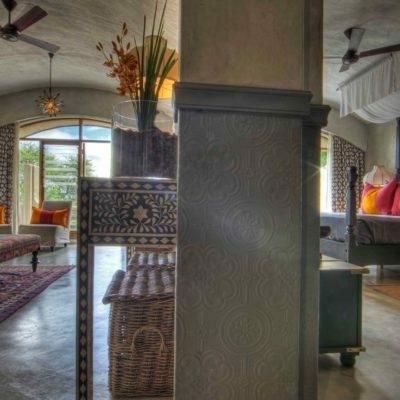 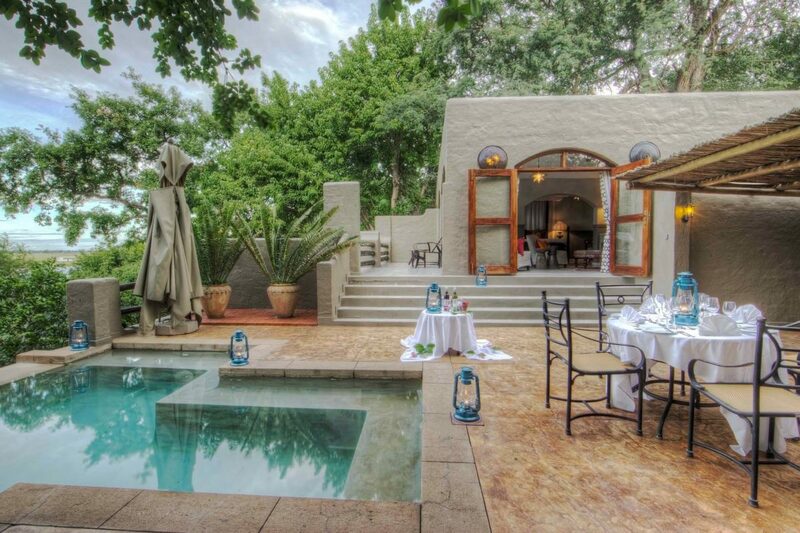 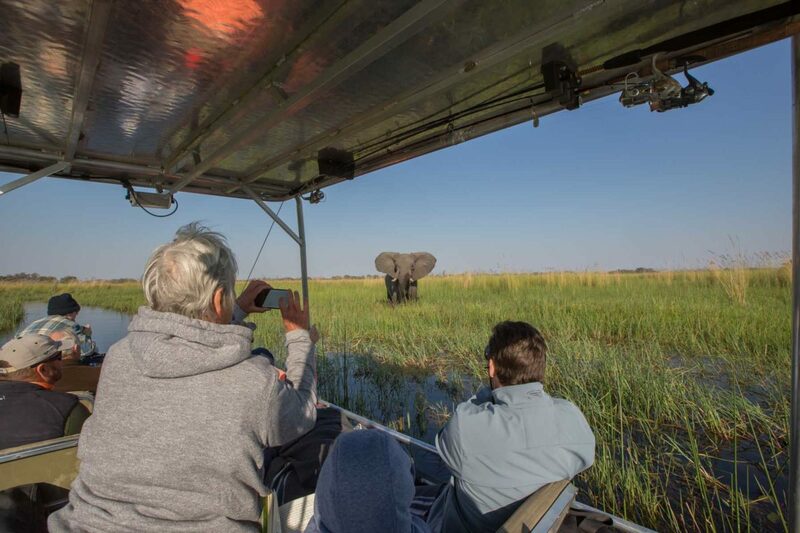 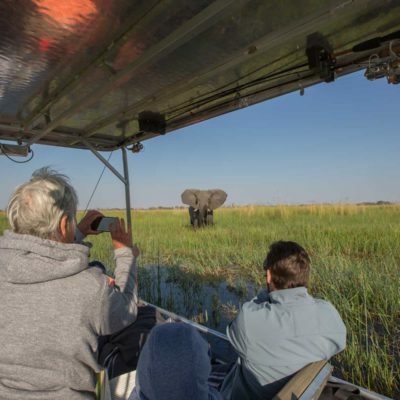 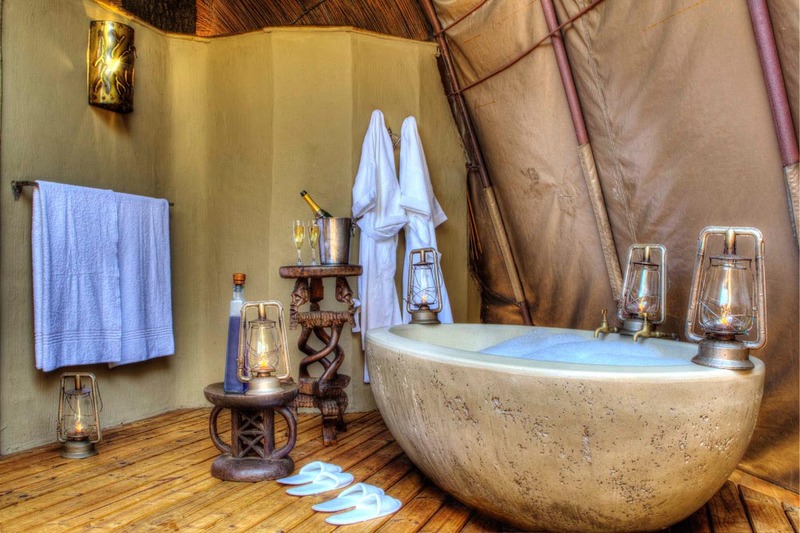 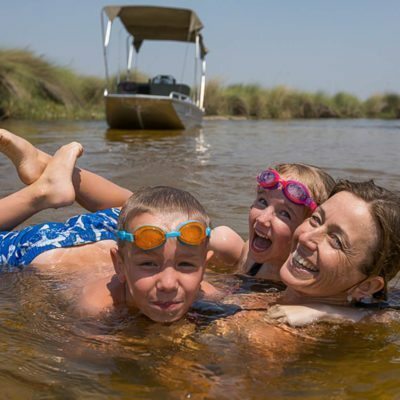 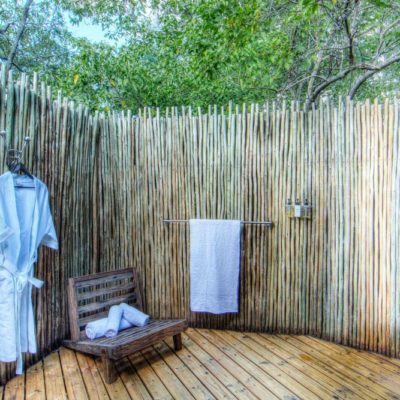 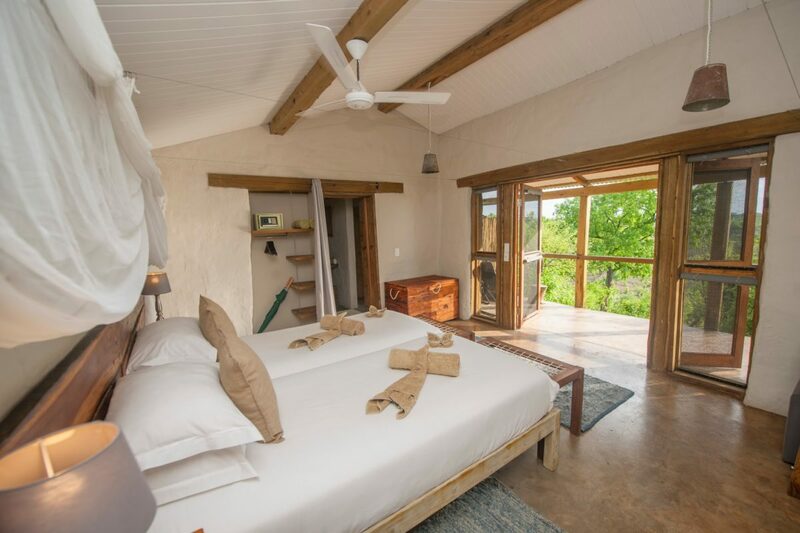 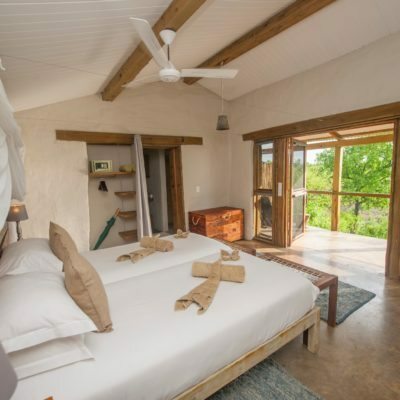 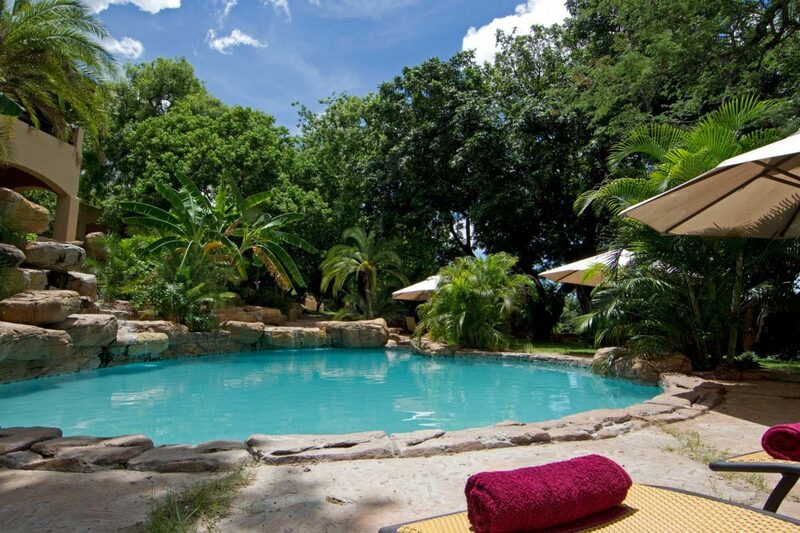 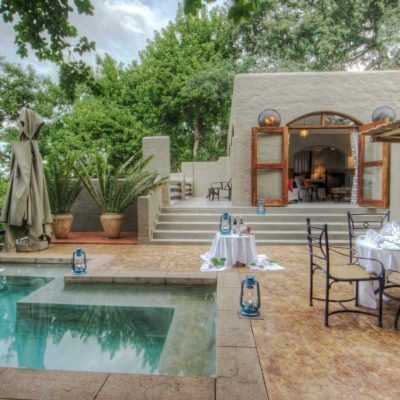 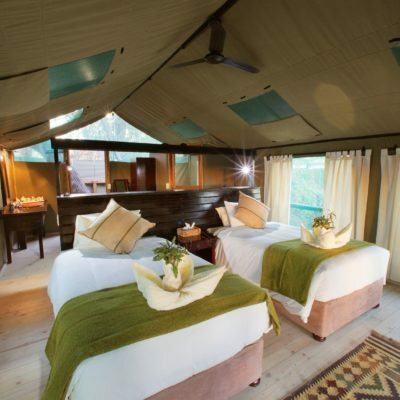 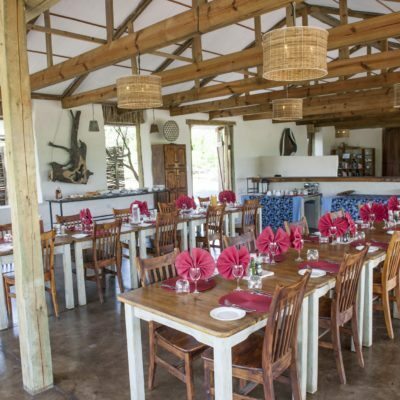 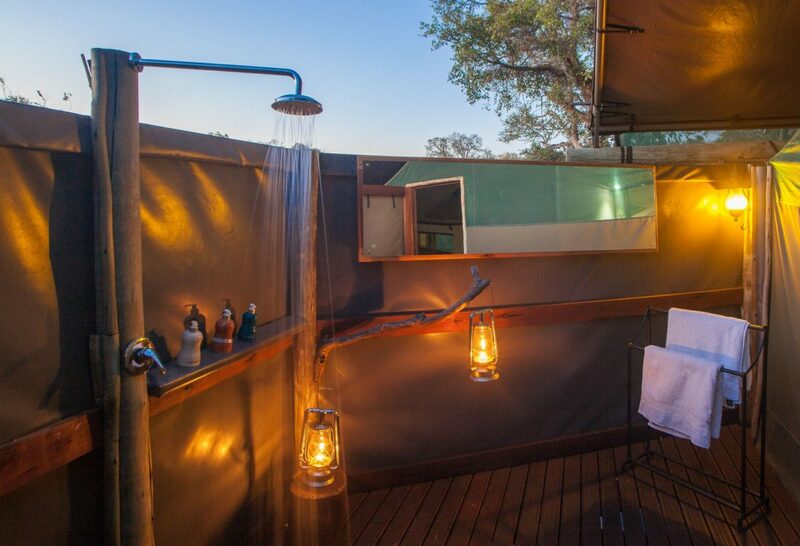 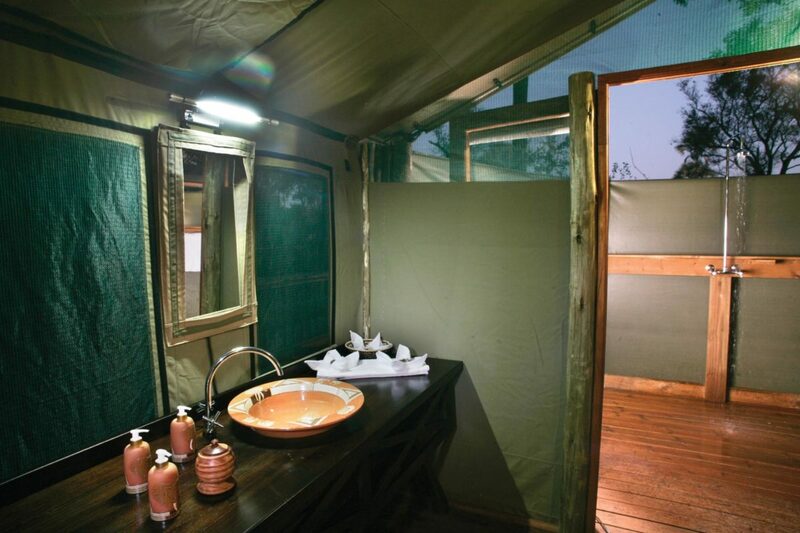 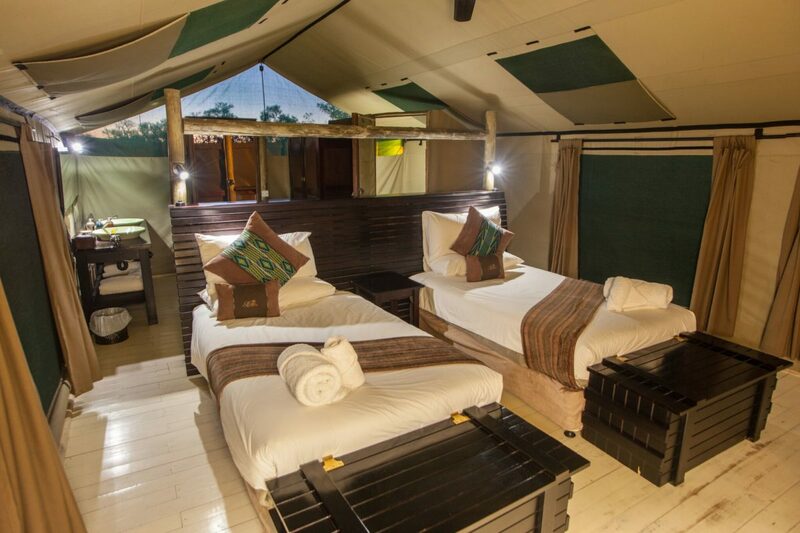 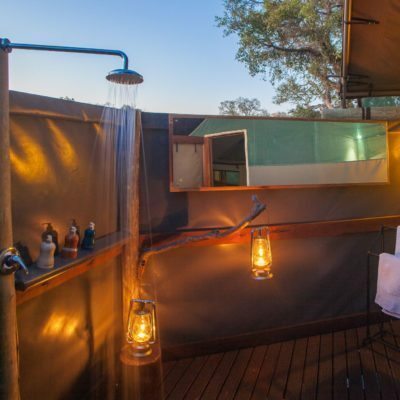 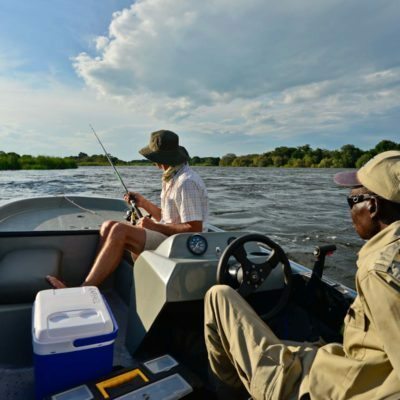 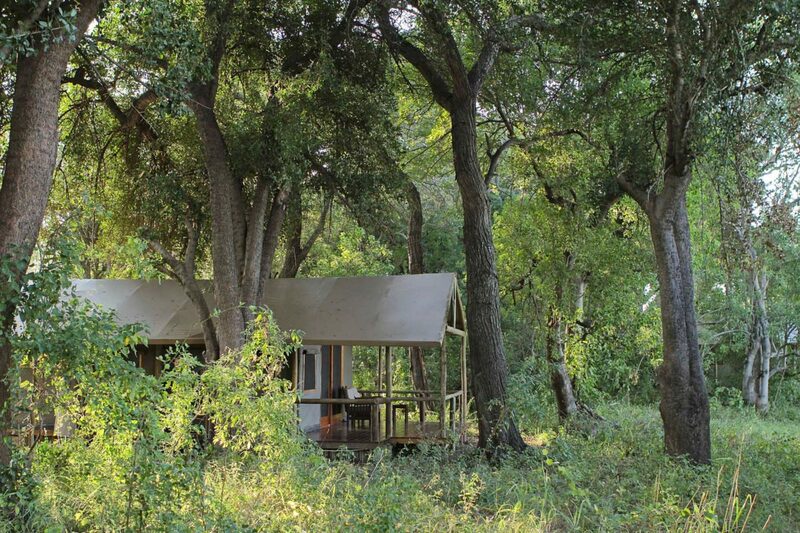 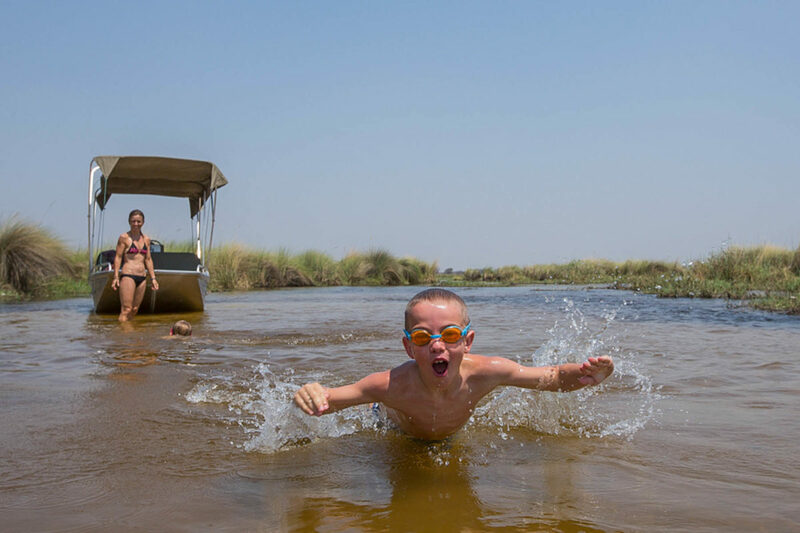 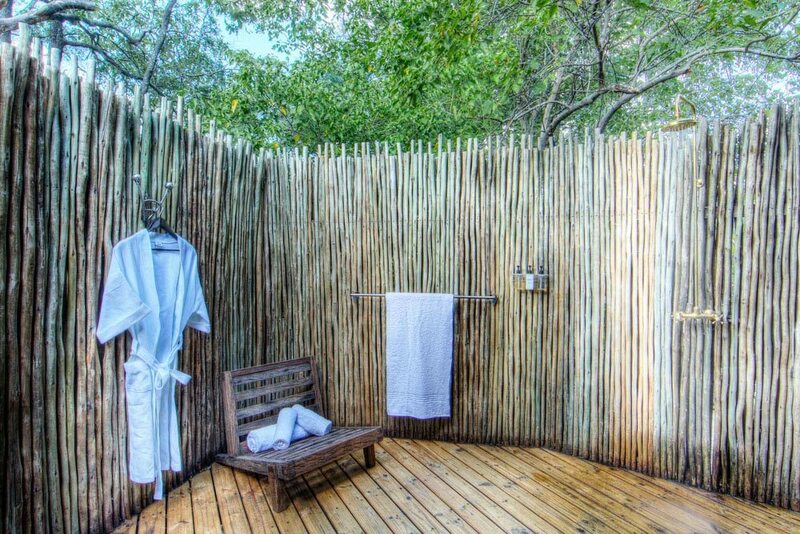 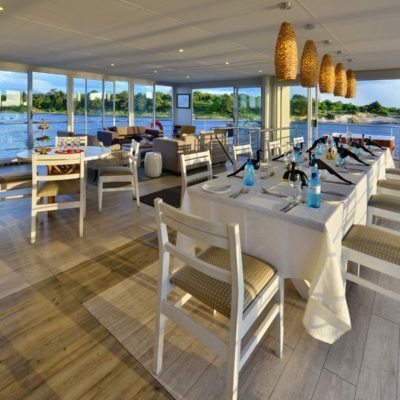 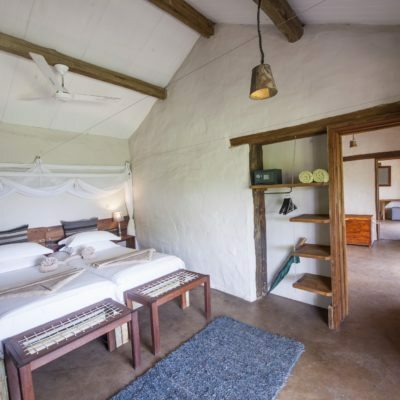 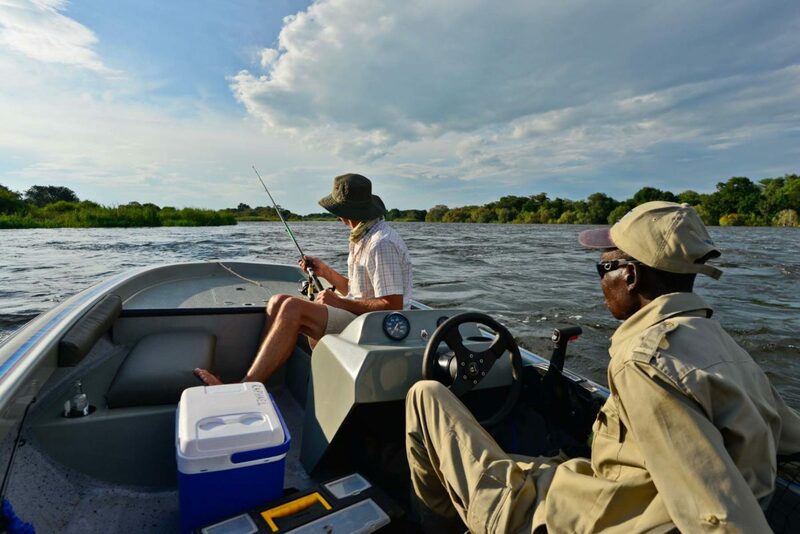 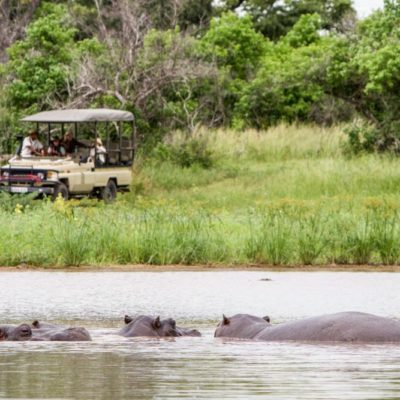 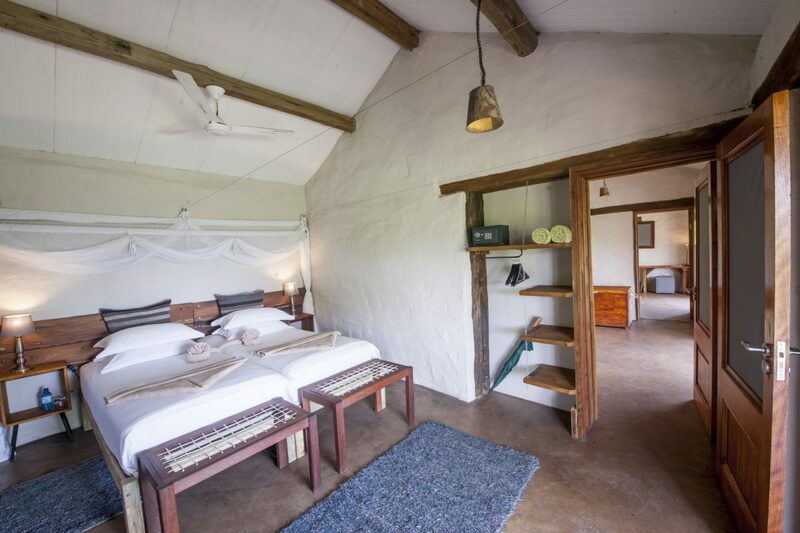 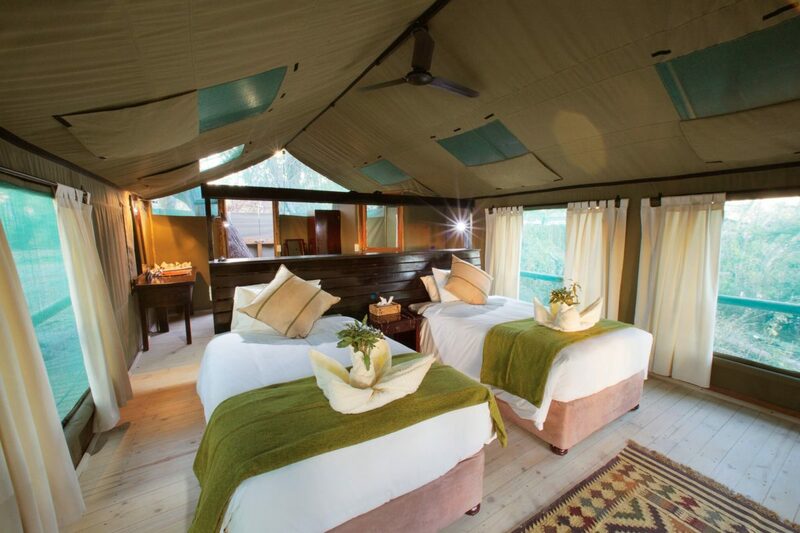 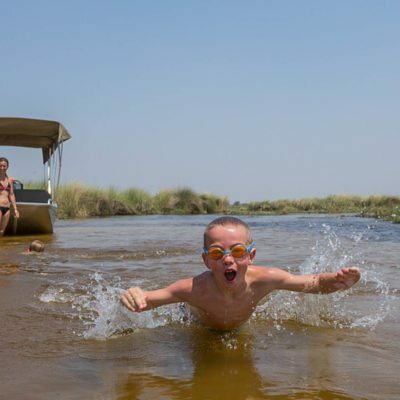 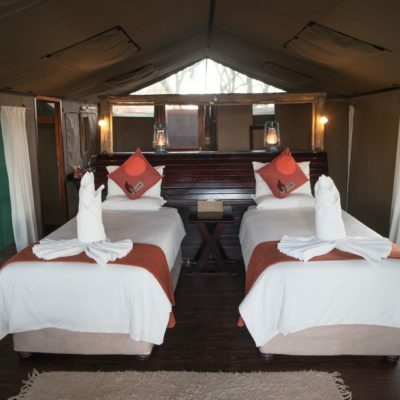 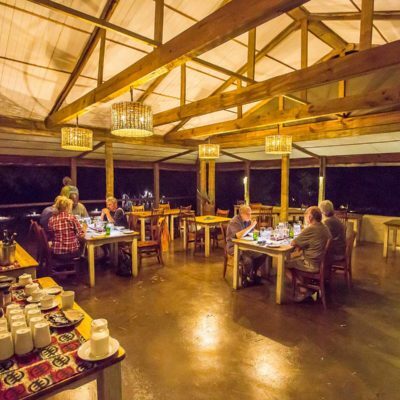 Click here to find out more about our boat-based mobile camping safaris and lodge-to-lodge boating safaris with a private guide. 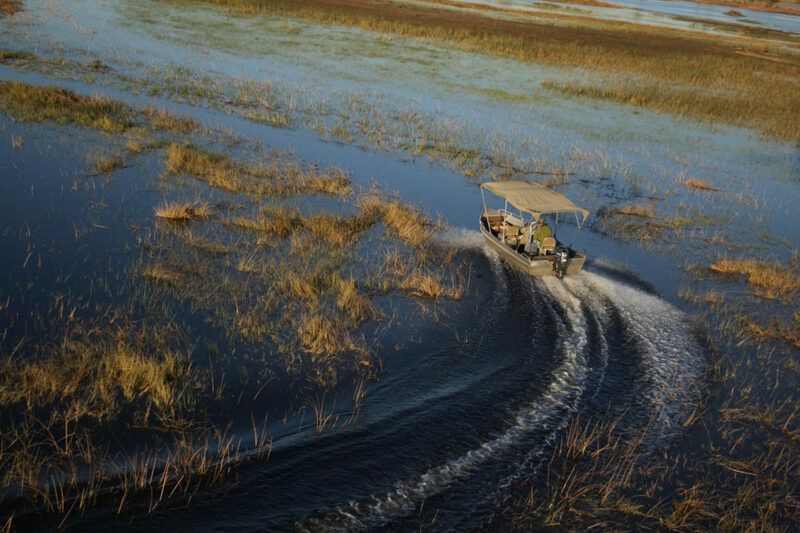 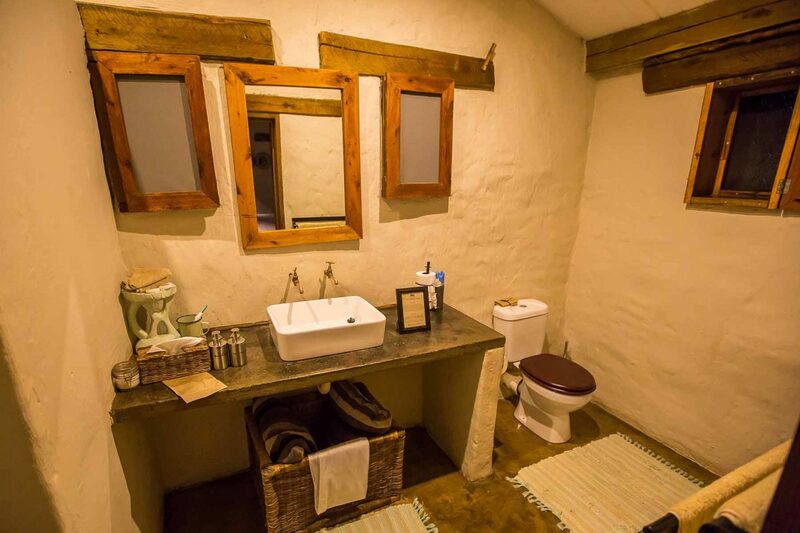 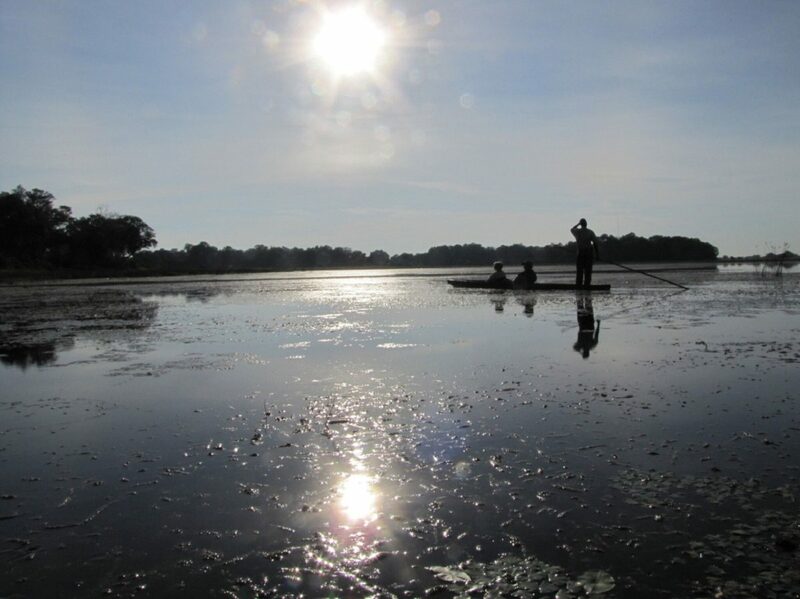 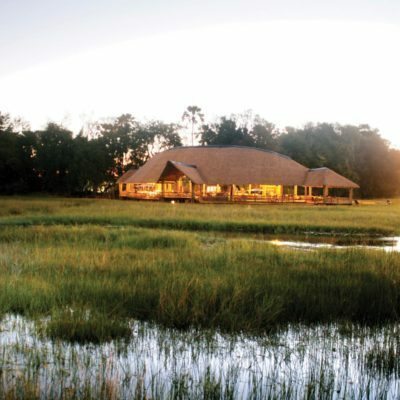 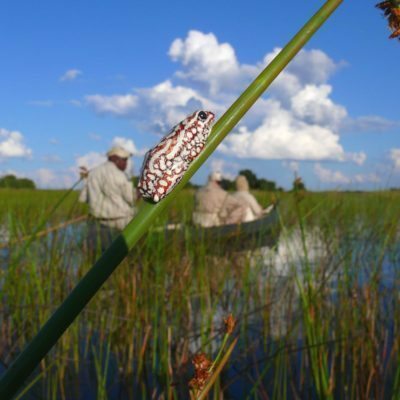 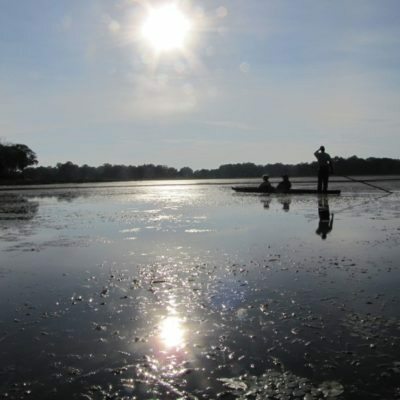 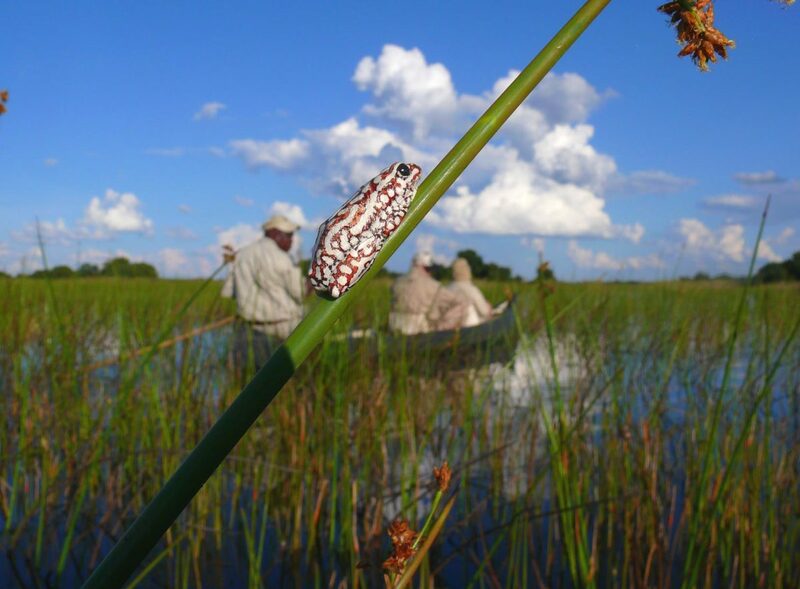 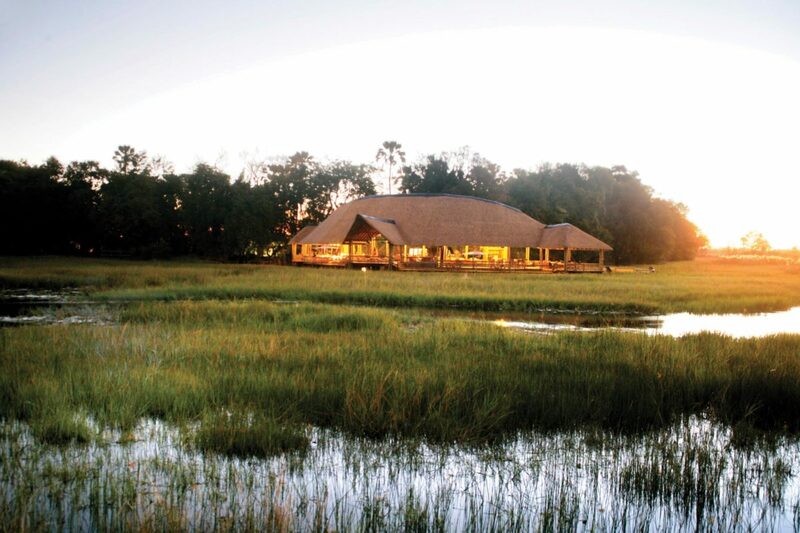 The floods in the Okavango vary year on year in terms of level and duration. 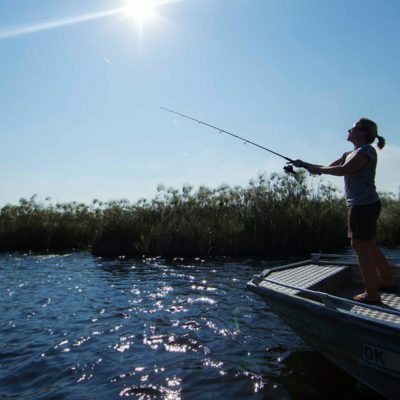 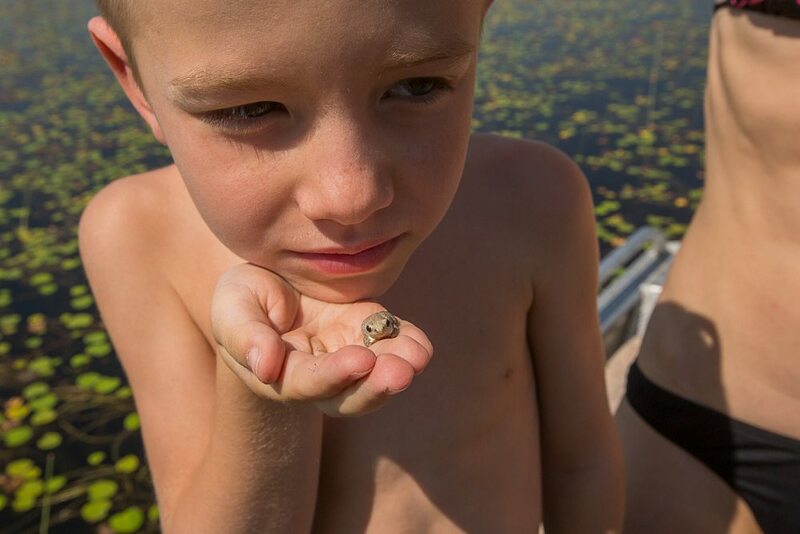 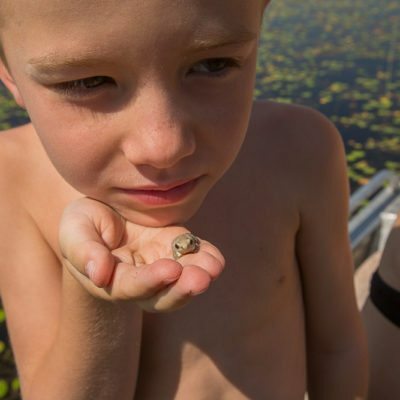 This means that boating cannot be offered all year at all camps. 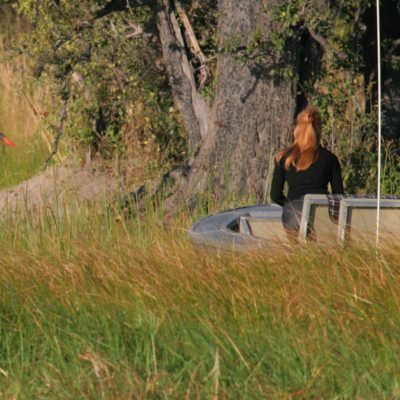 Please inquire for advice on this.